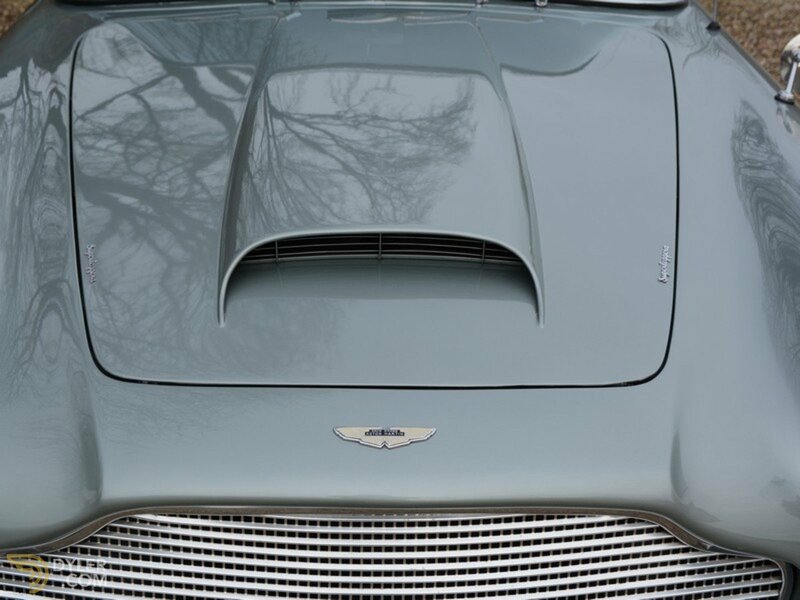 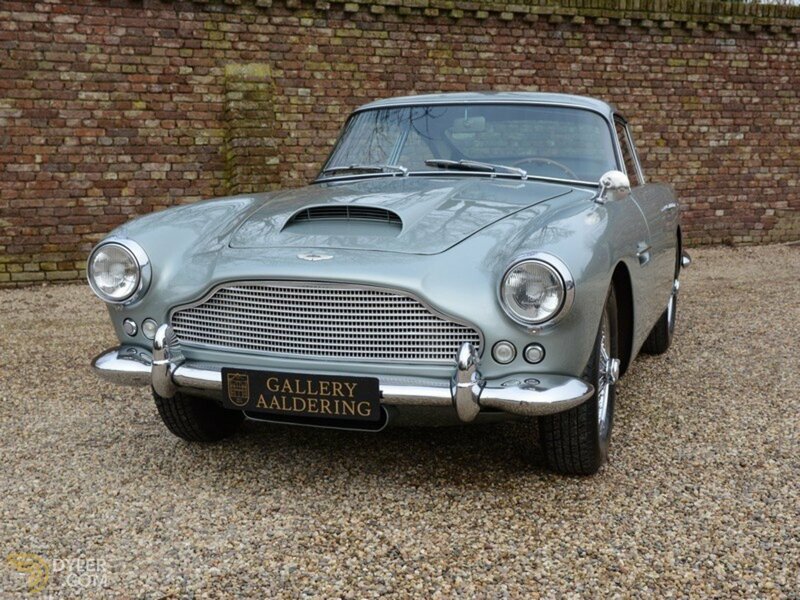 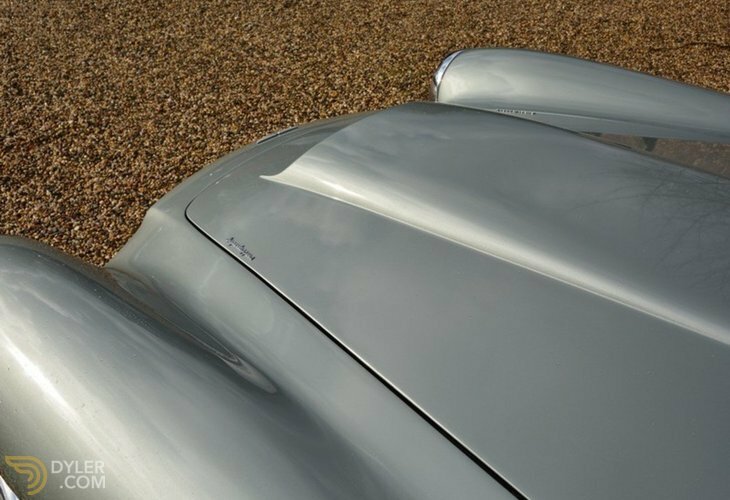 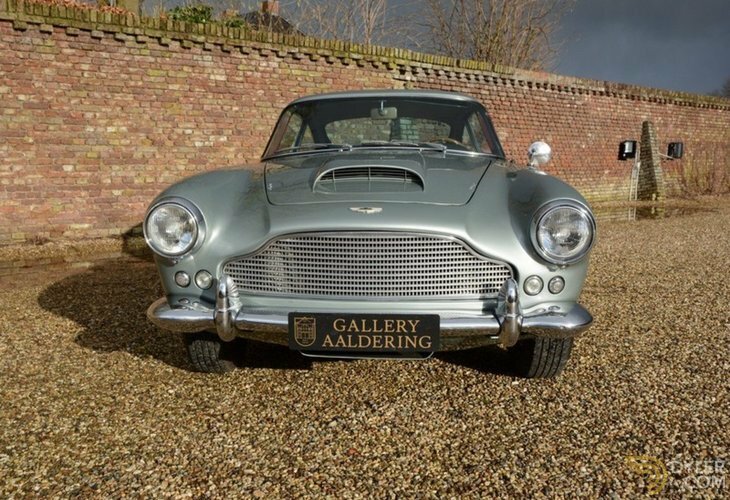 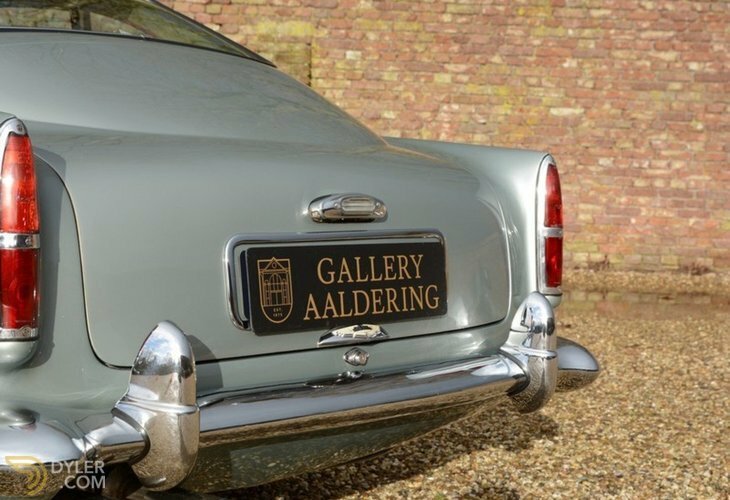 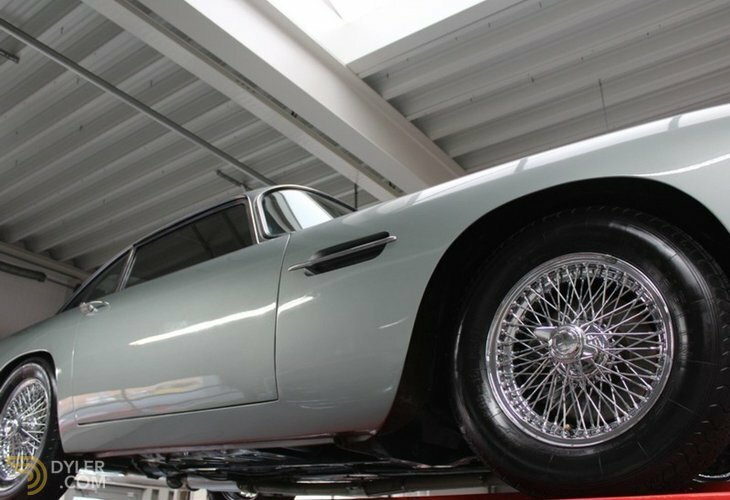 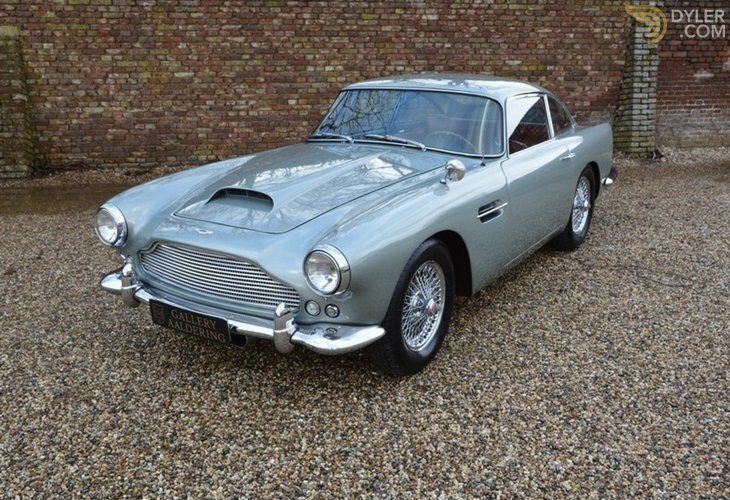 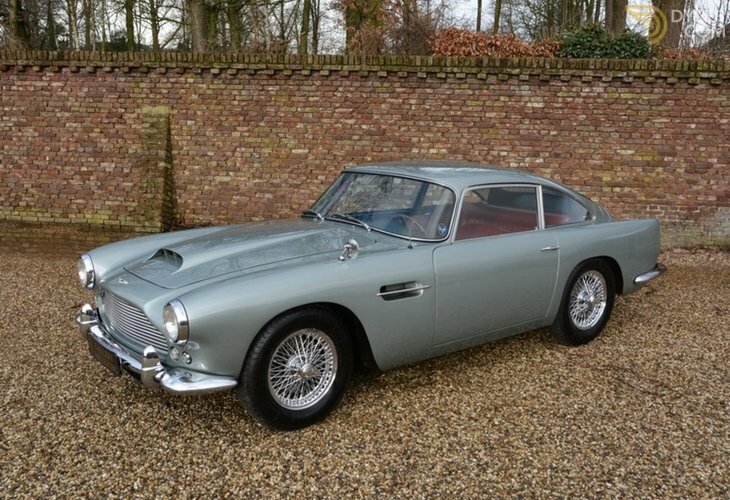 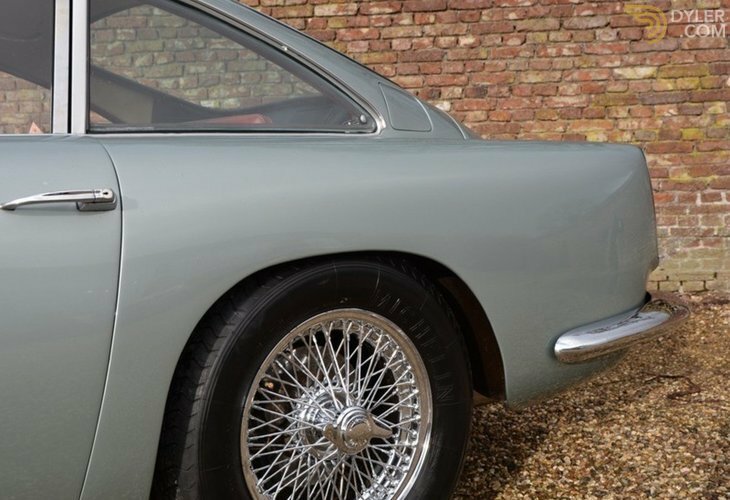 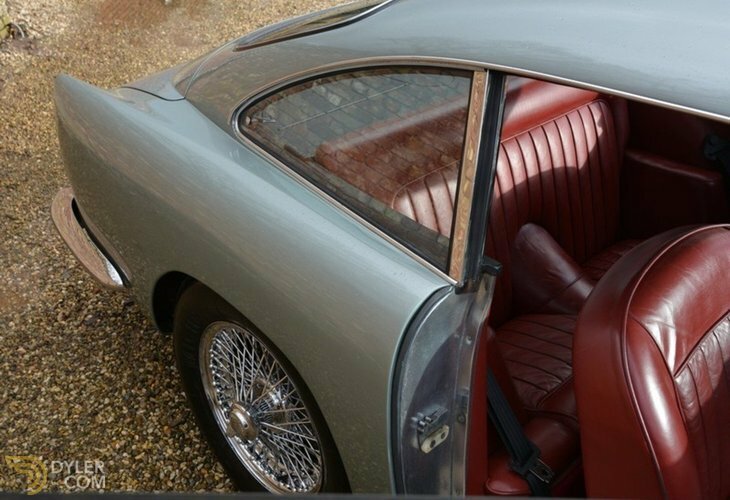 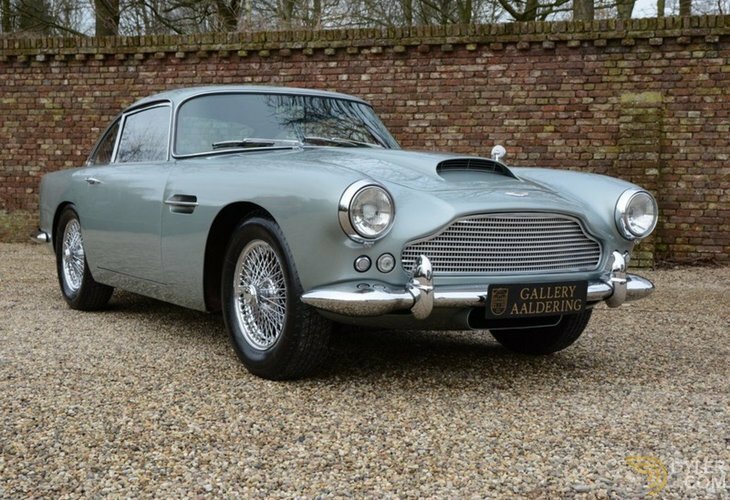 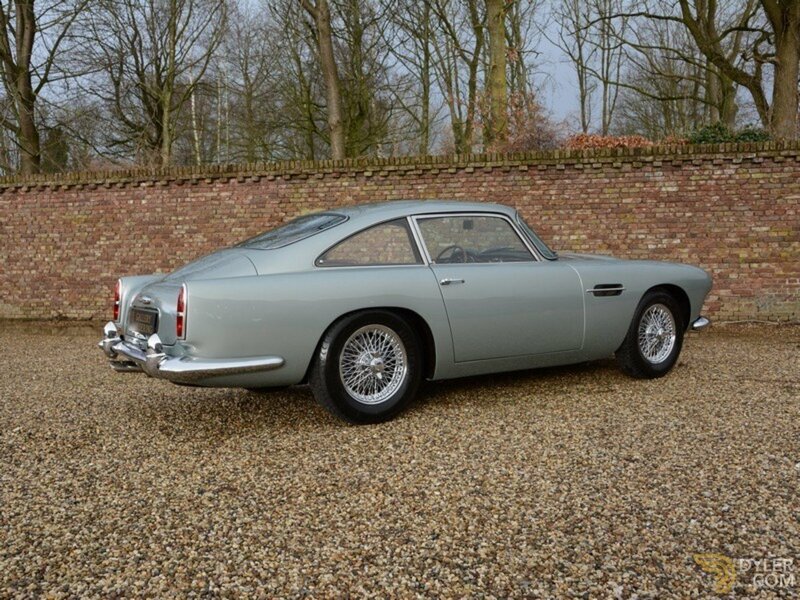 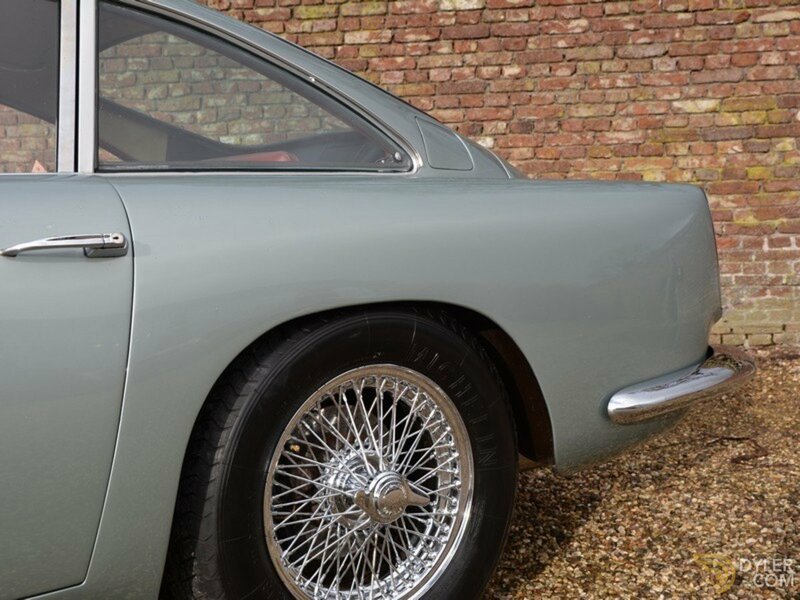 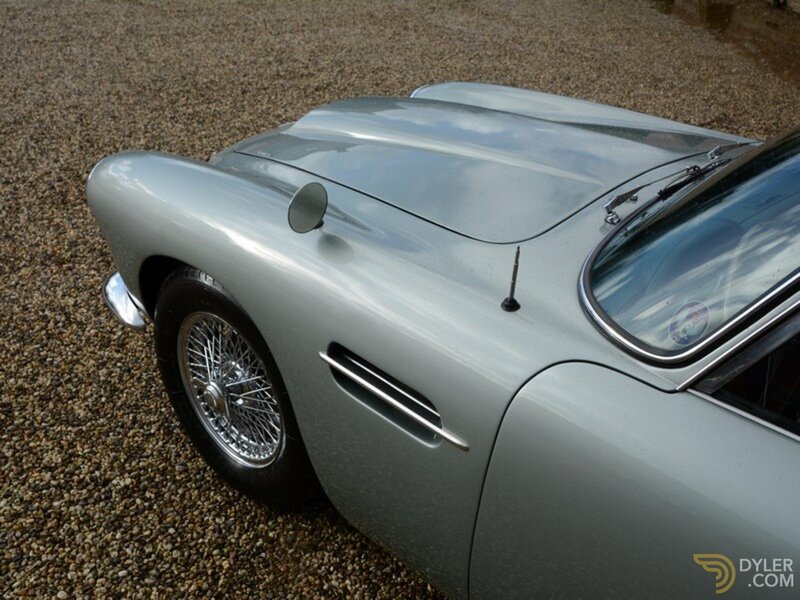 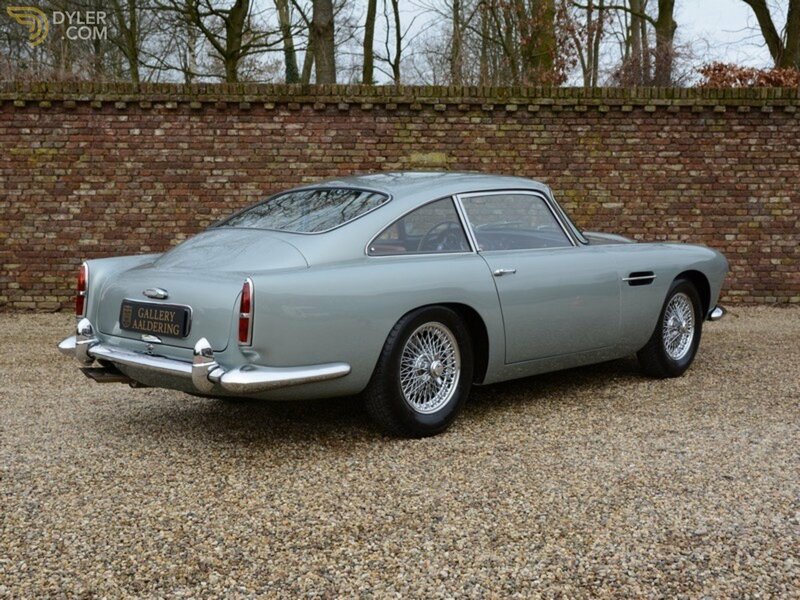 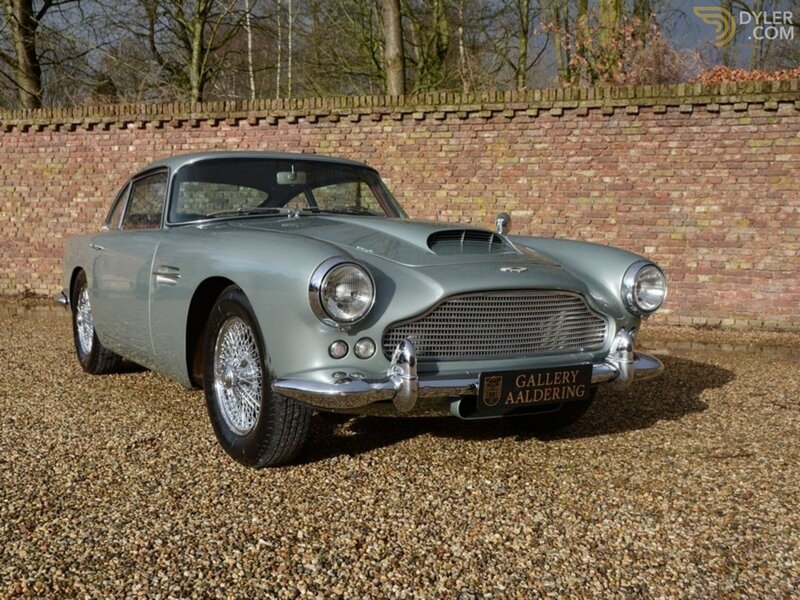 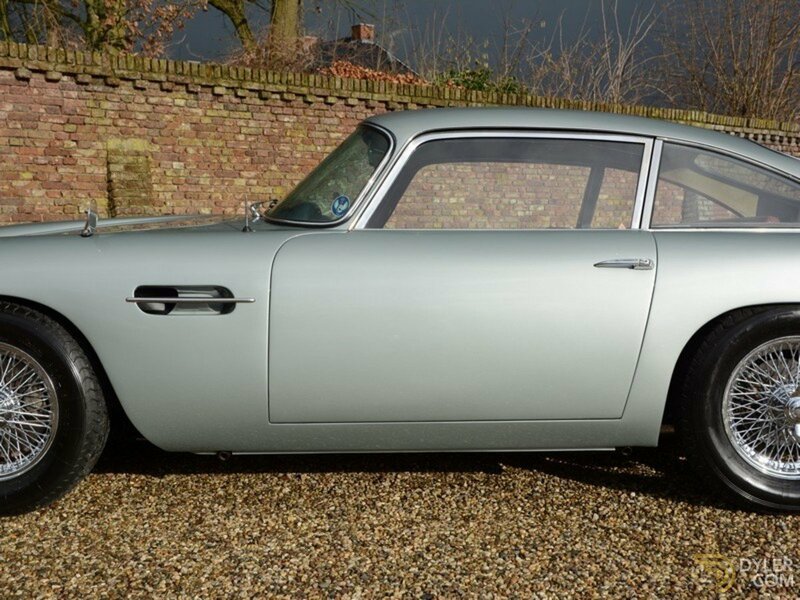 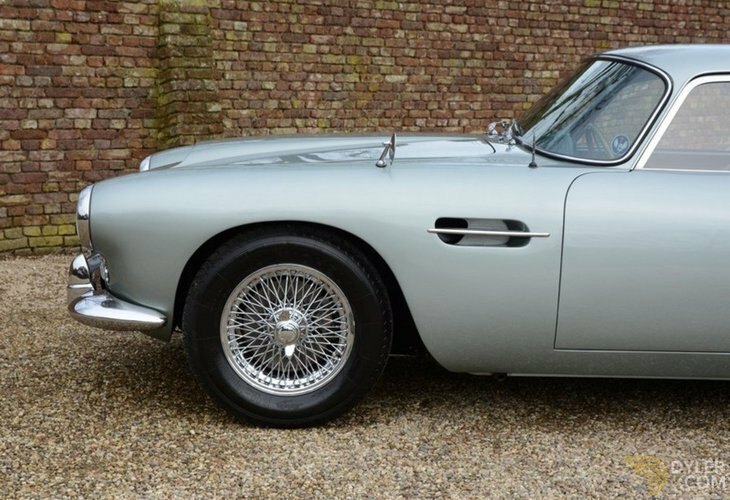 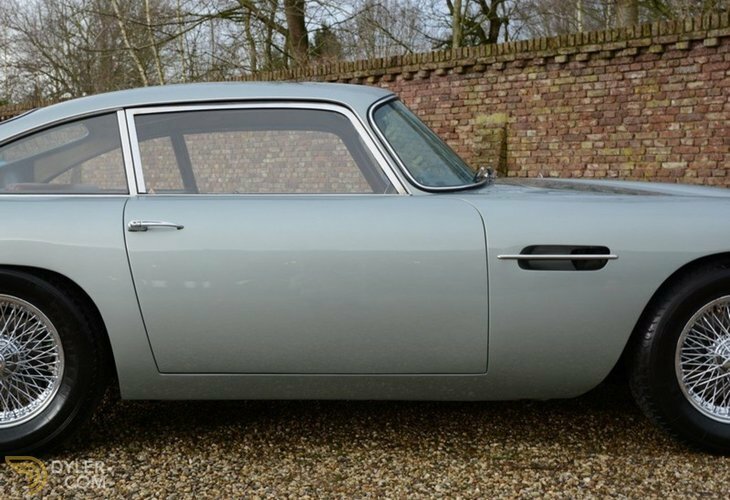 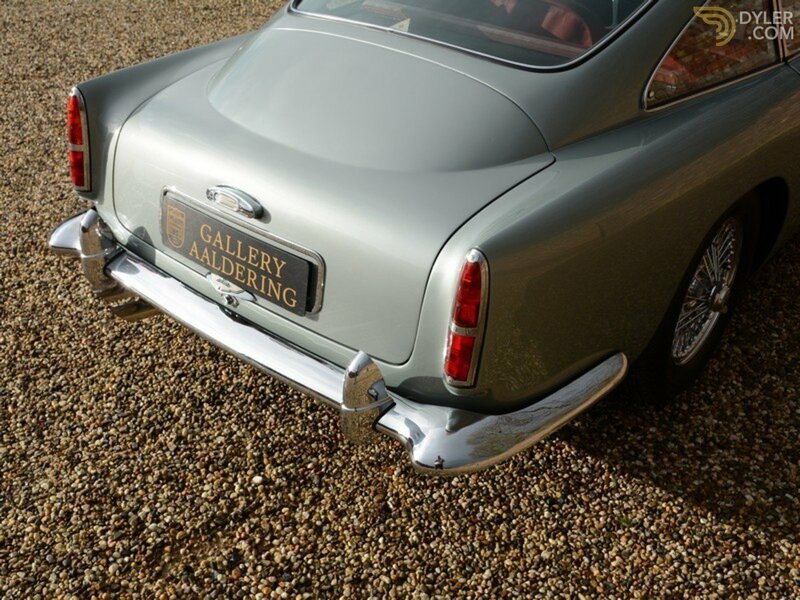 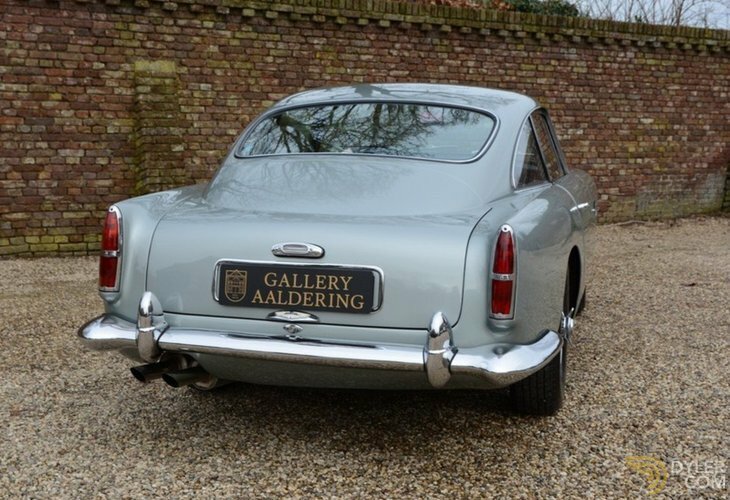 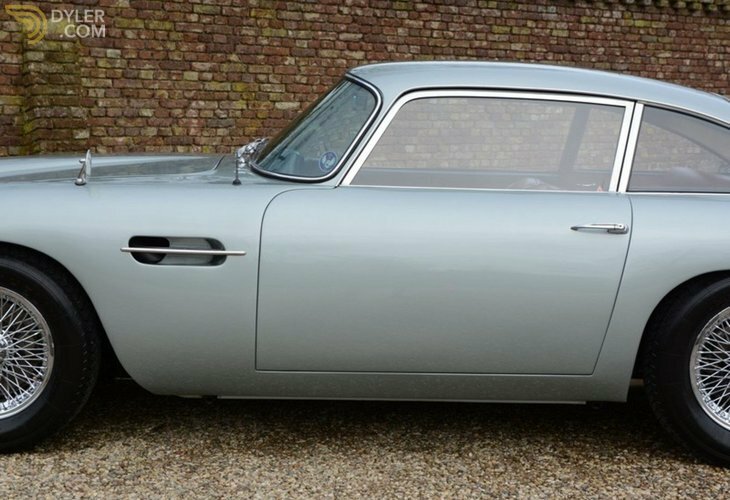 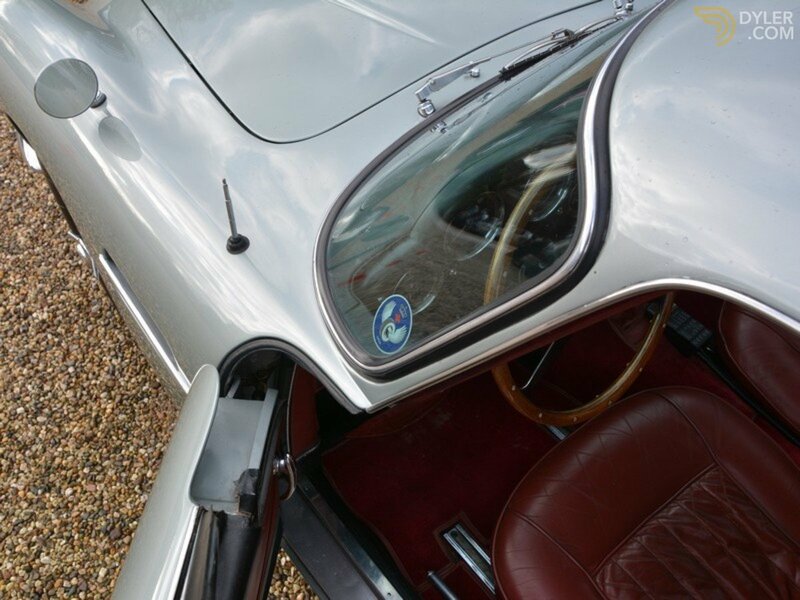 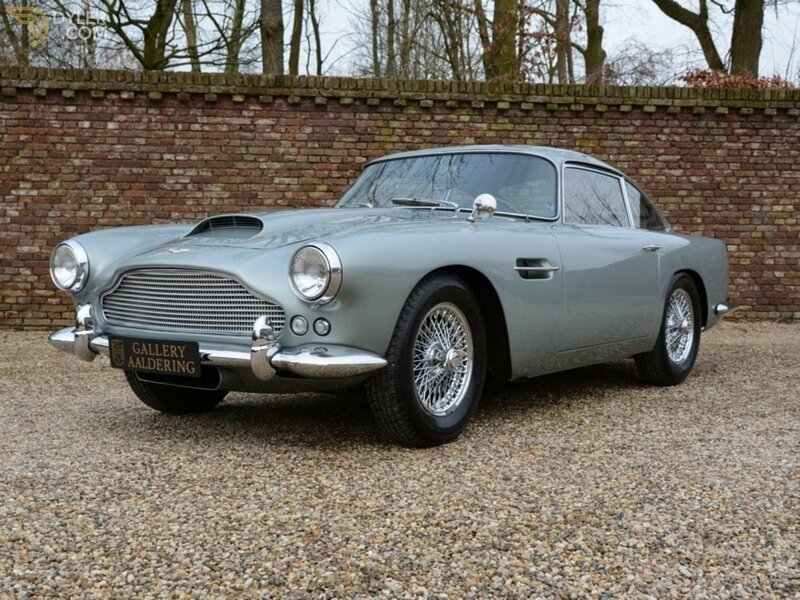 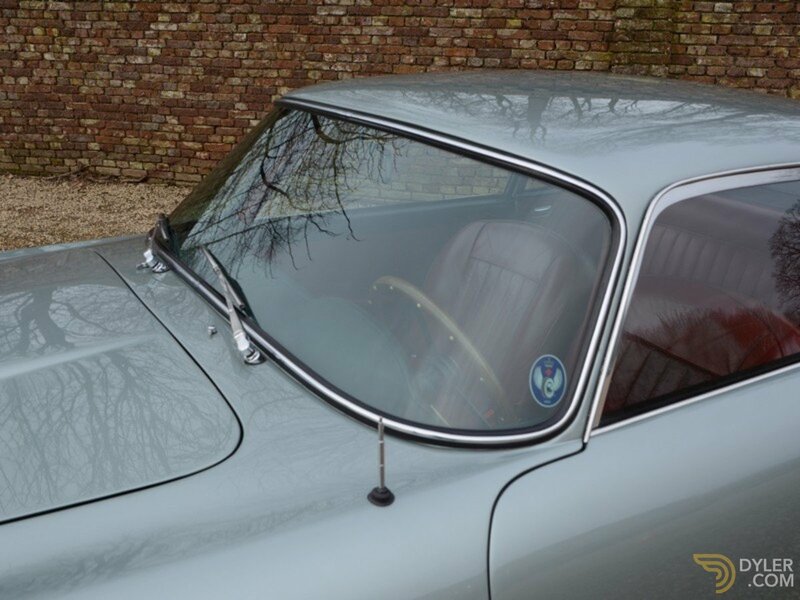 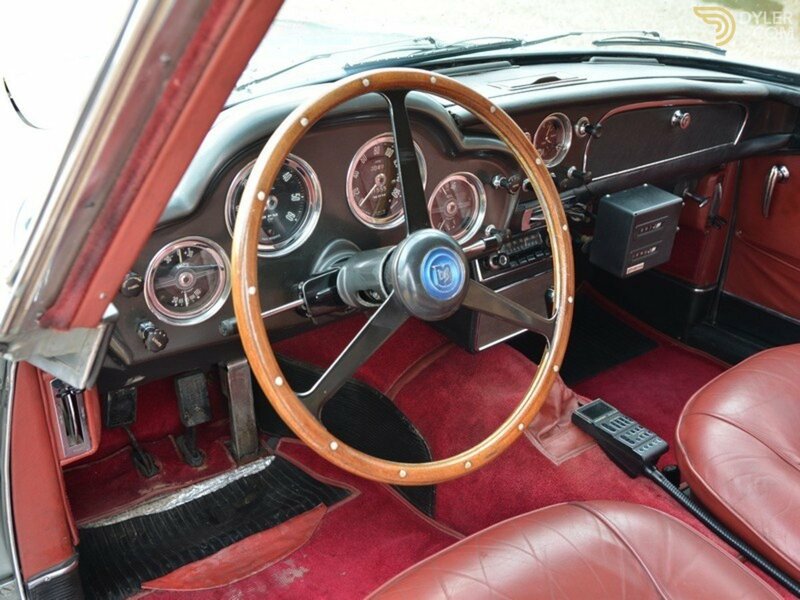 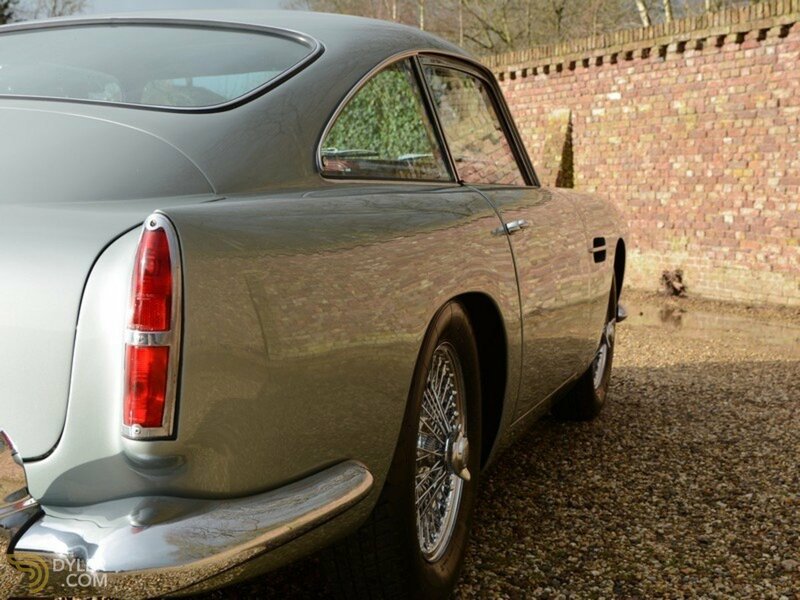 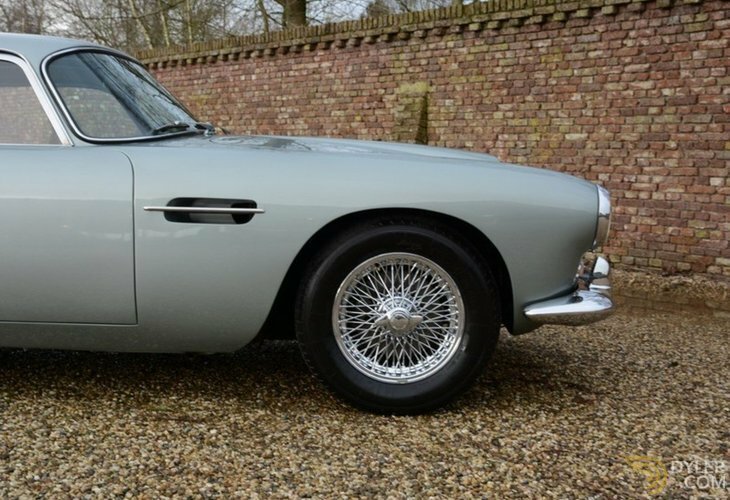 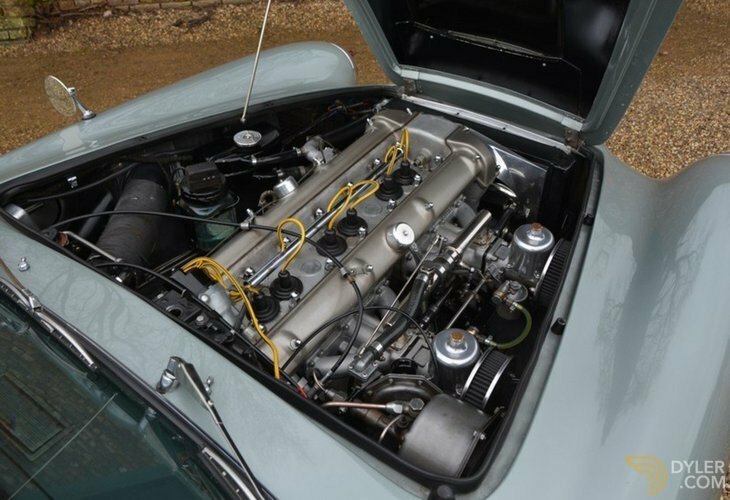 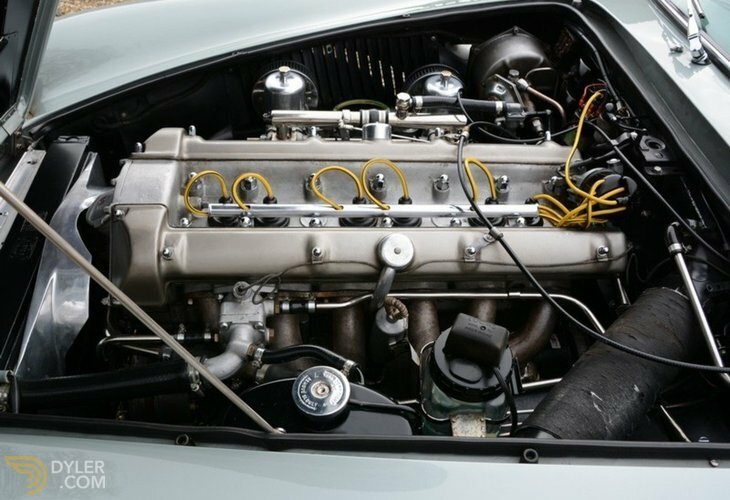 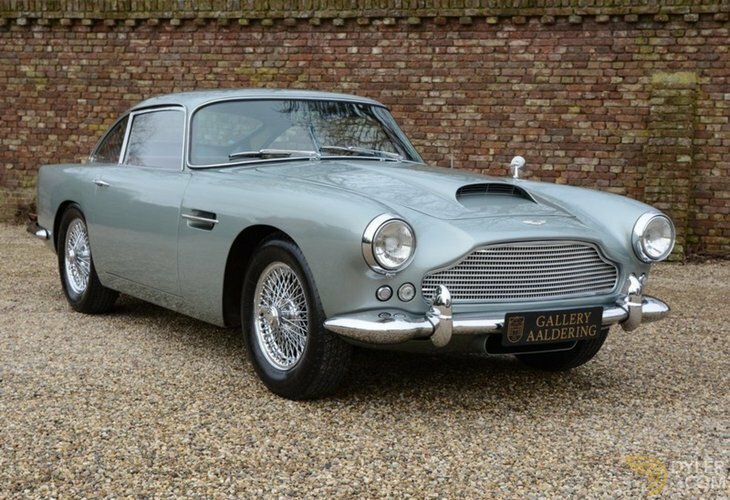 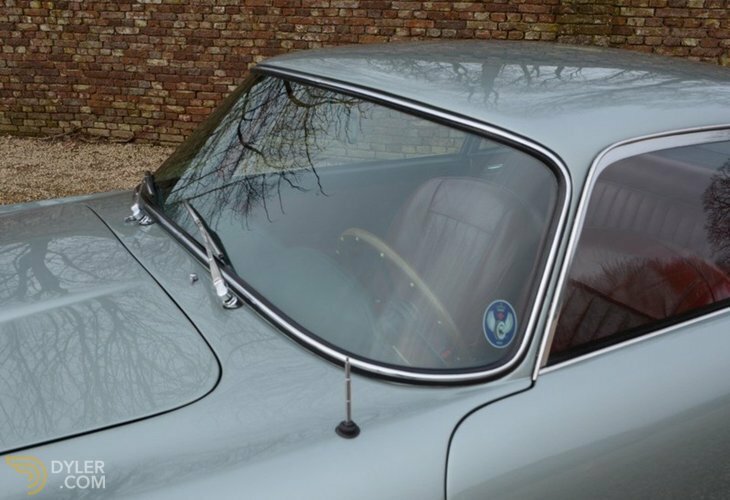 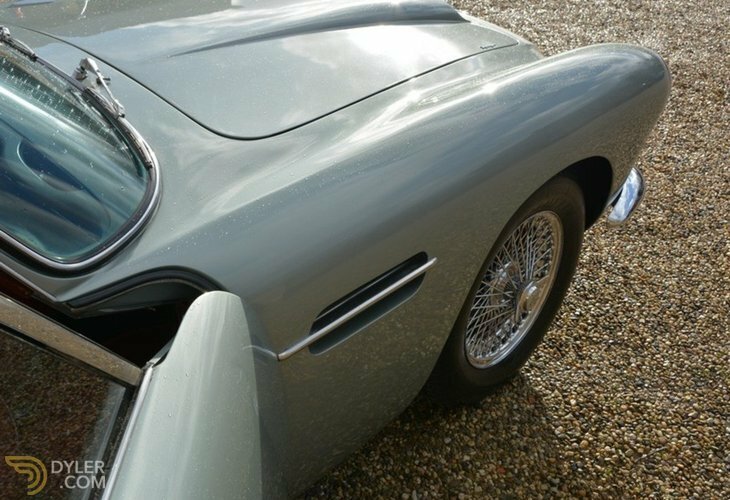 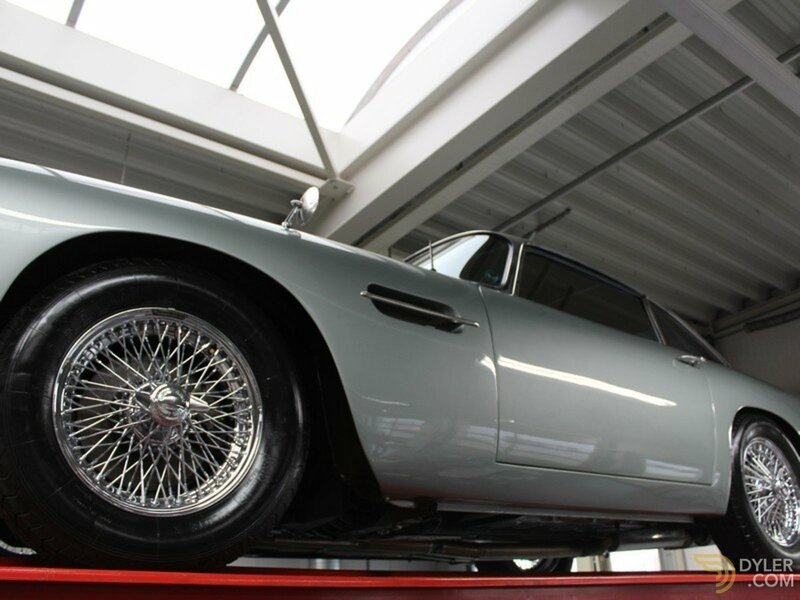 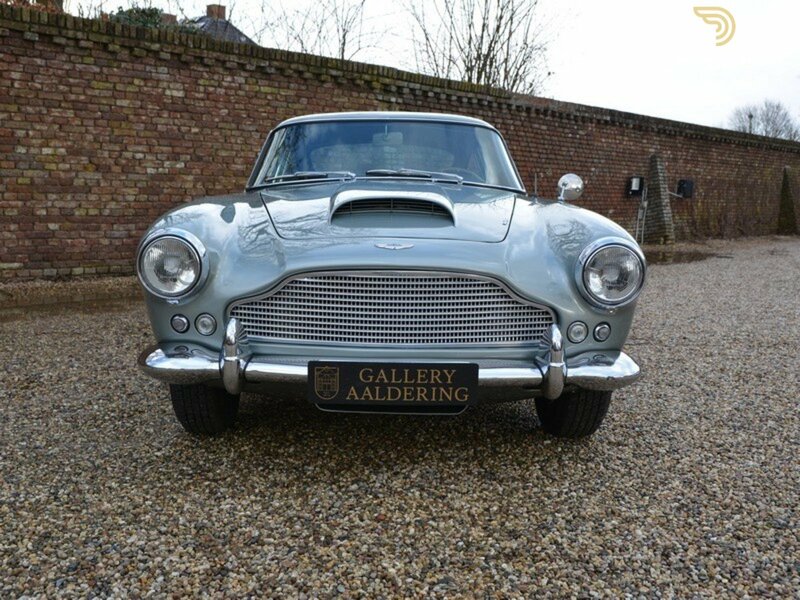 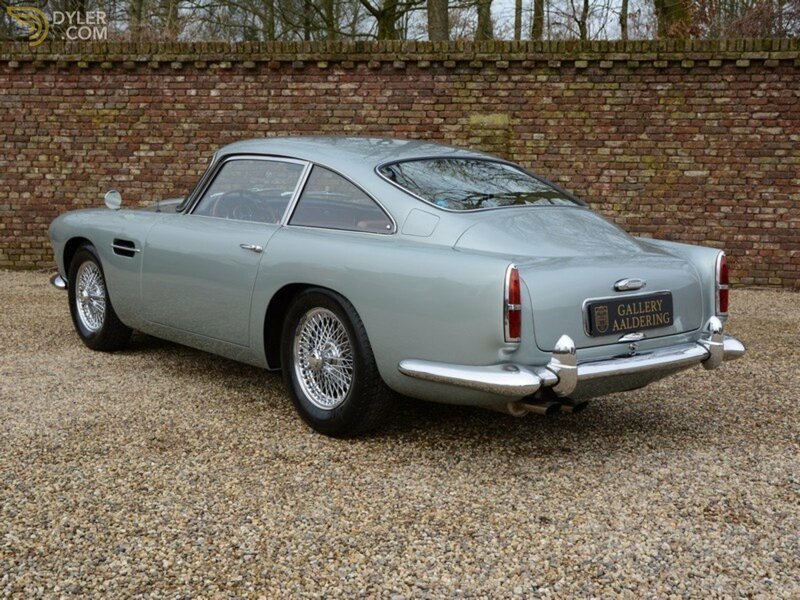 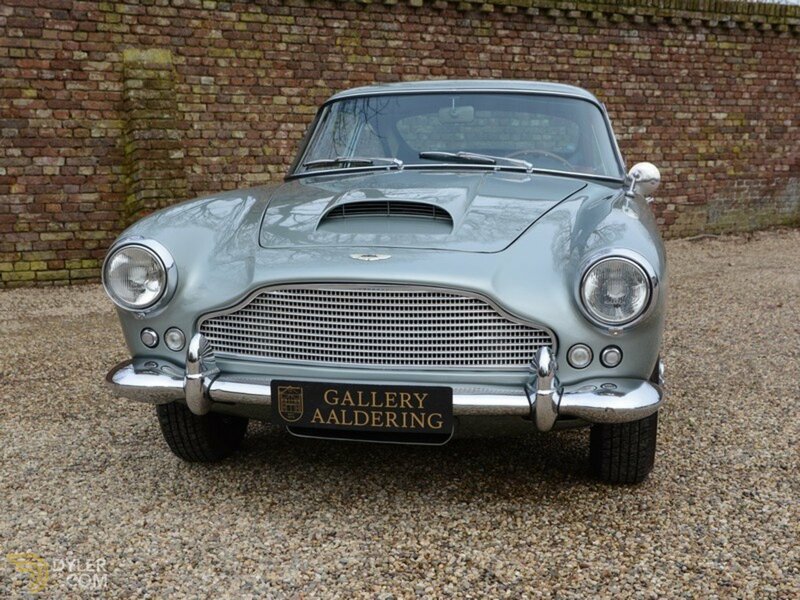 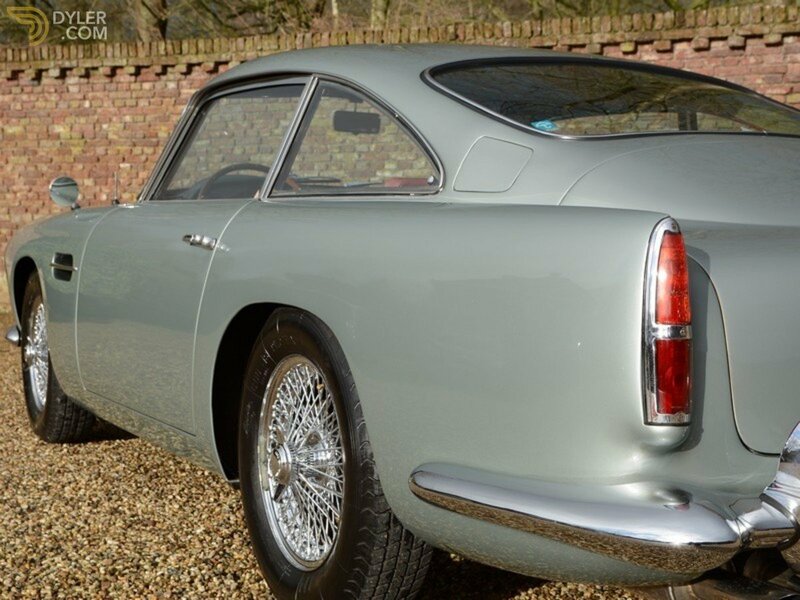 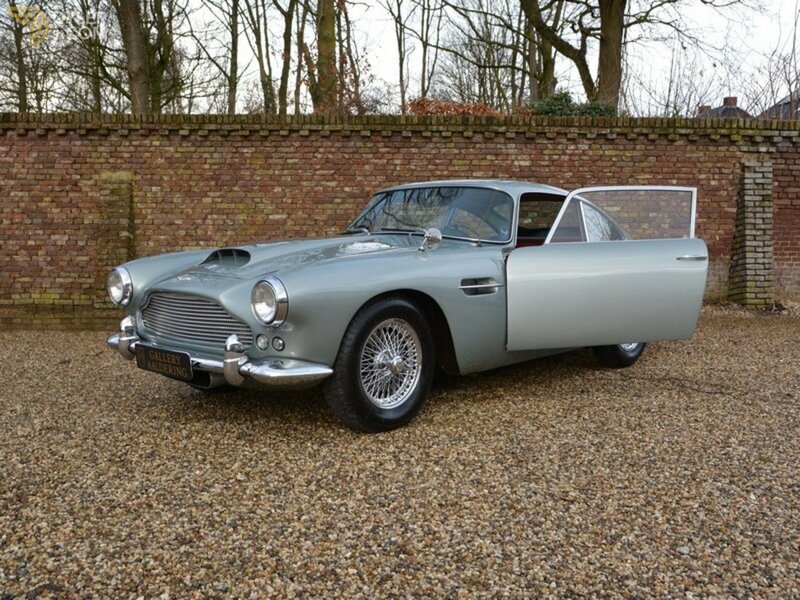 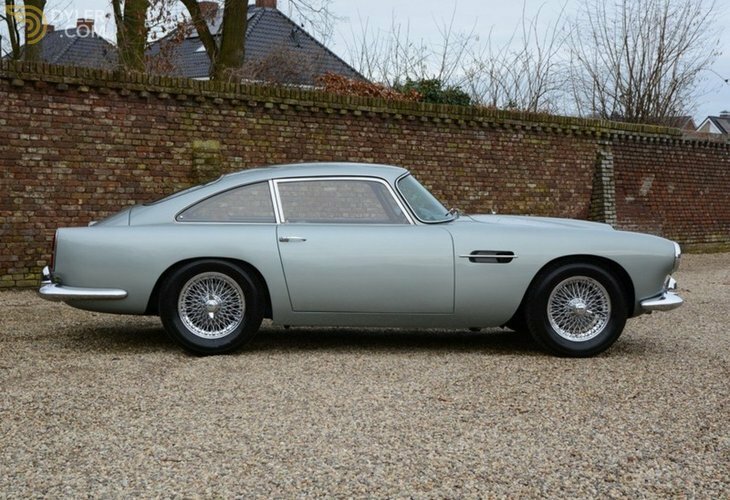 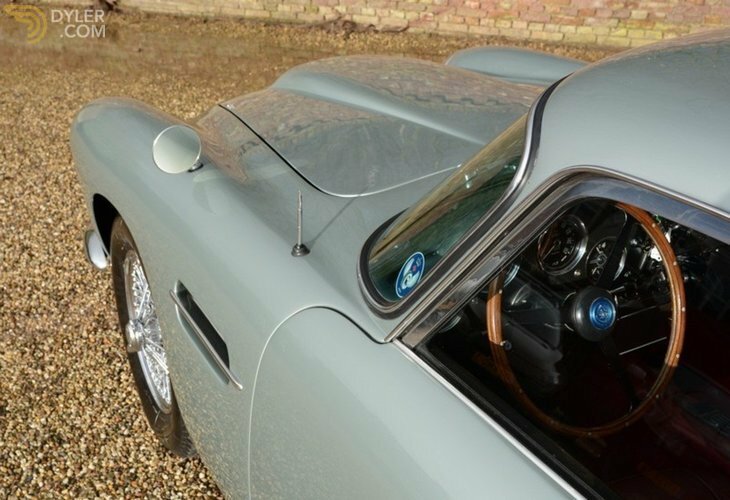 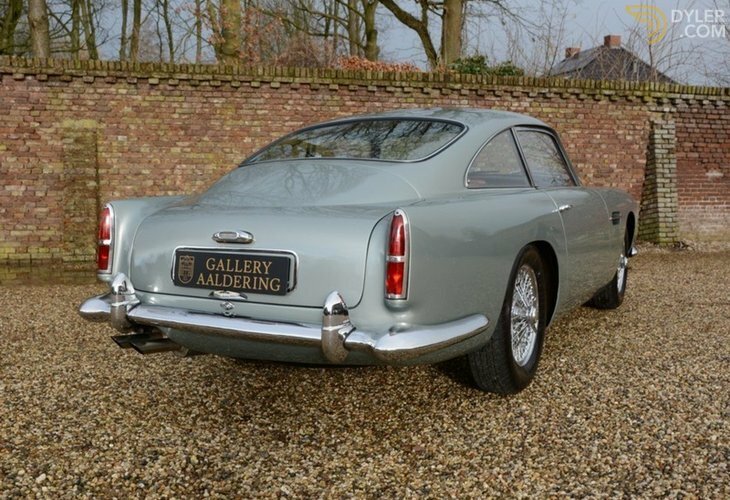 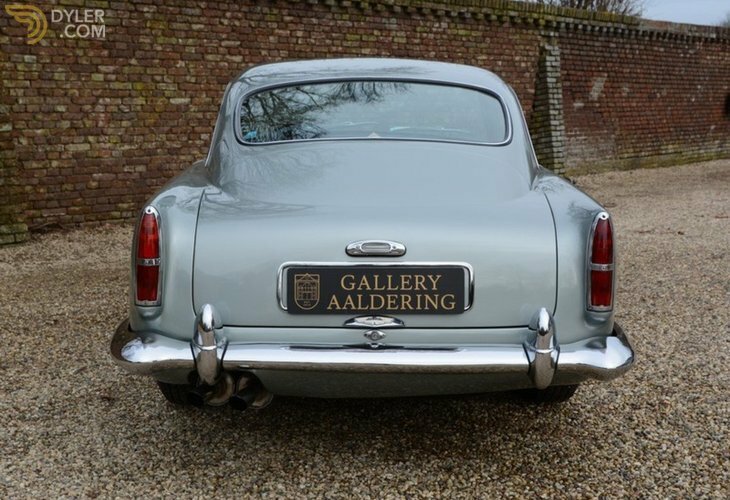 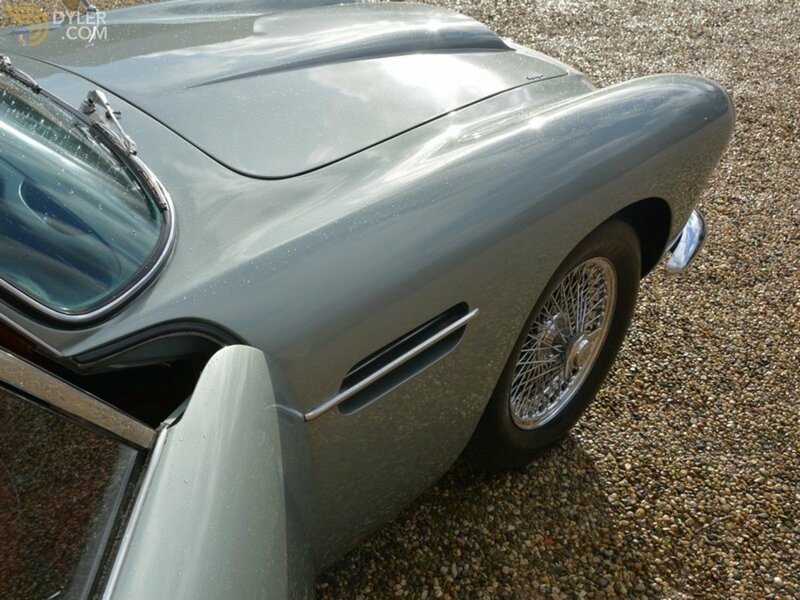 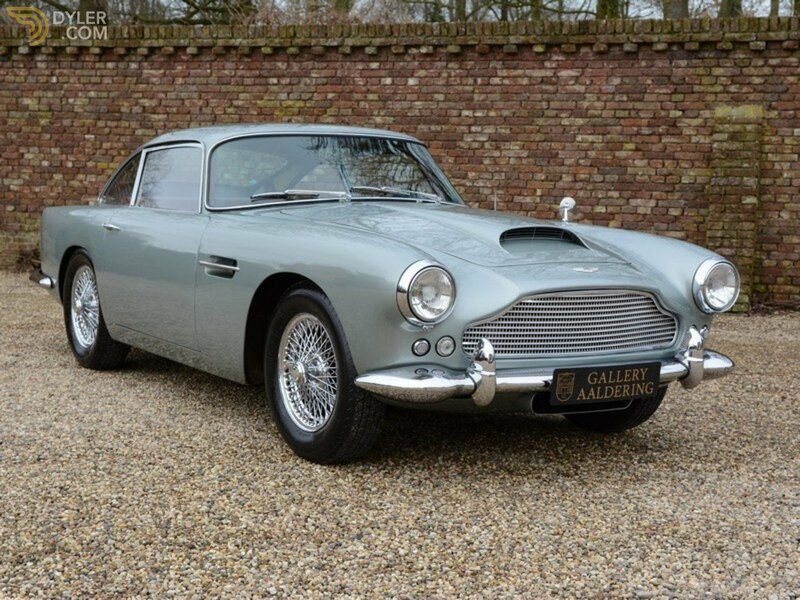 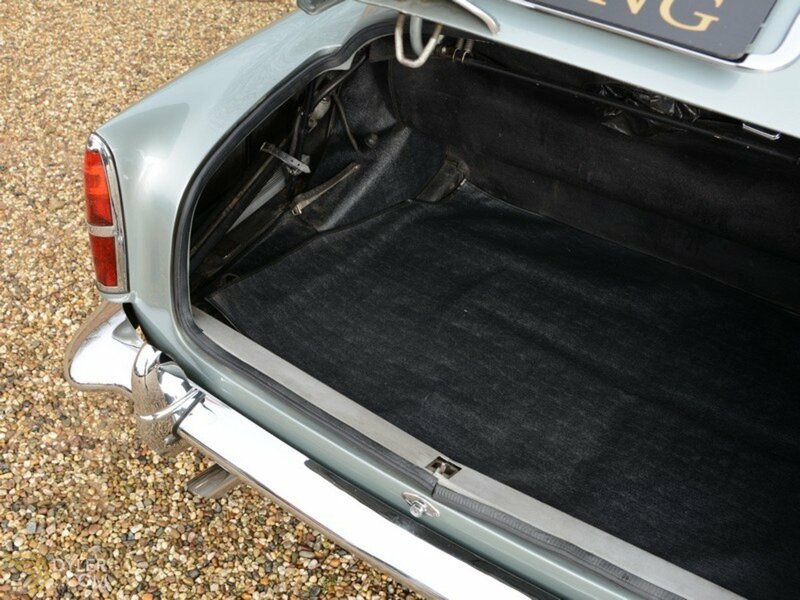 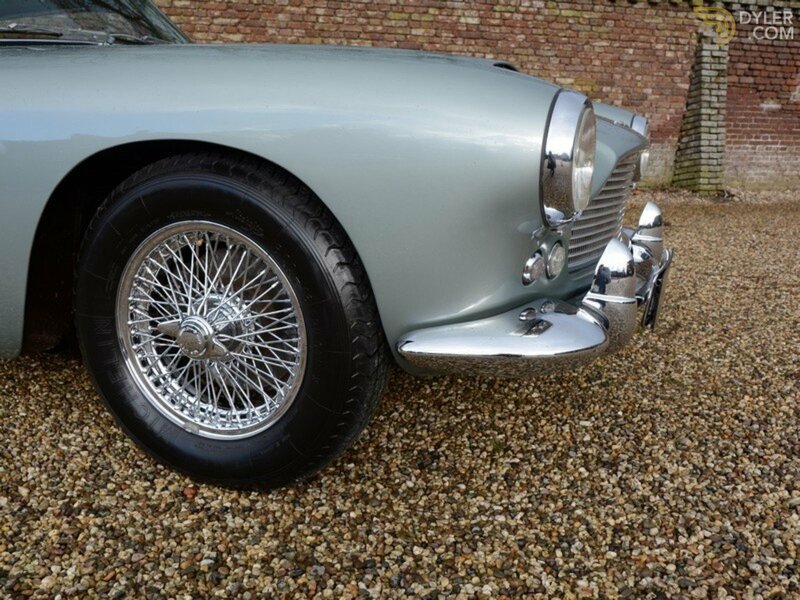 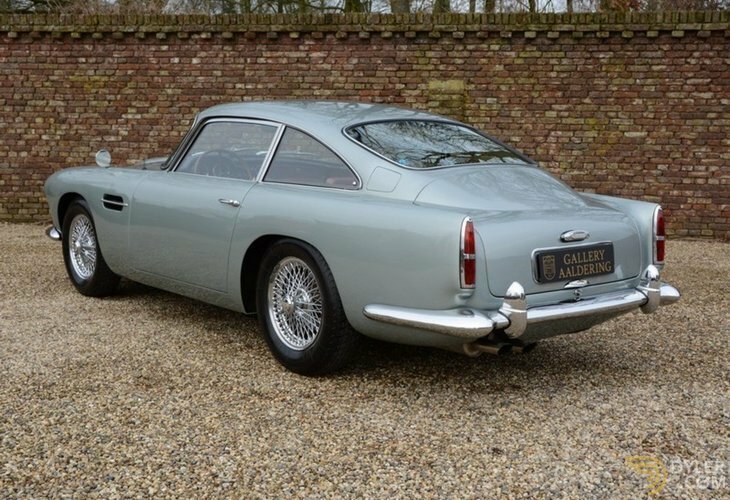 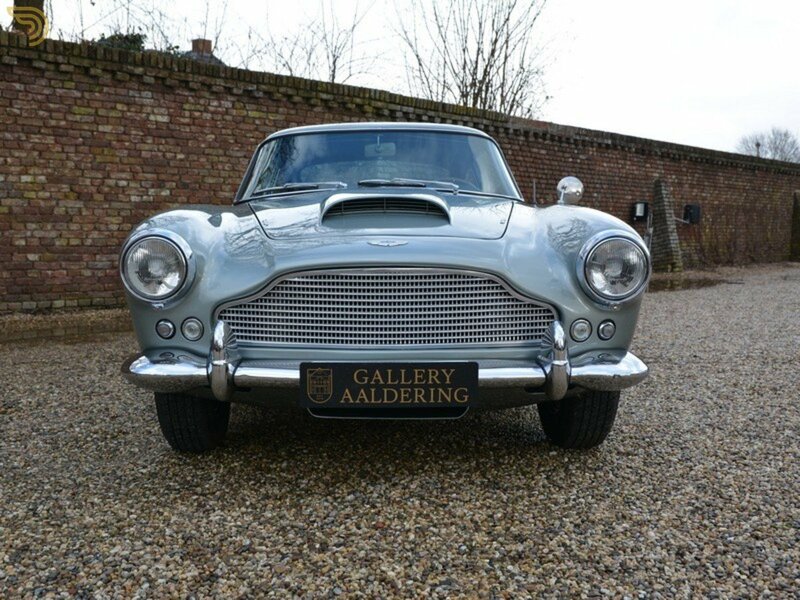 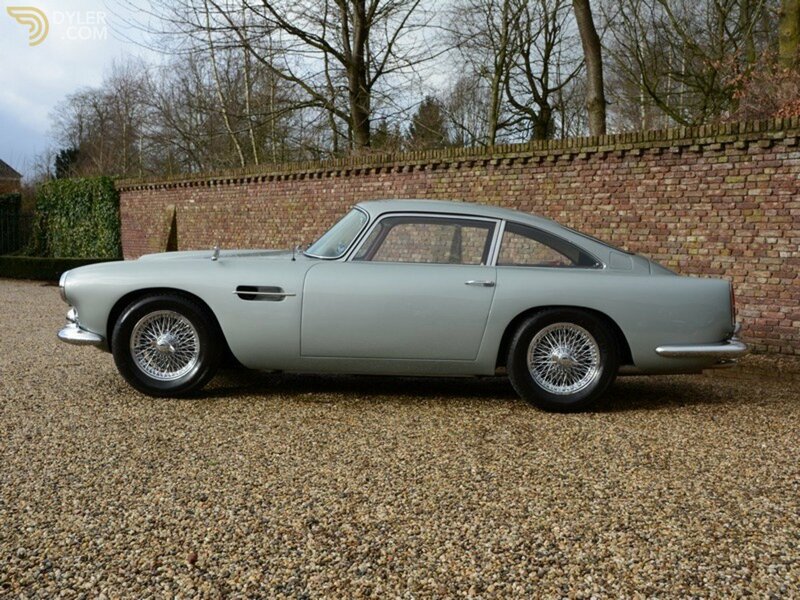 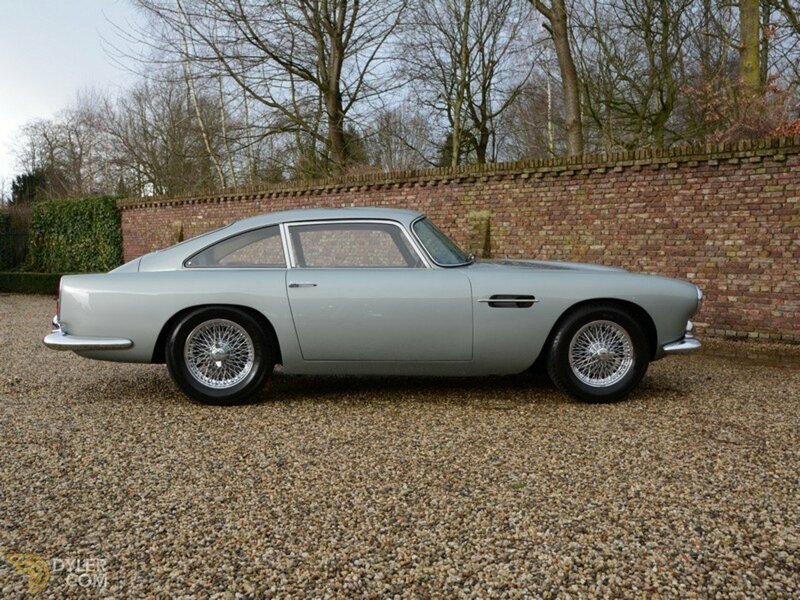 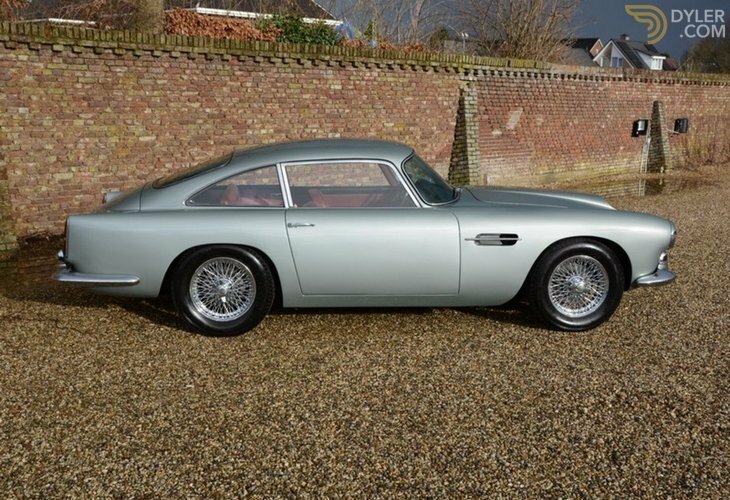 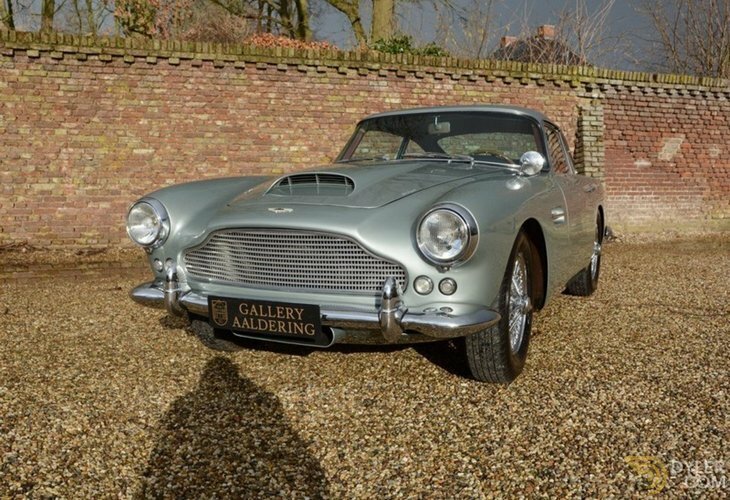 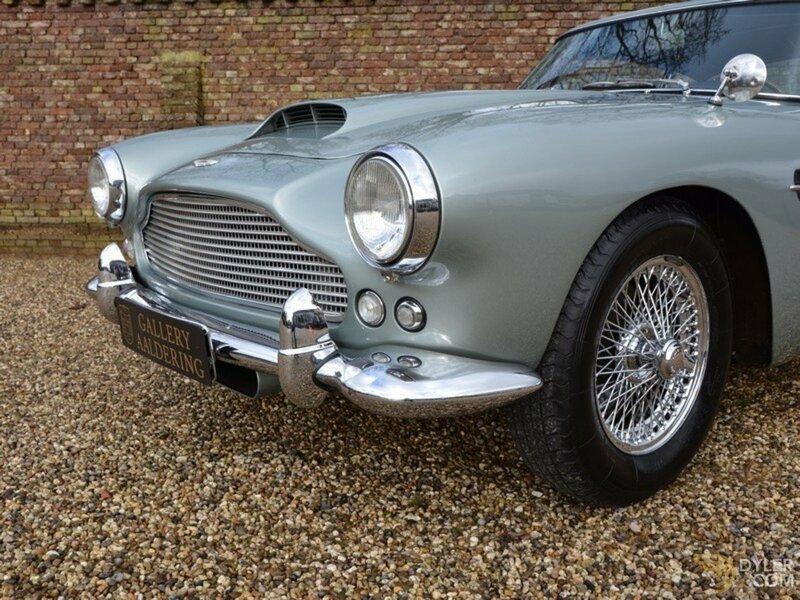 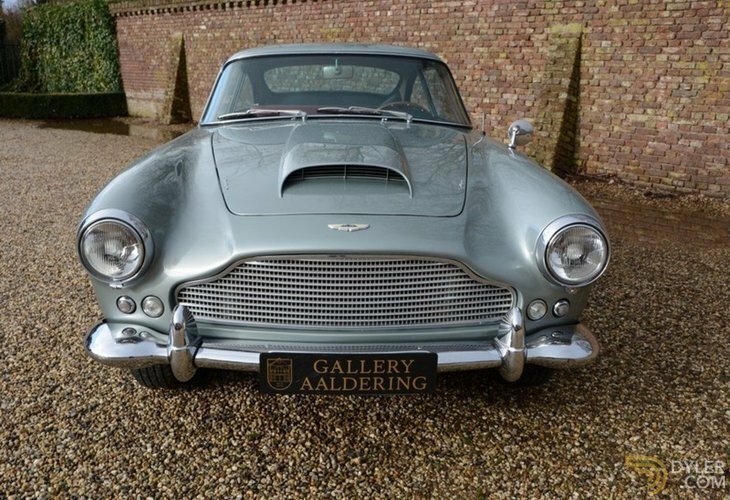 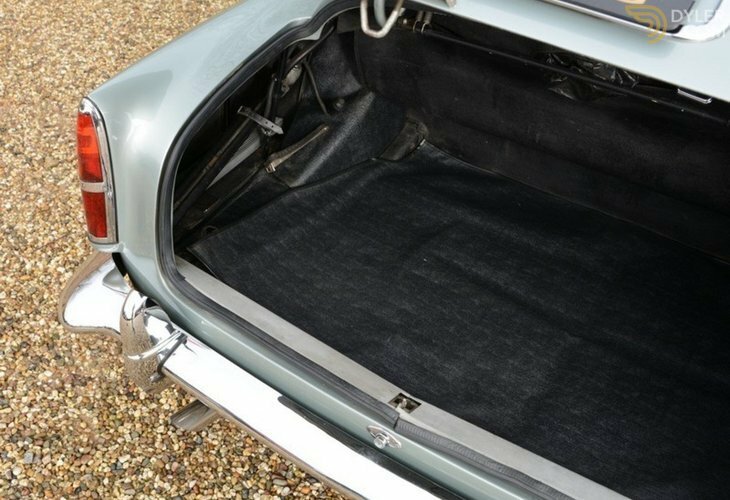 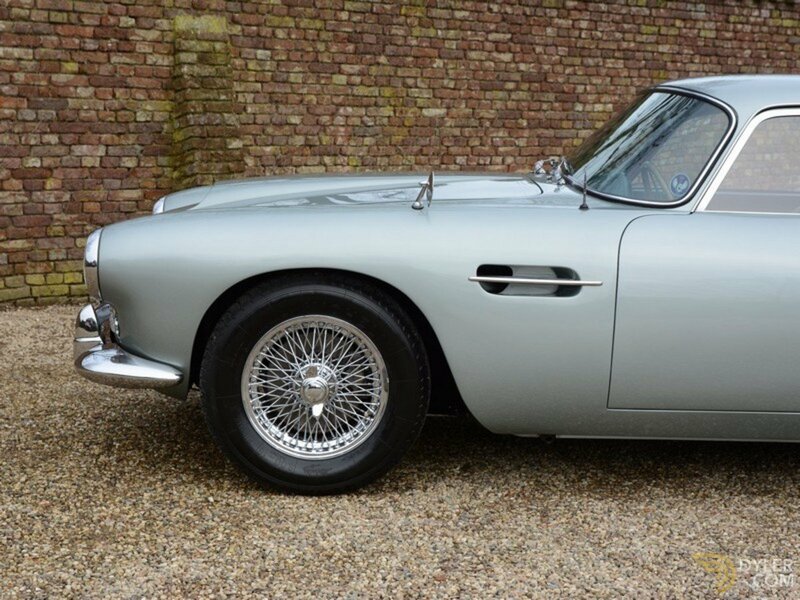 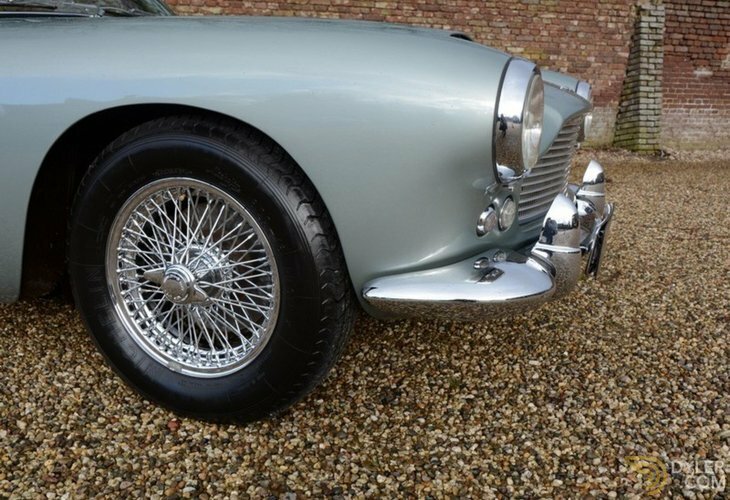 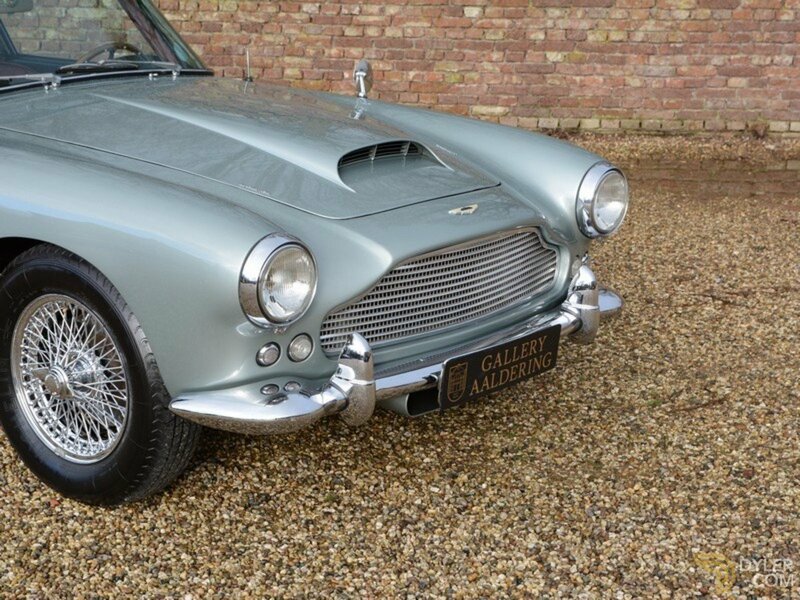 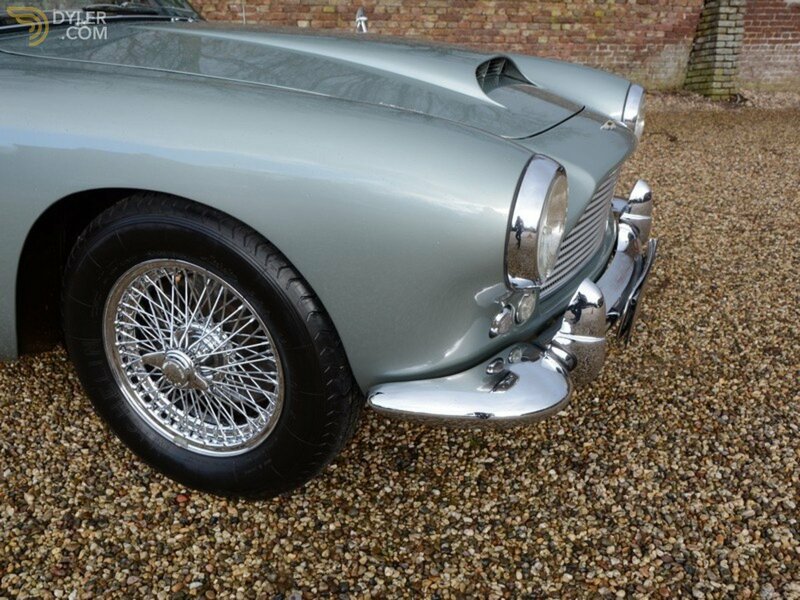 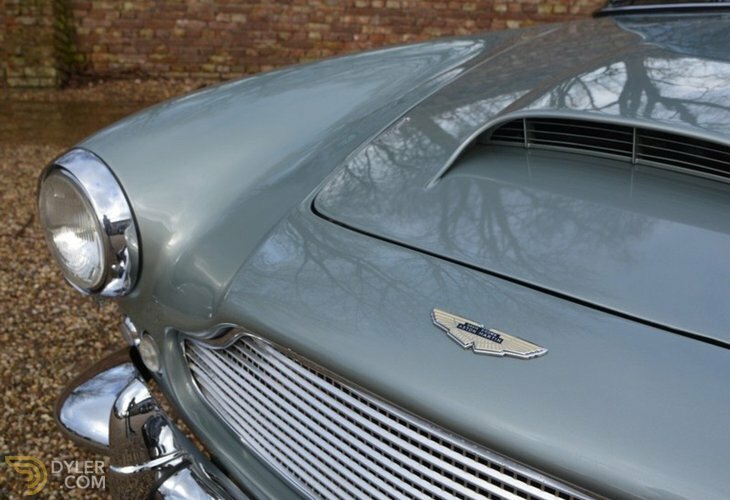 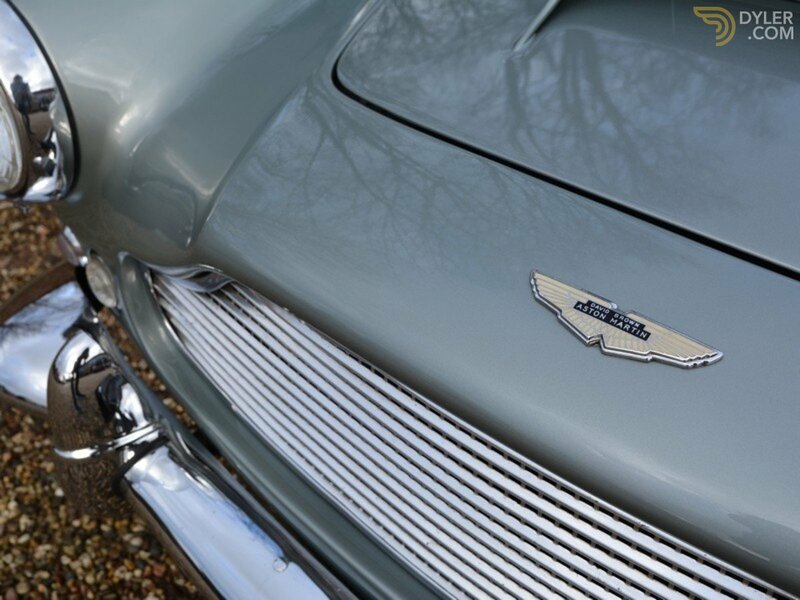 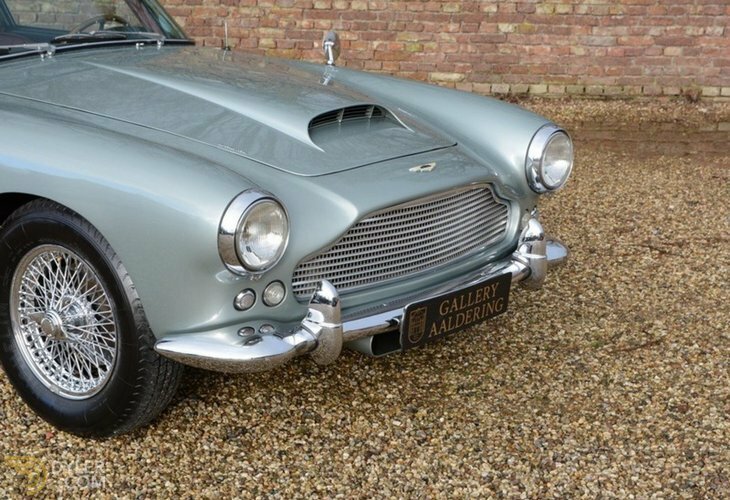 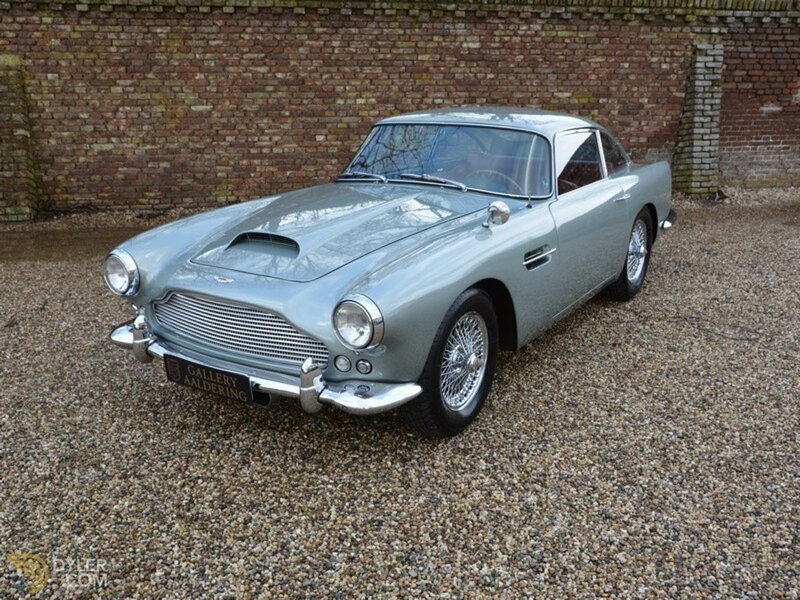 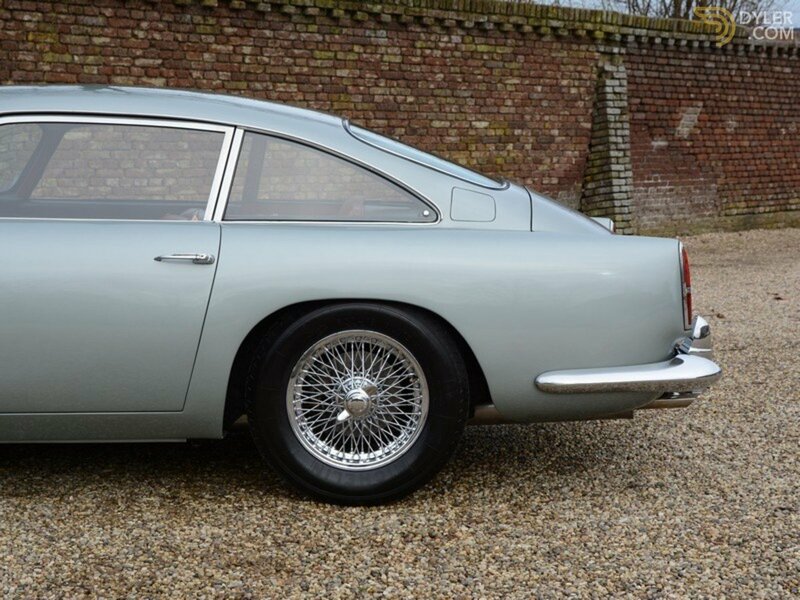 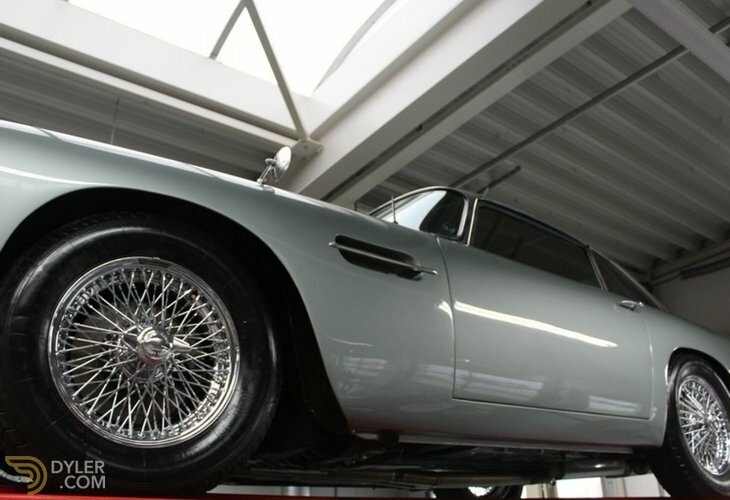 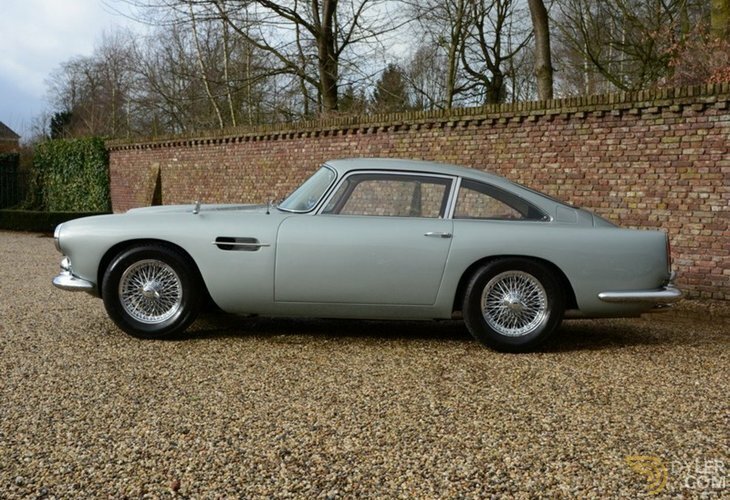 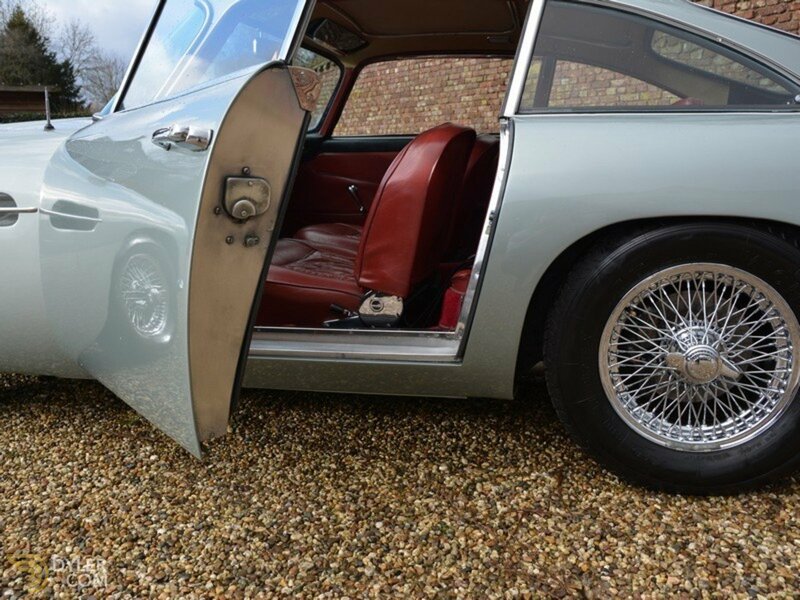 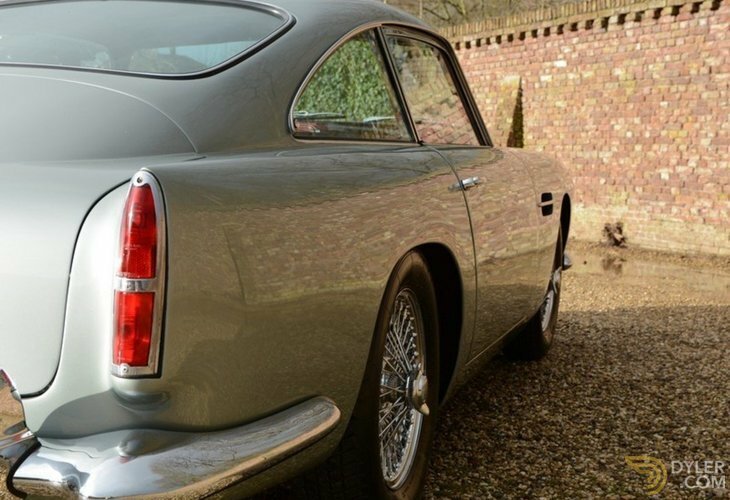 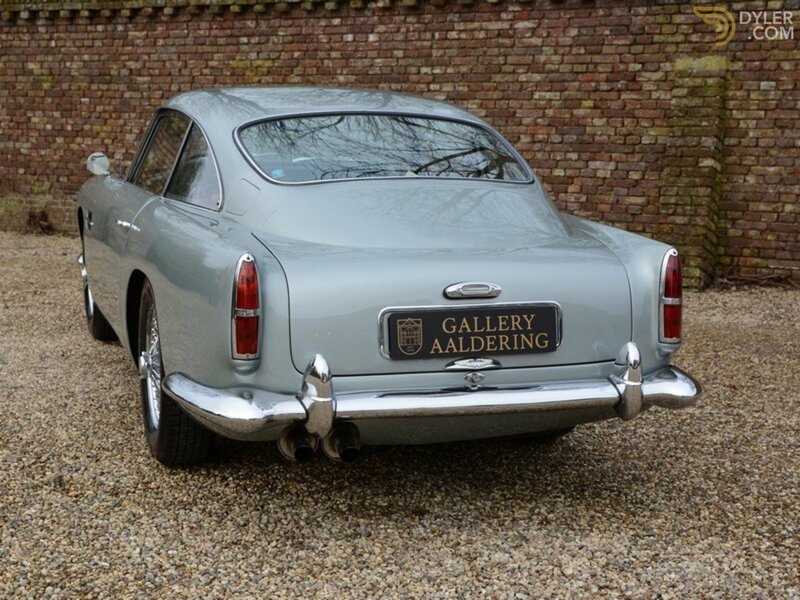 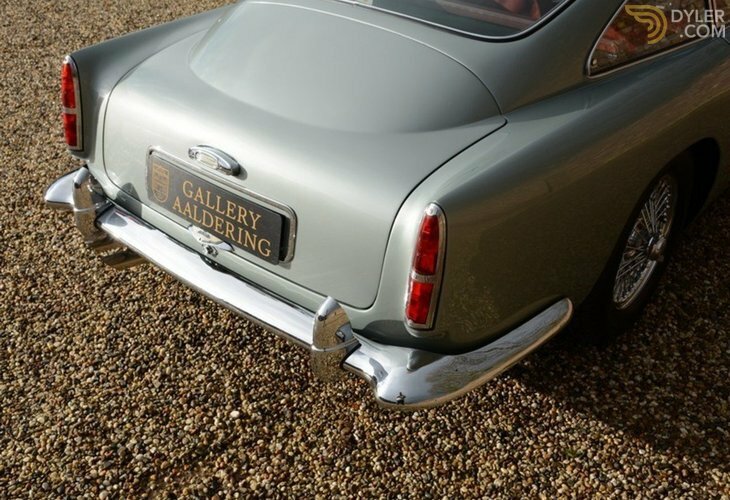 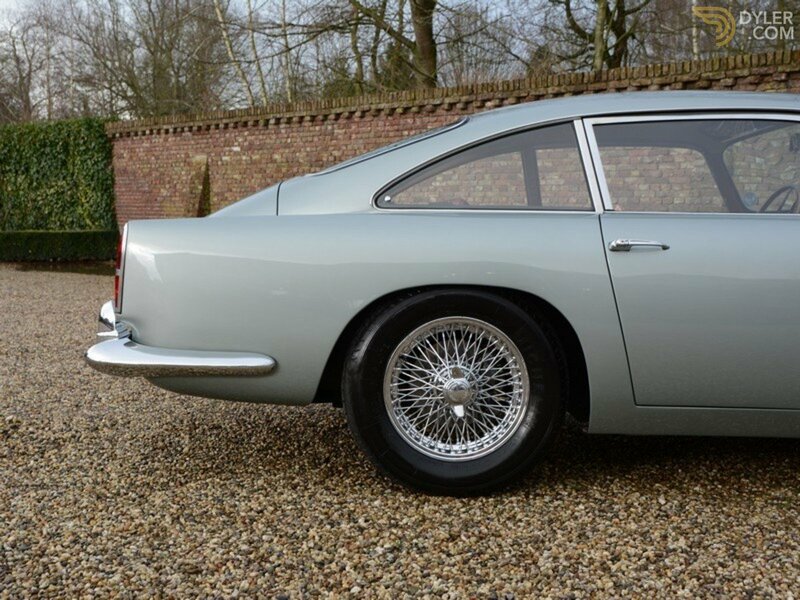 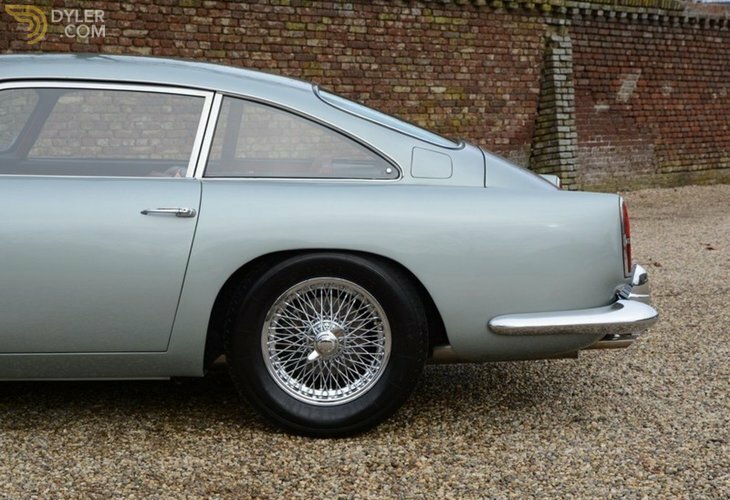 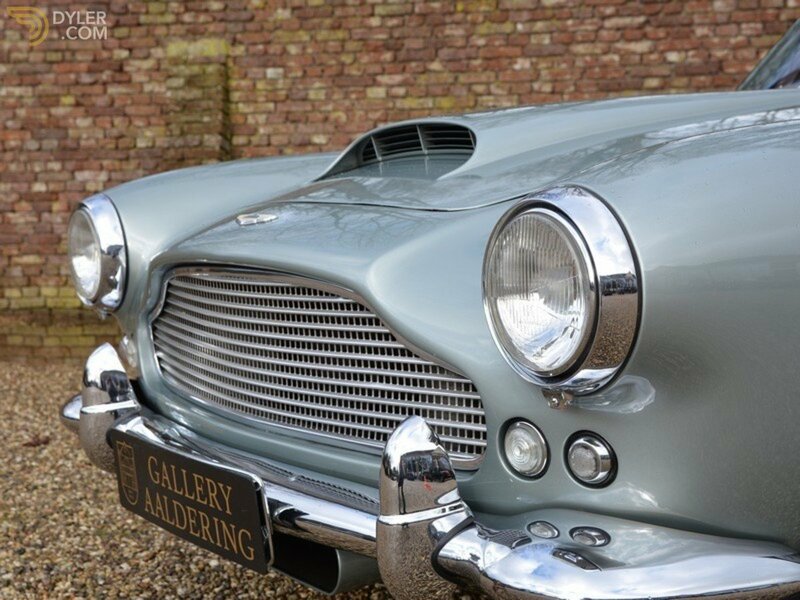 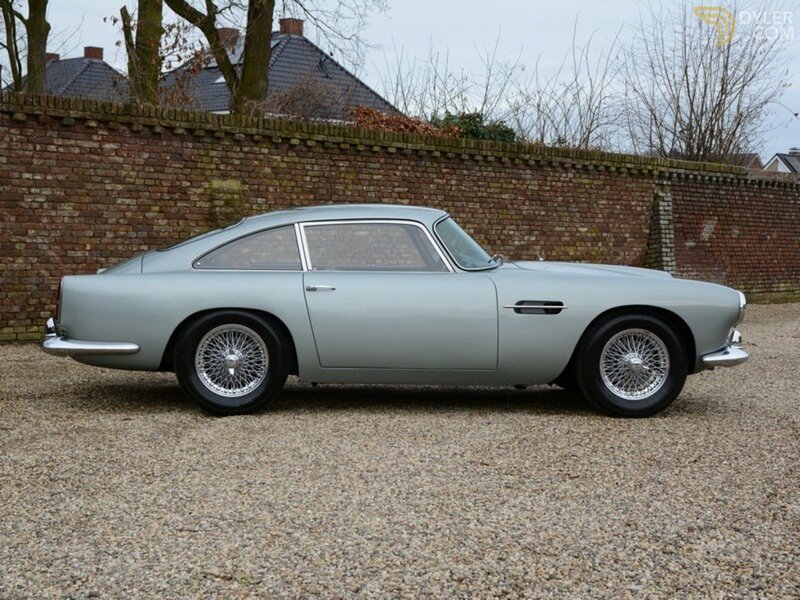 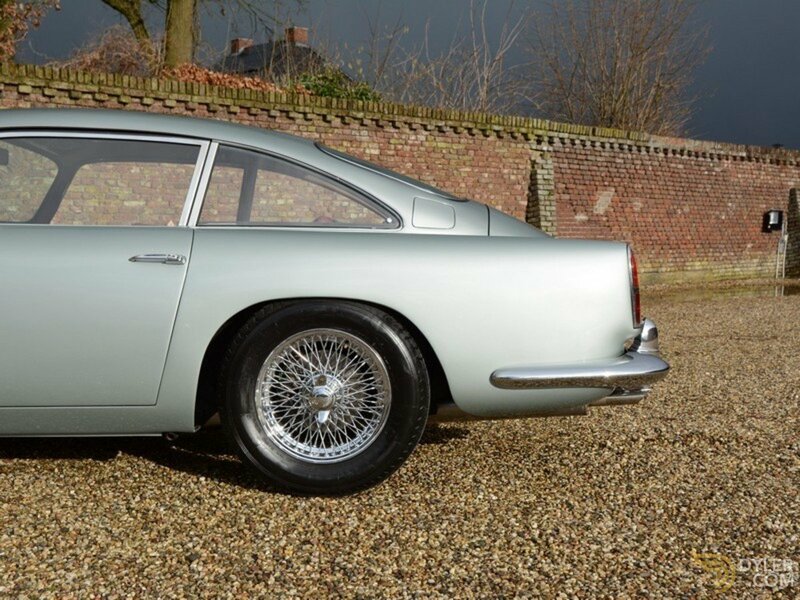 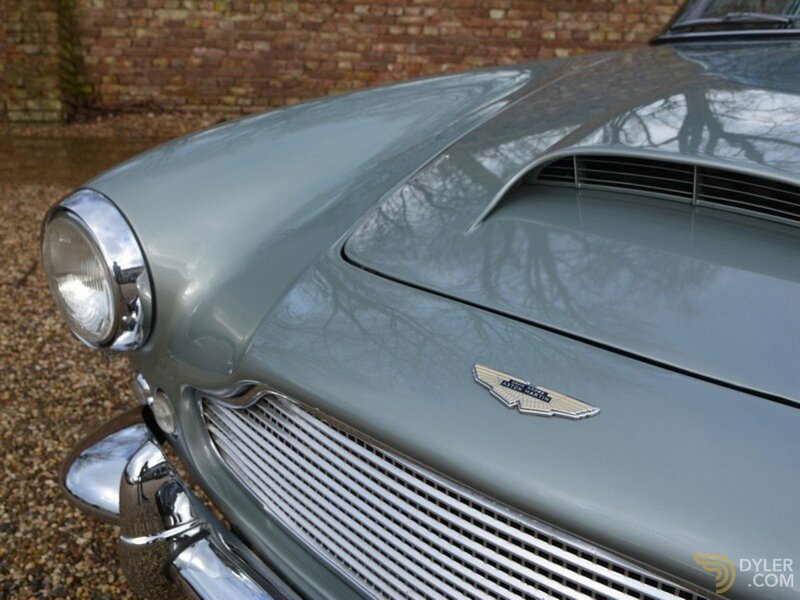 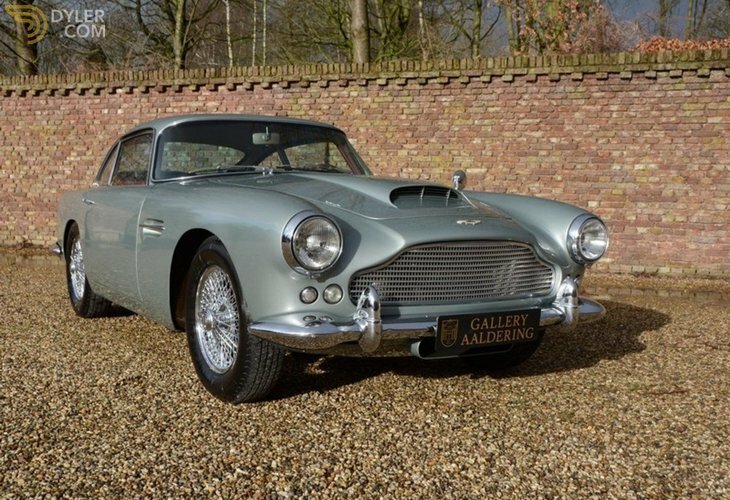 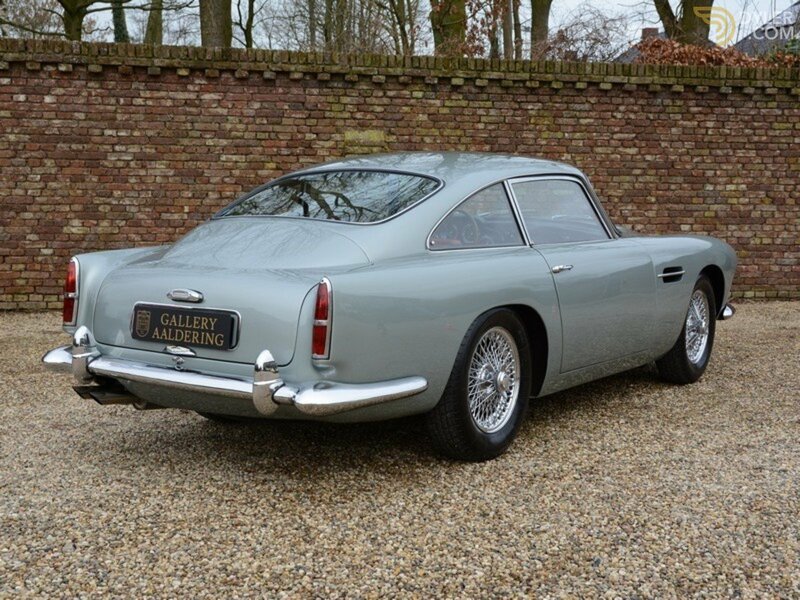 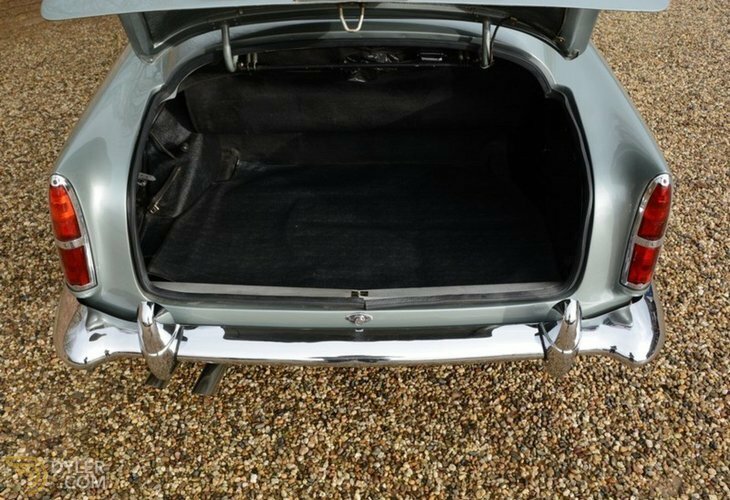 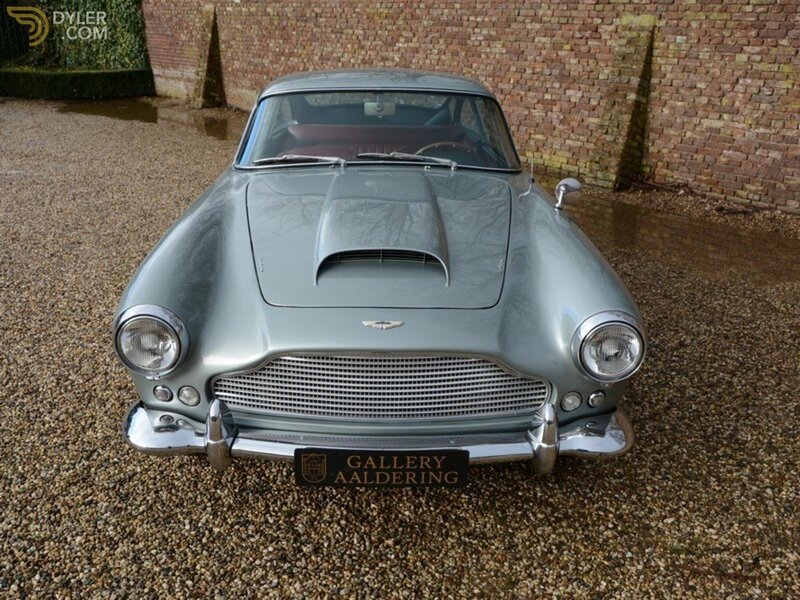 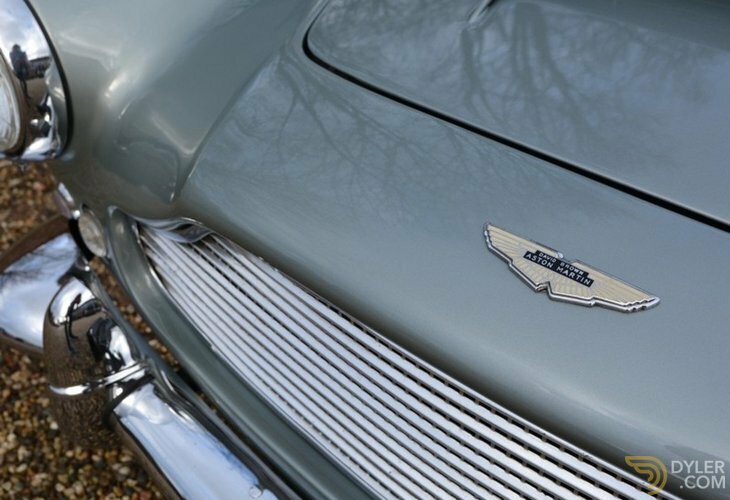 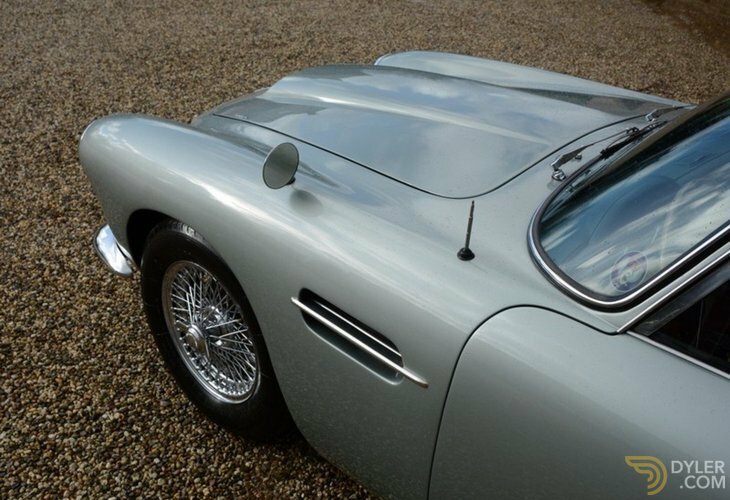 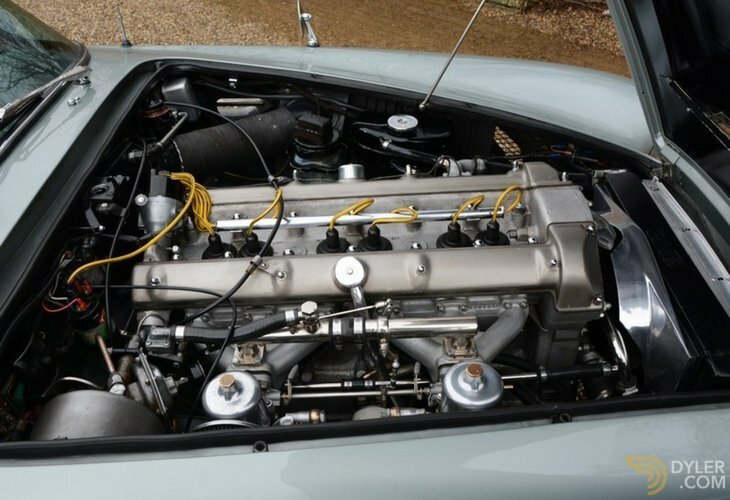 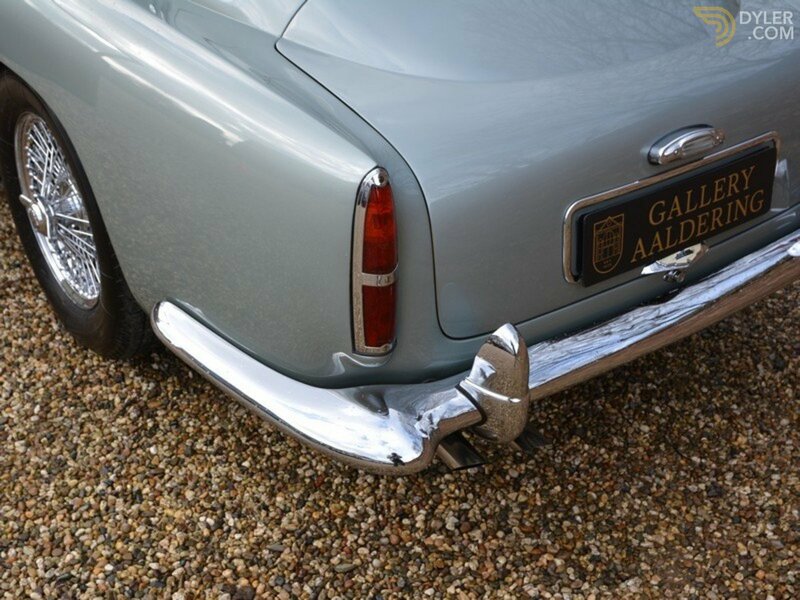 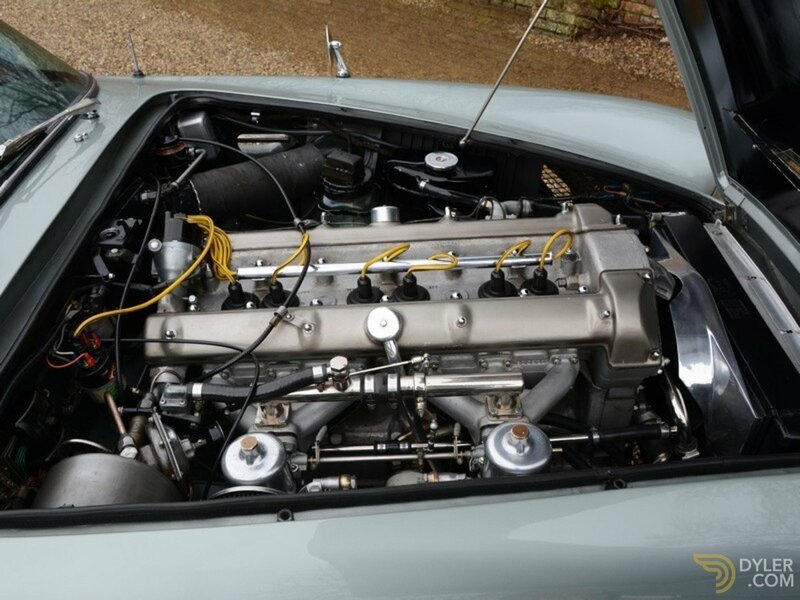 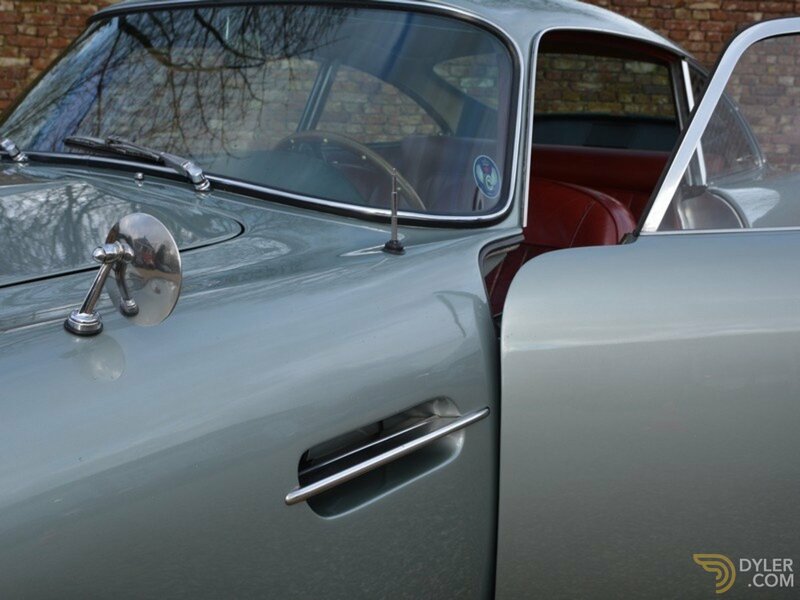 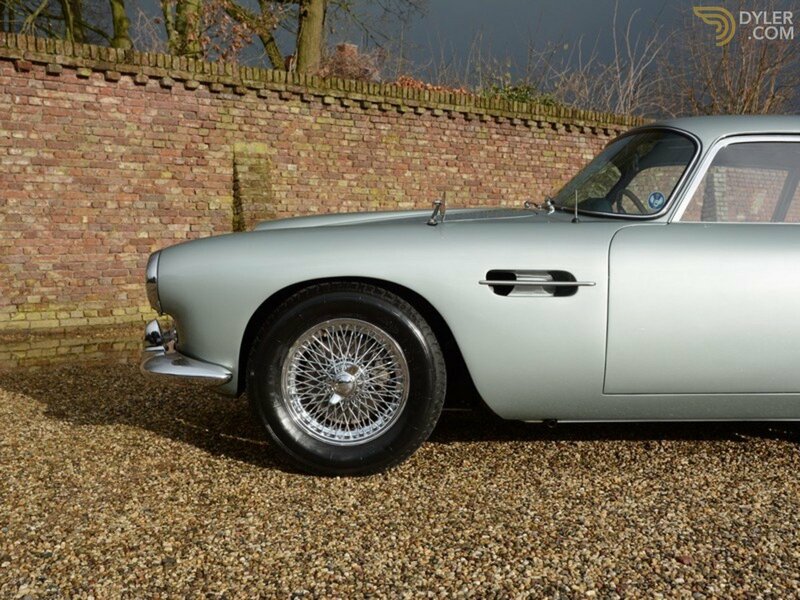 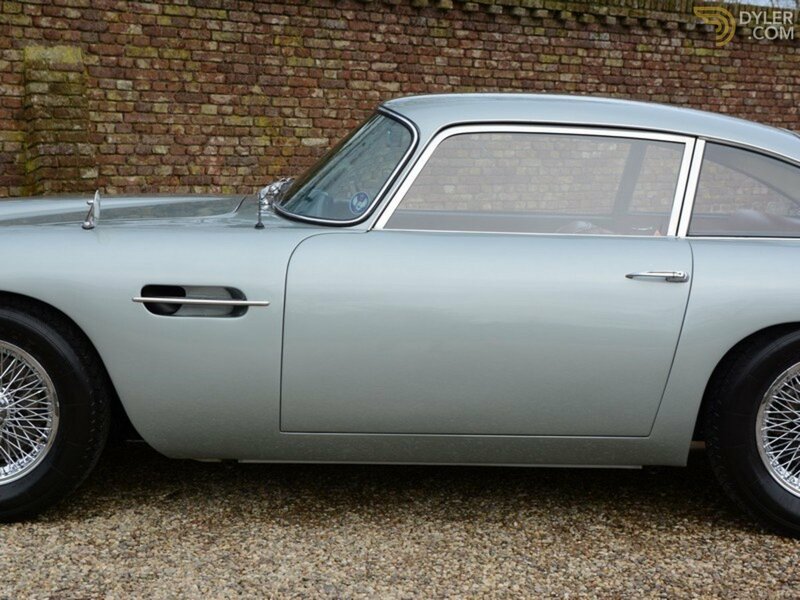 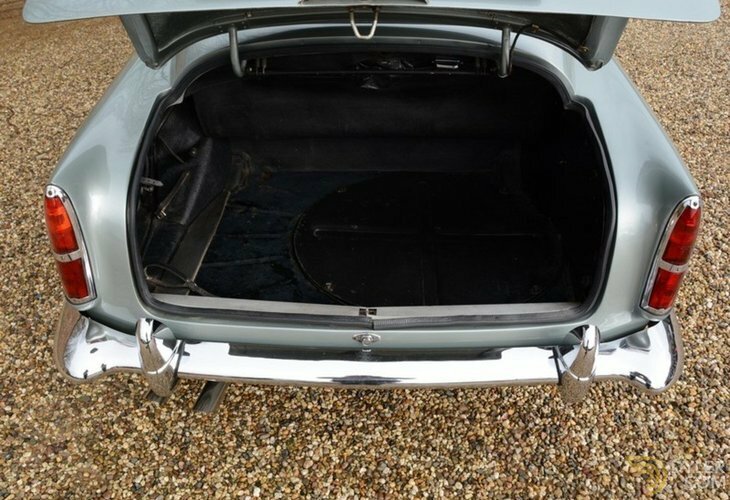 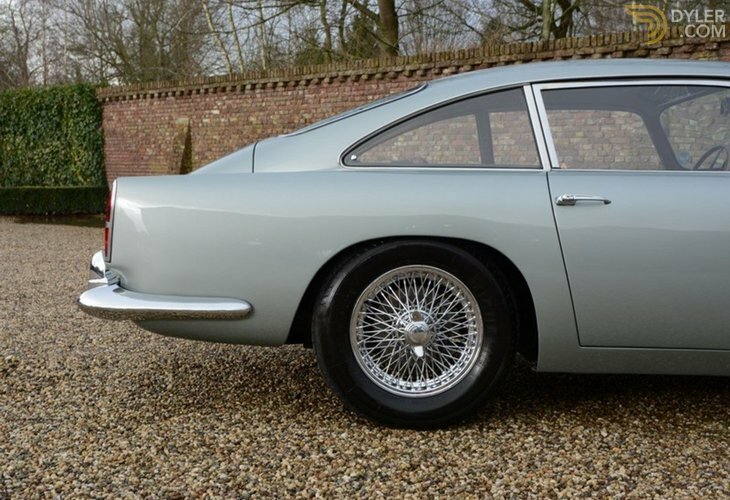 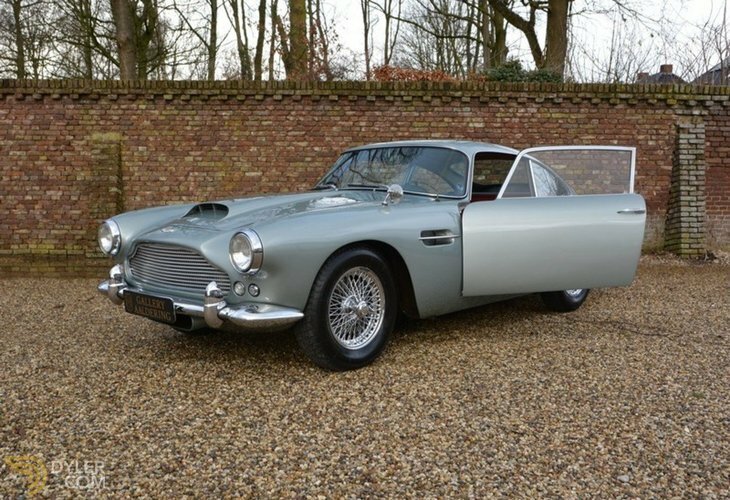 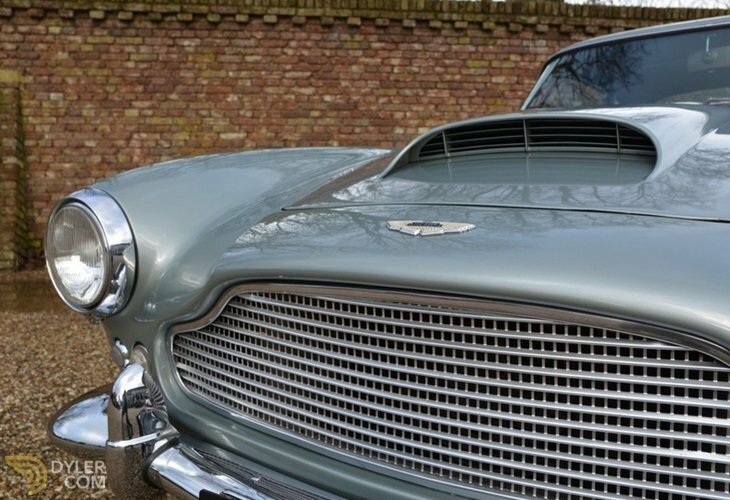 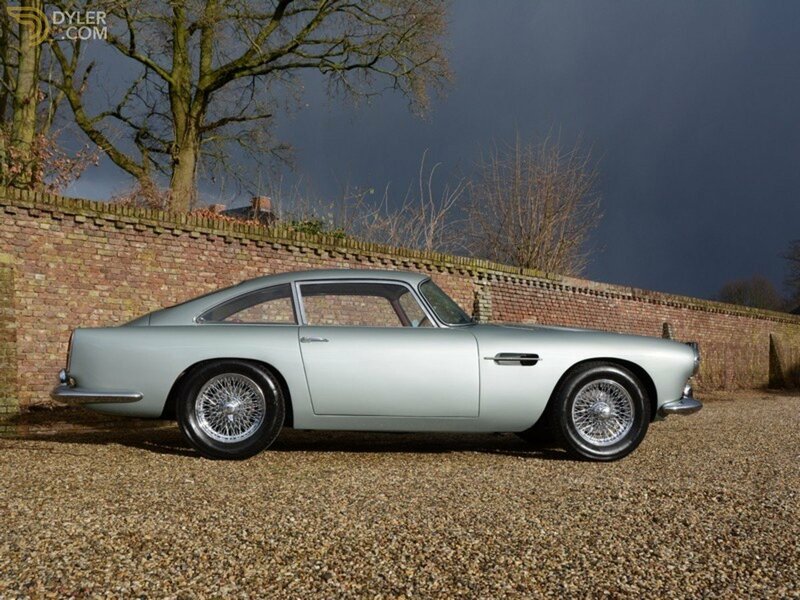 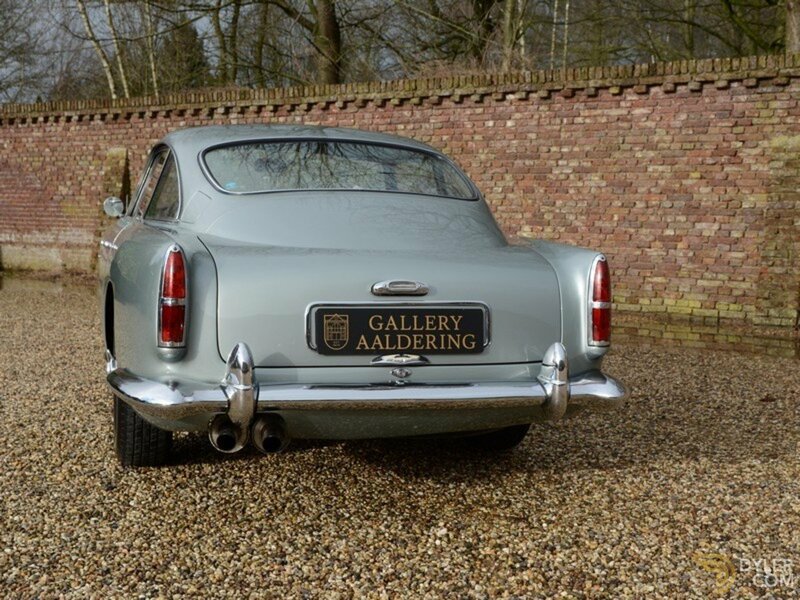 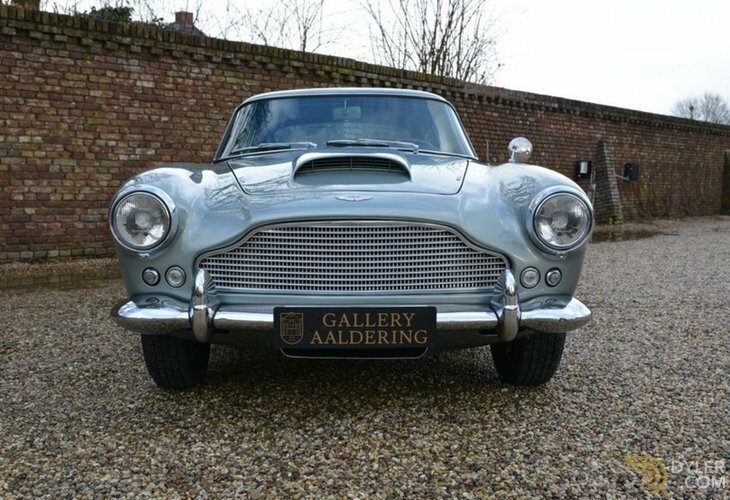 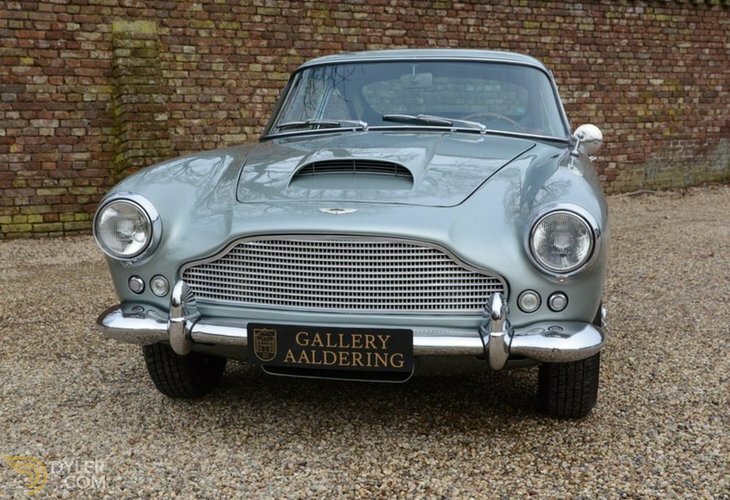 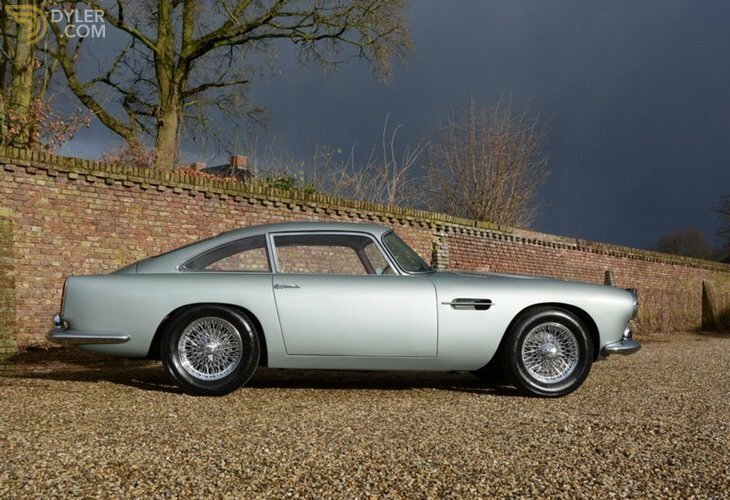 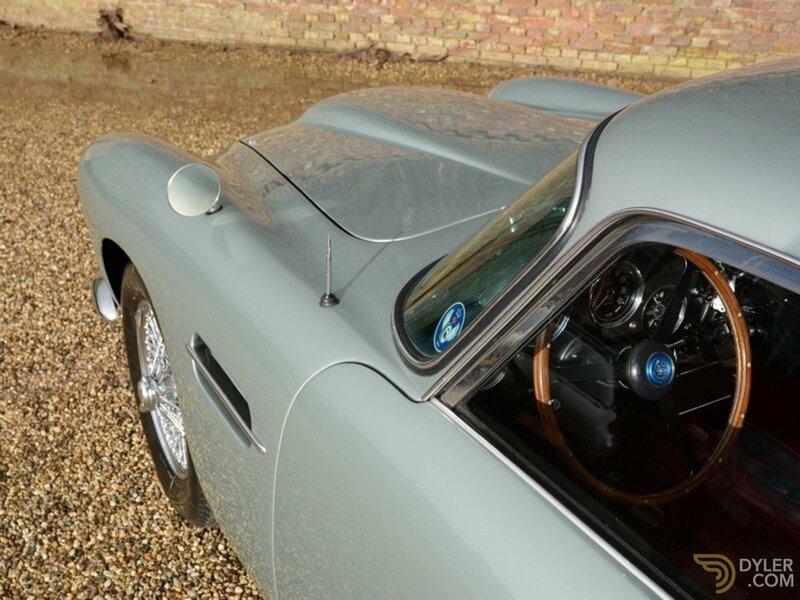 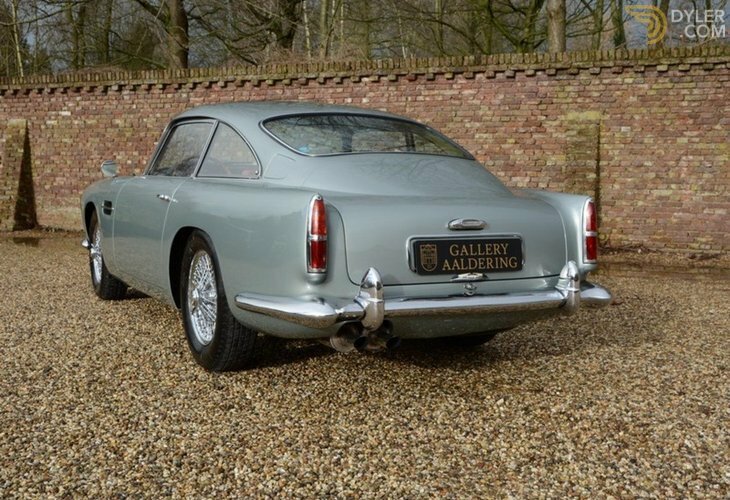 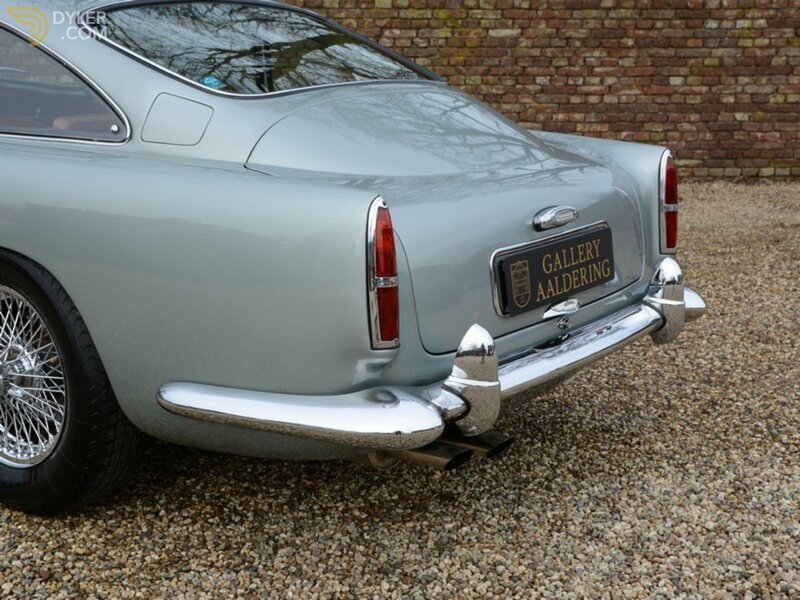 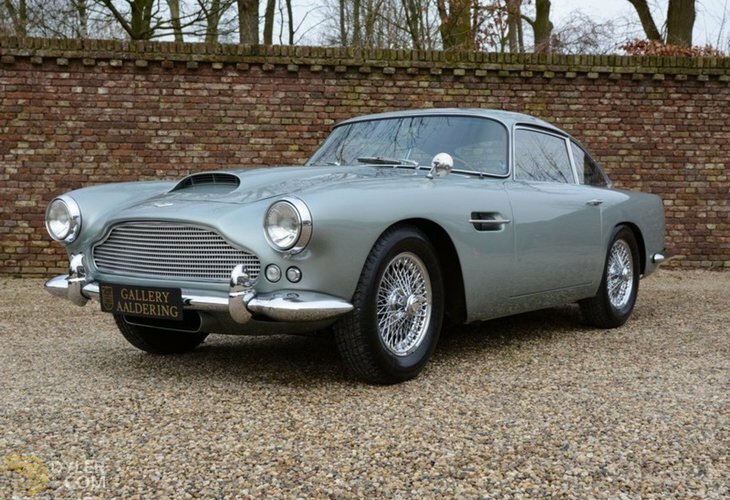 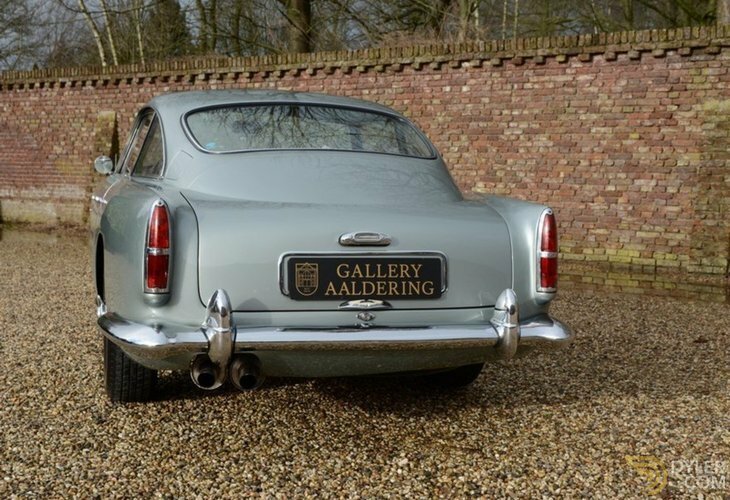 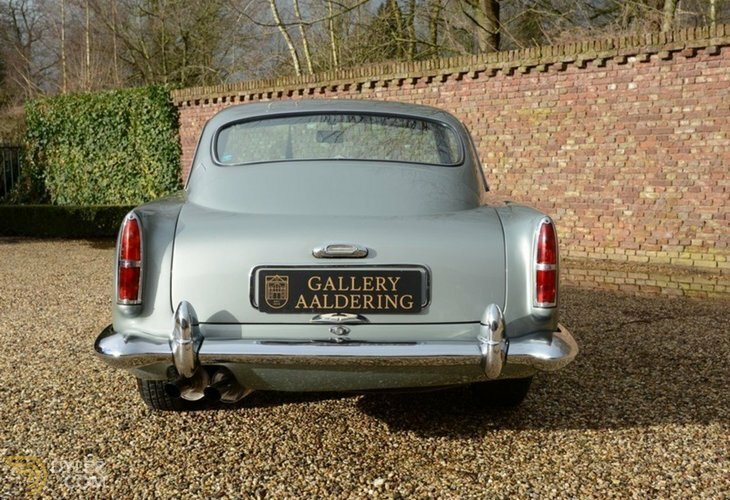 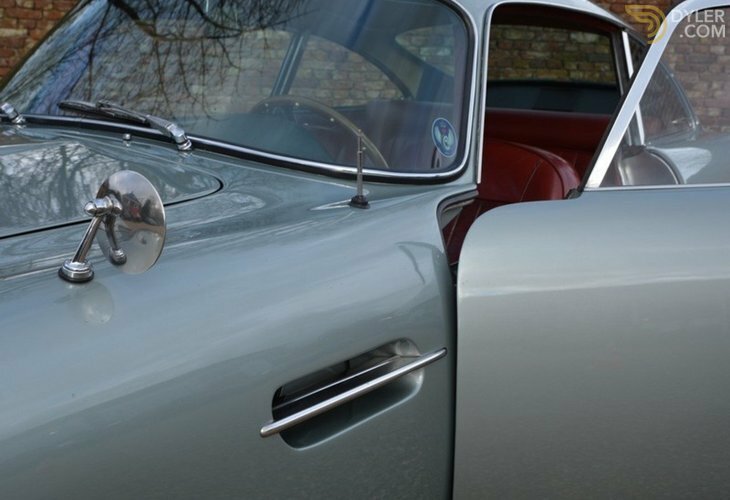 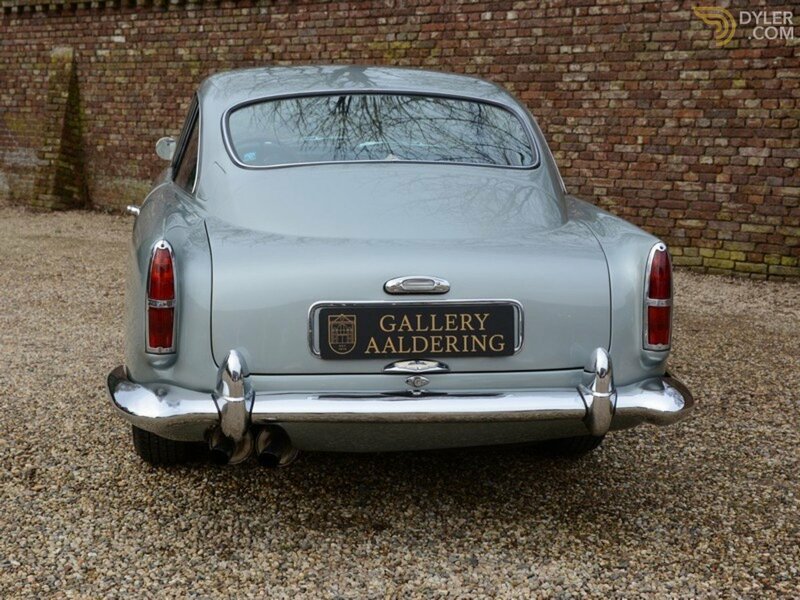 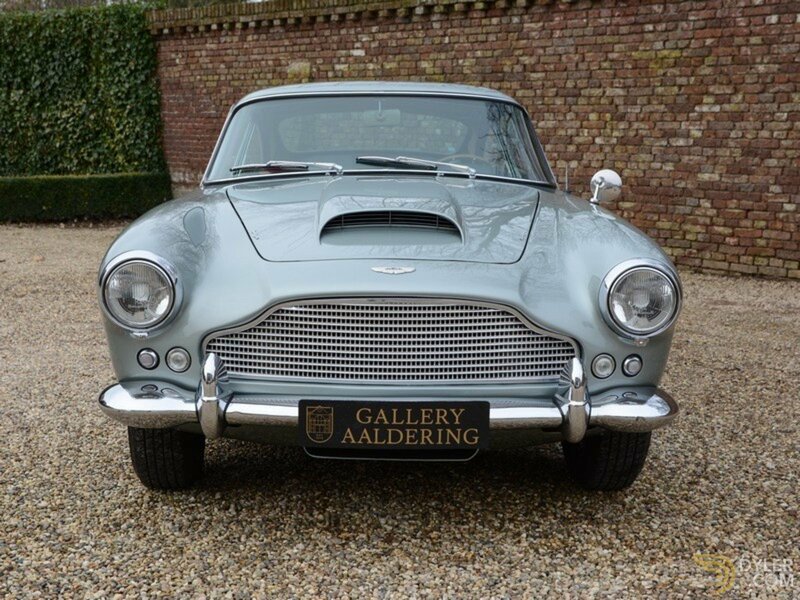 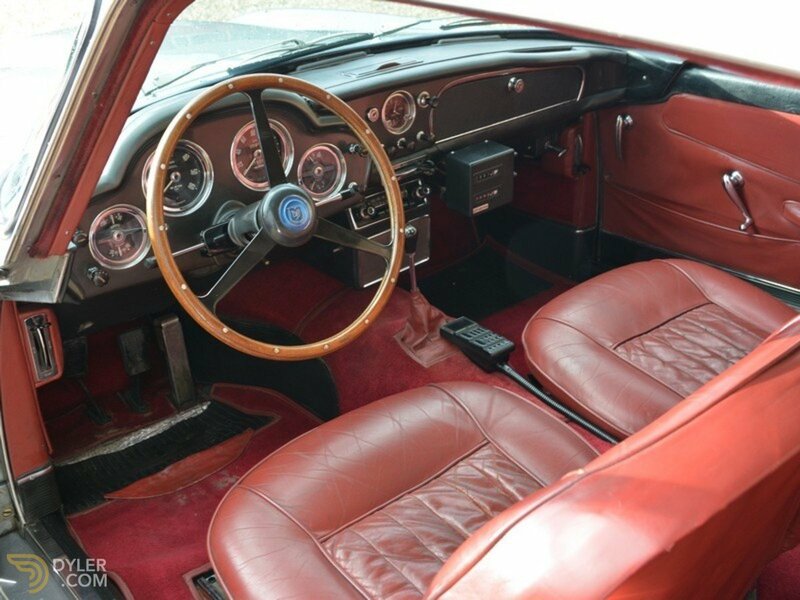 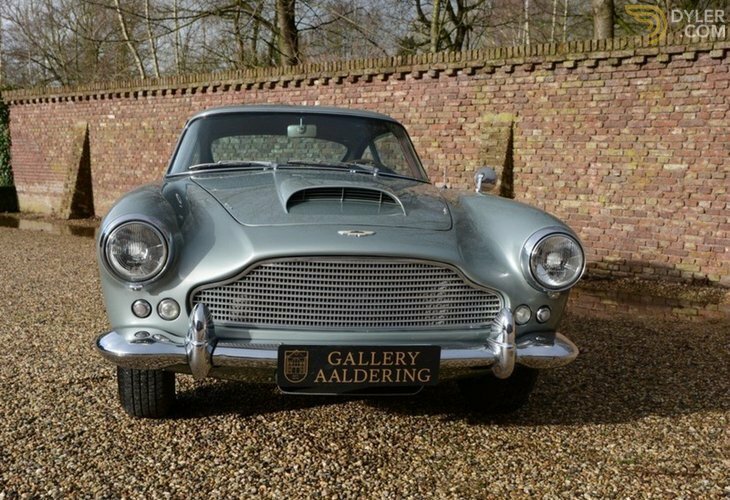 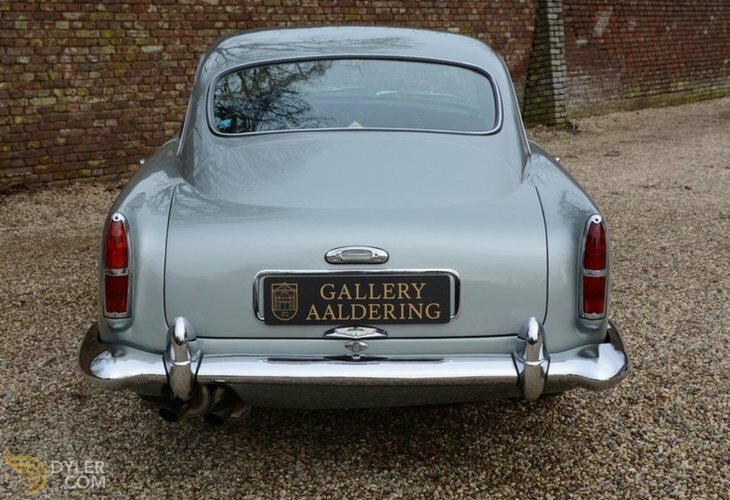 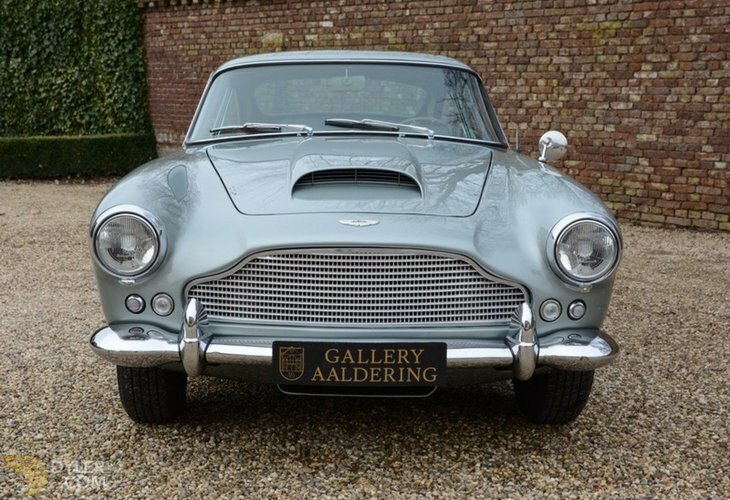 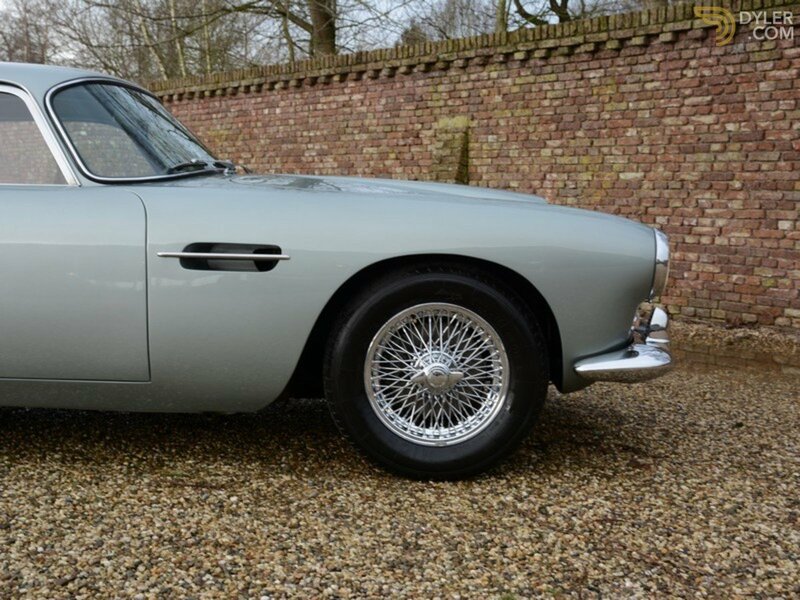 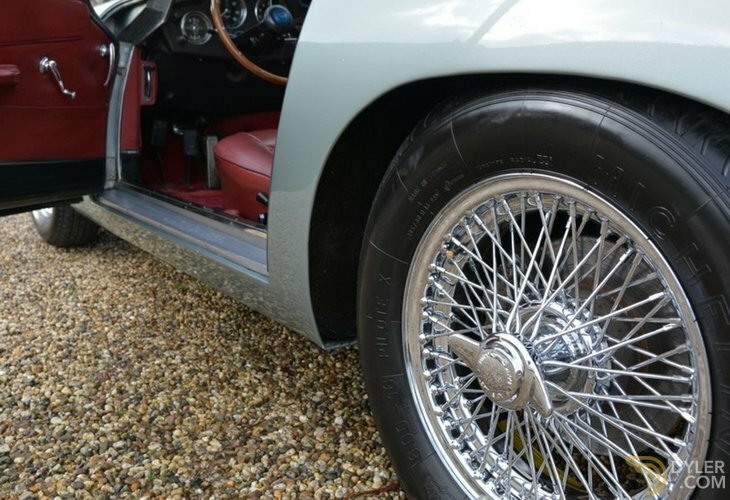 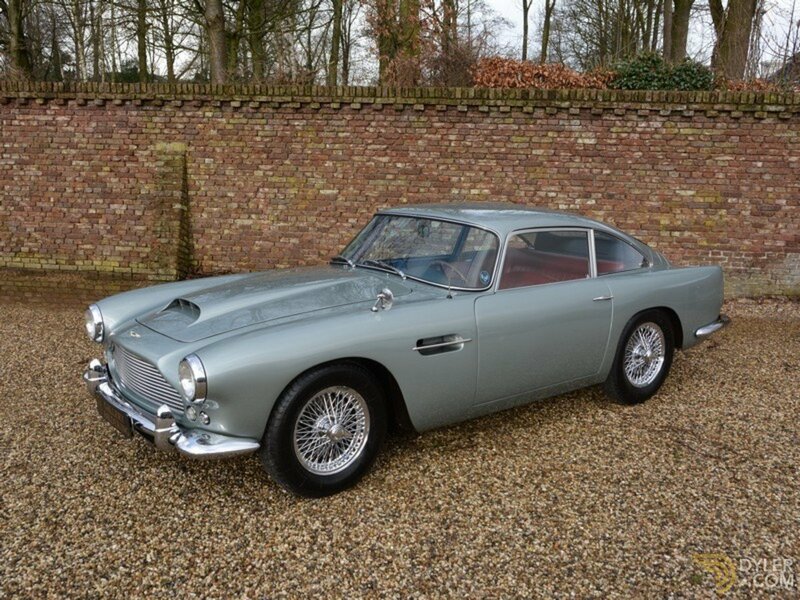 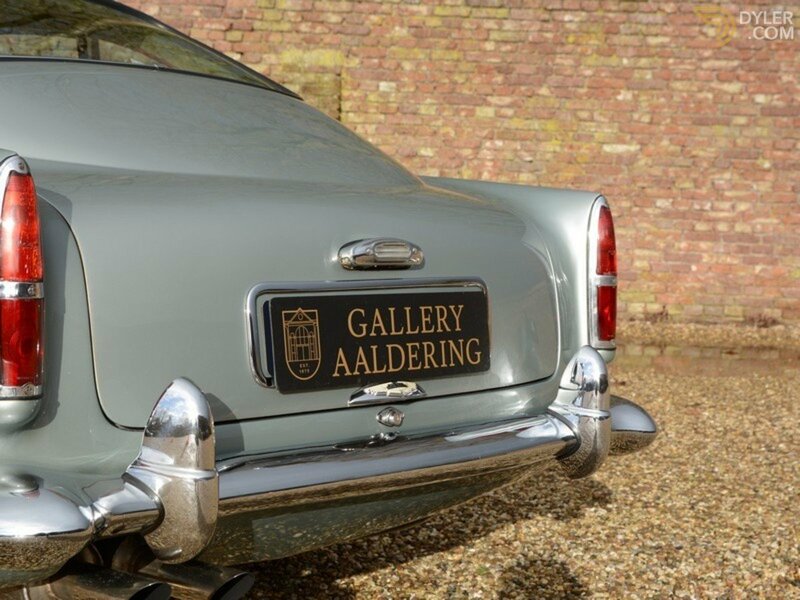 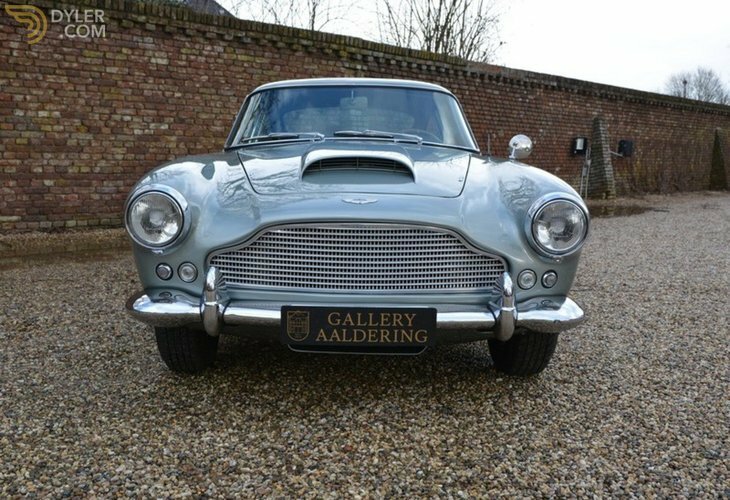 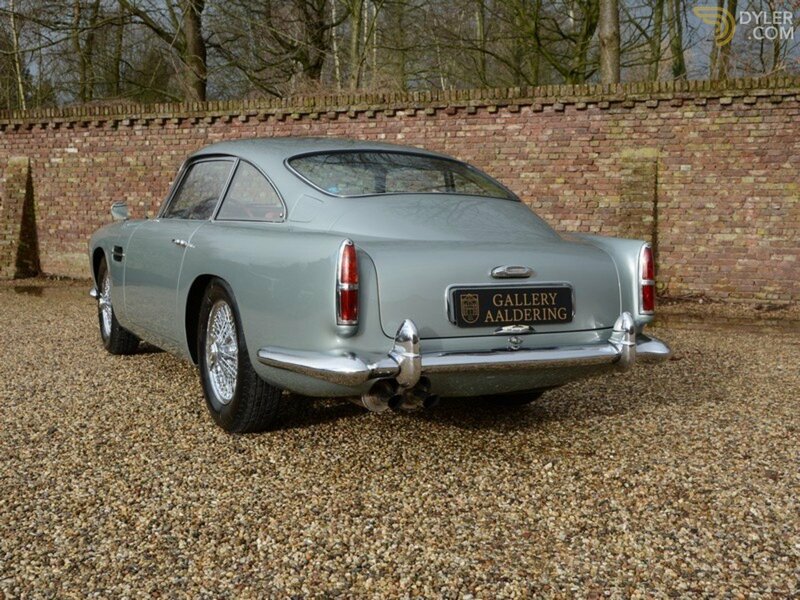 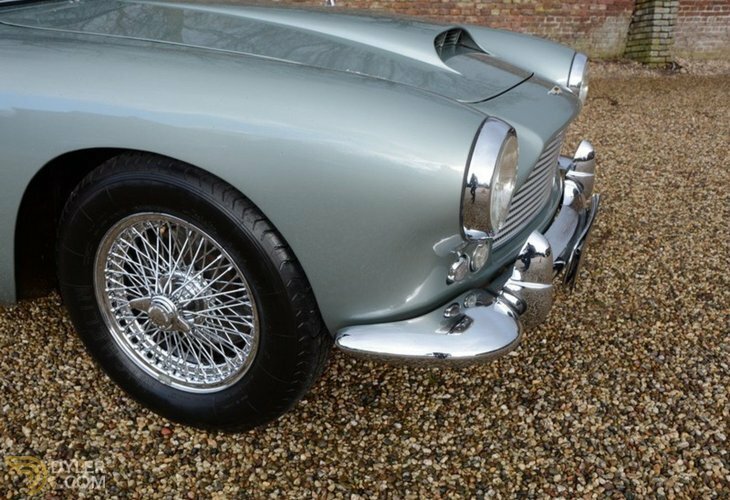 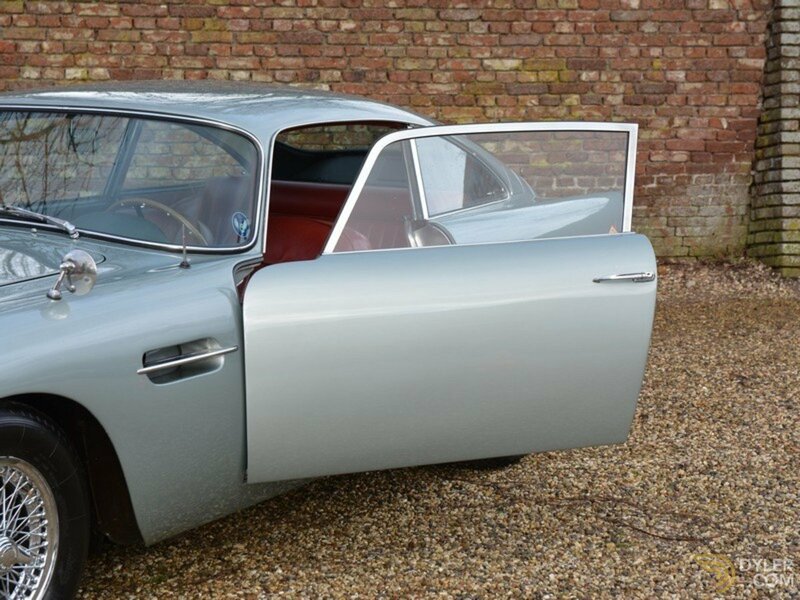 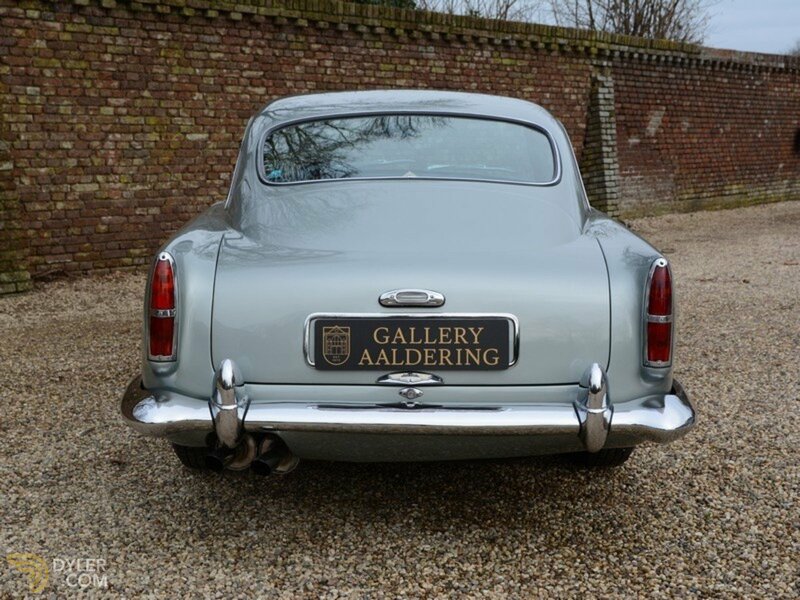 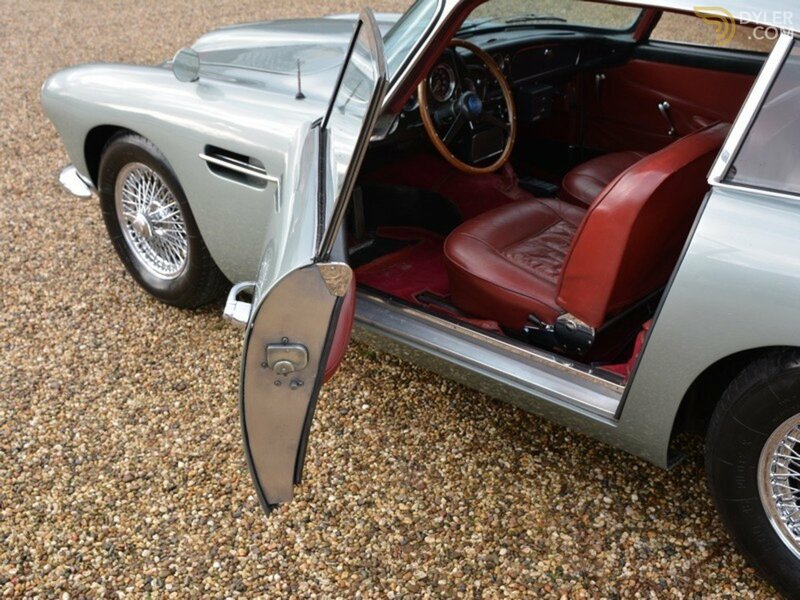 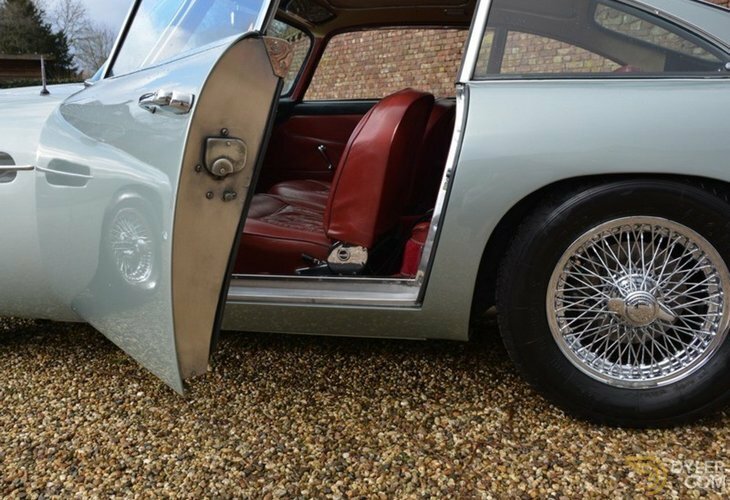 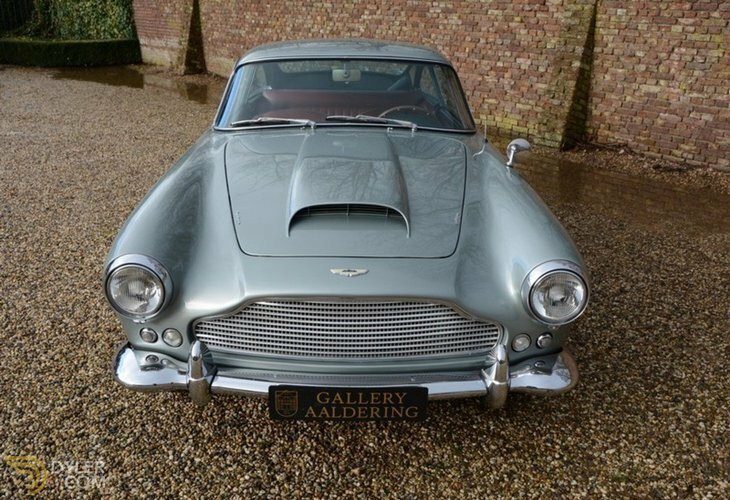 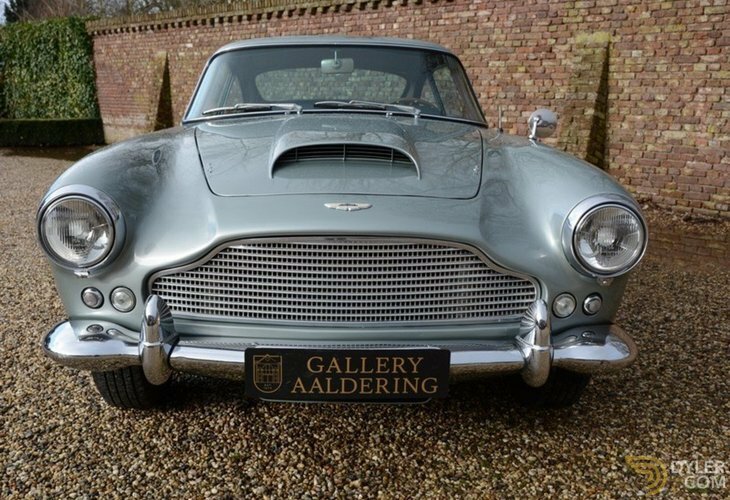 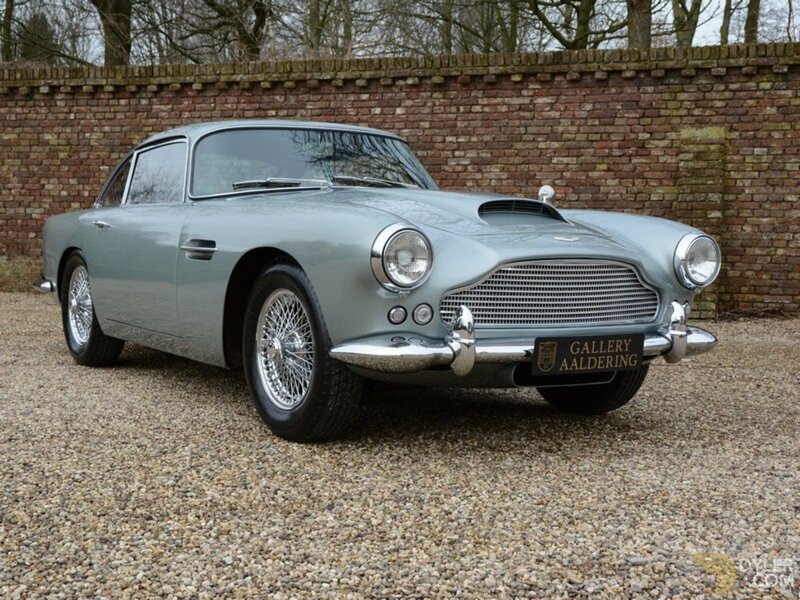 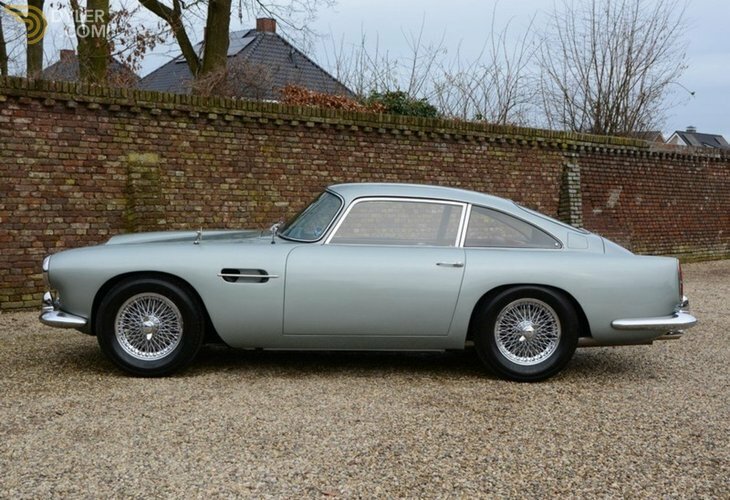 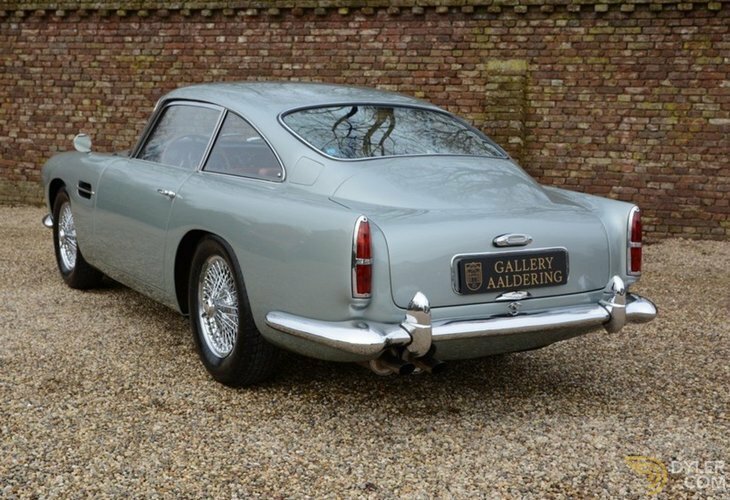 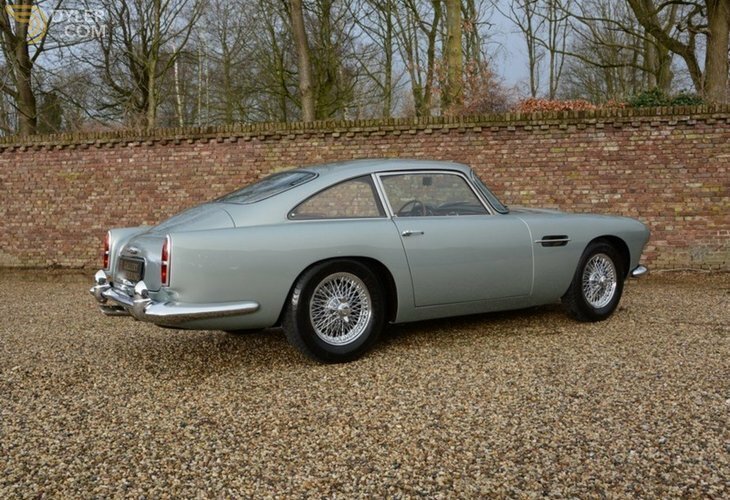 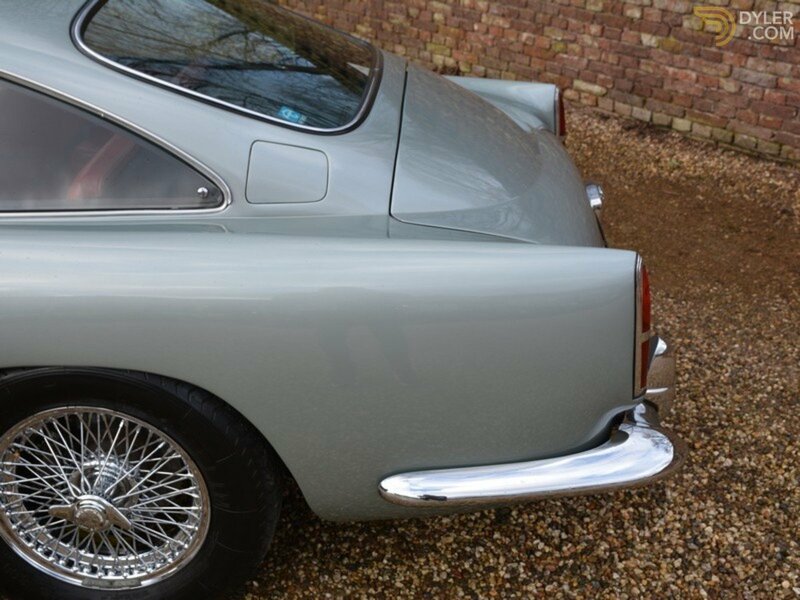 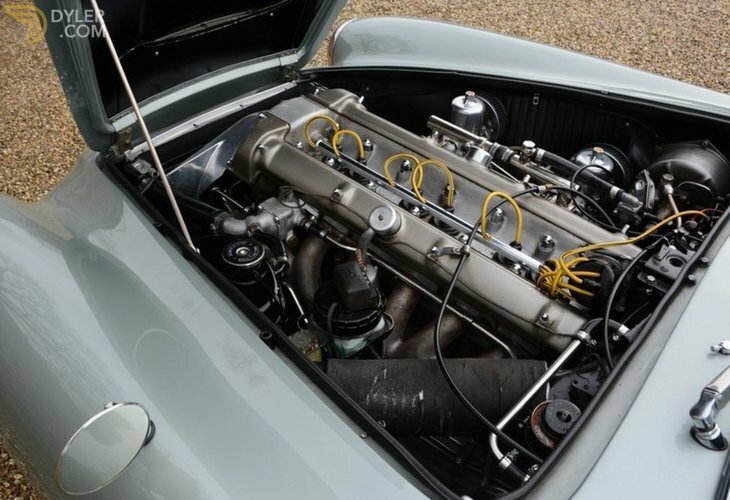 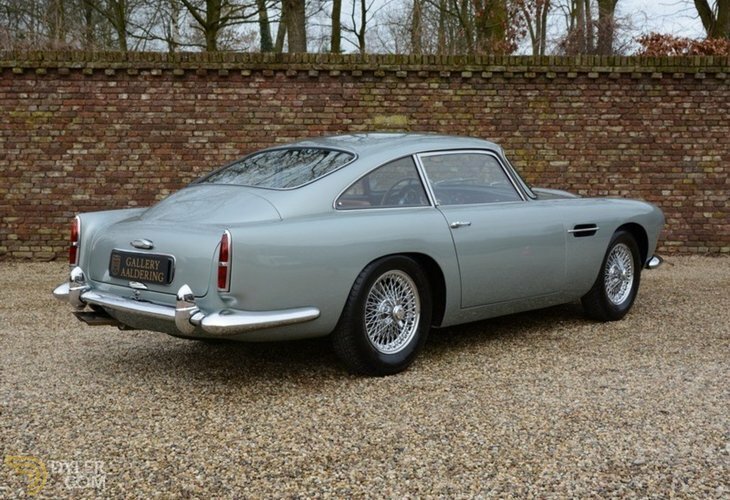 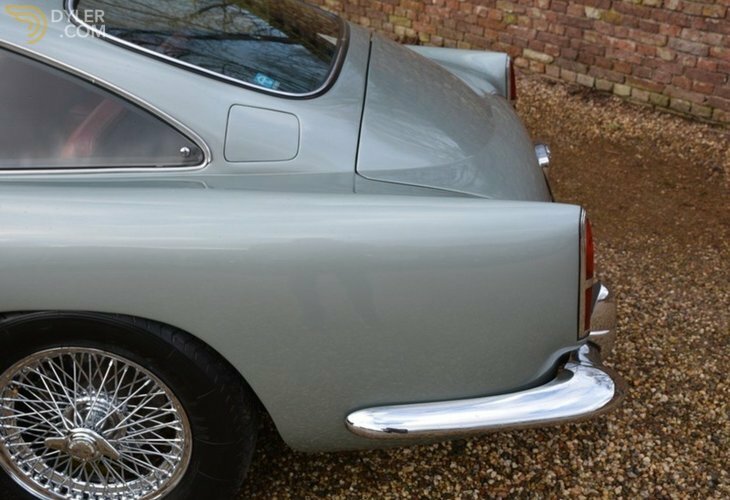 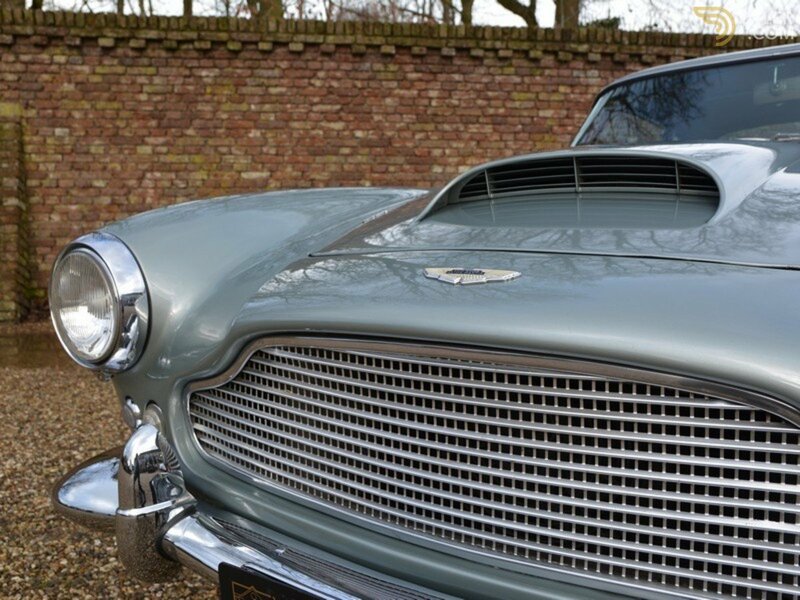 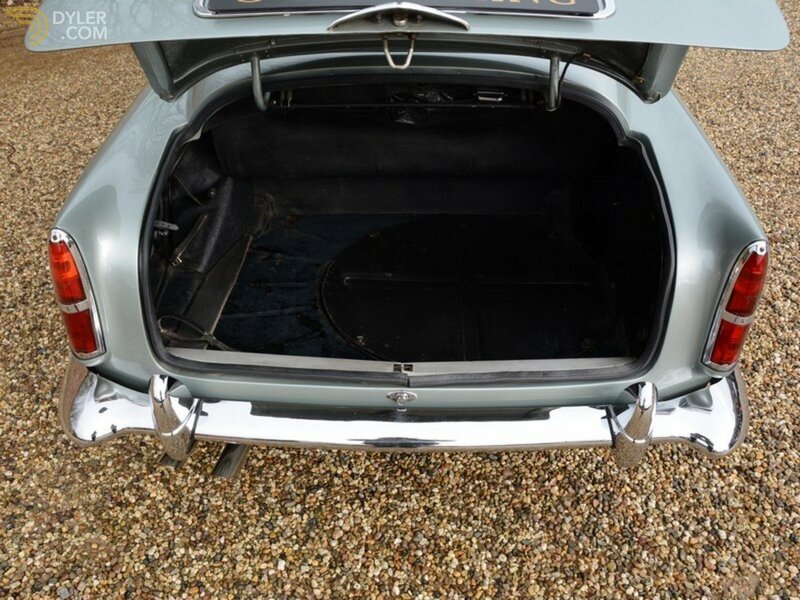 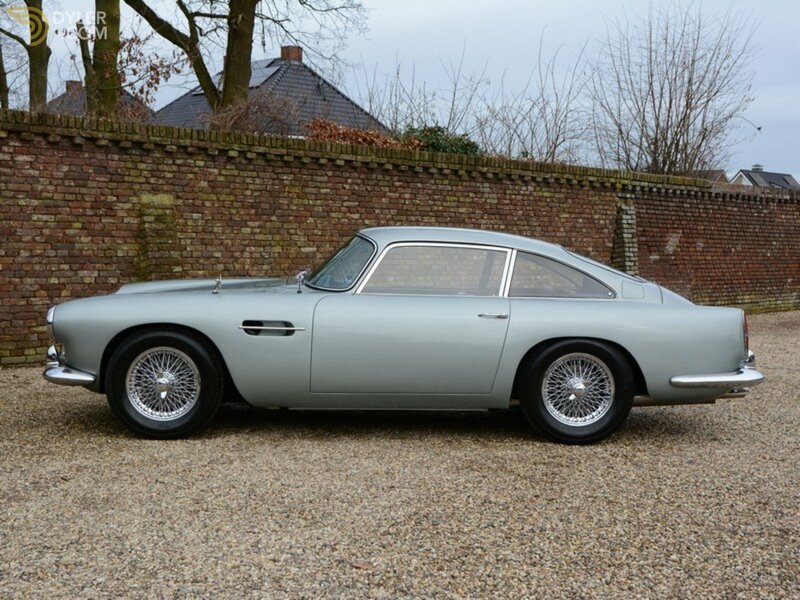 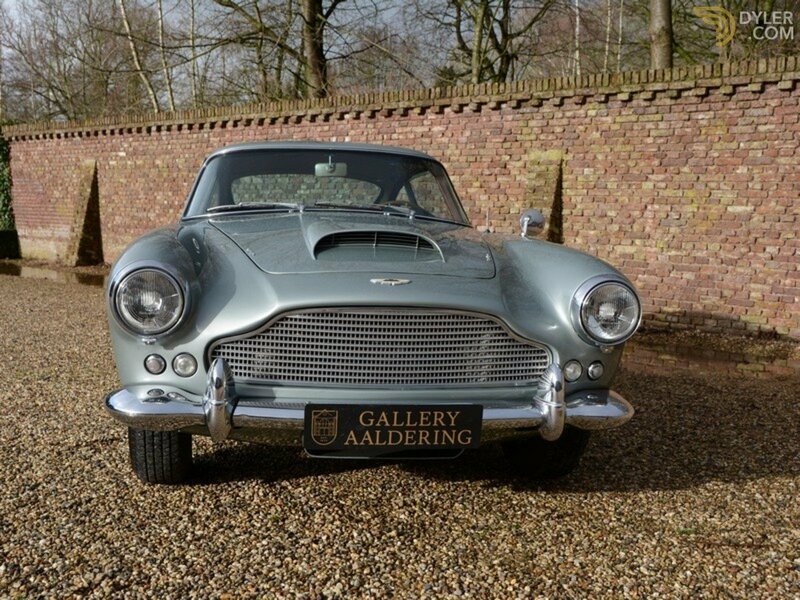 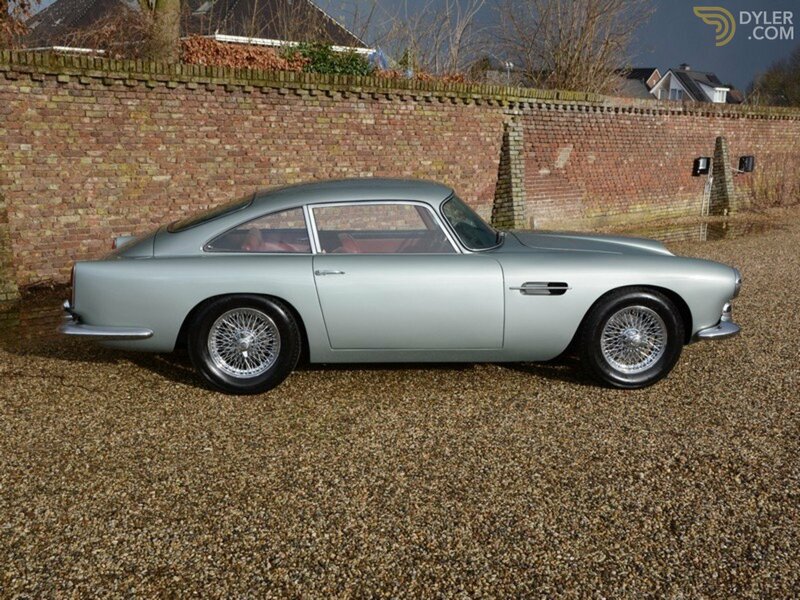 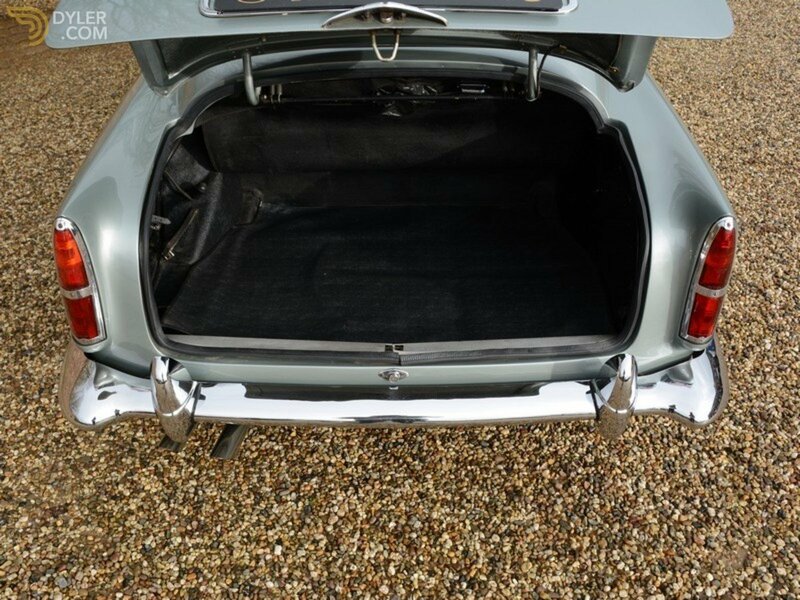 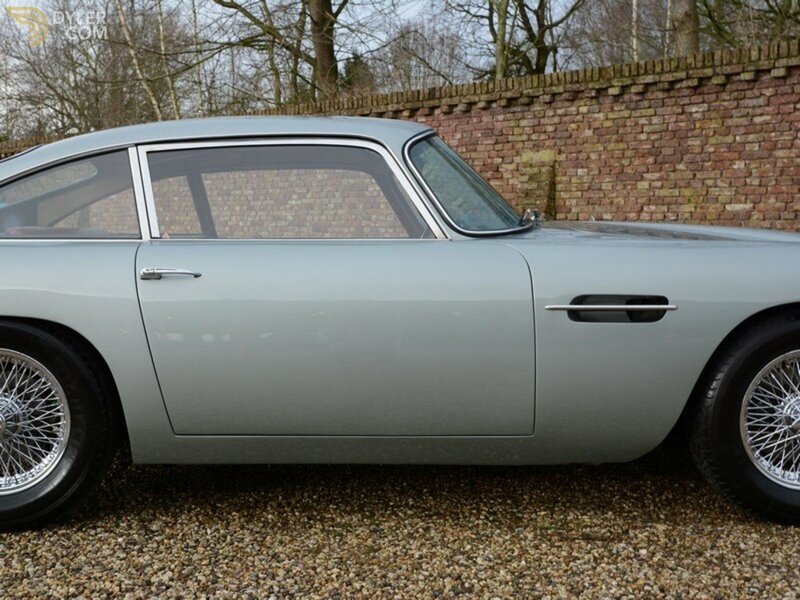 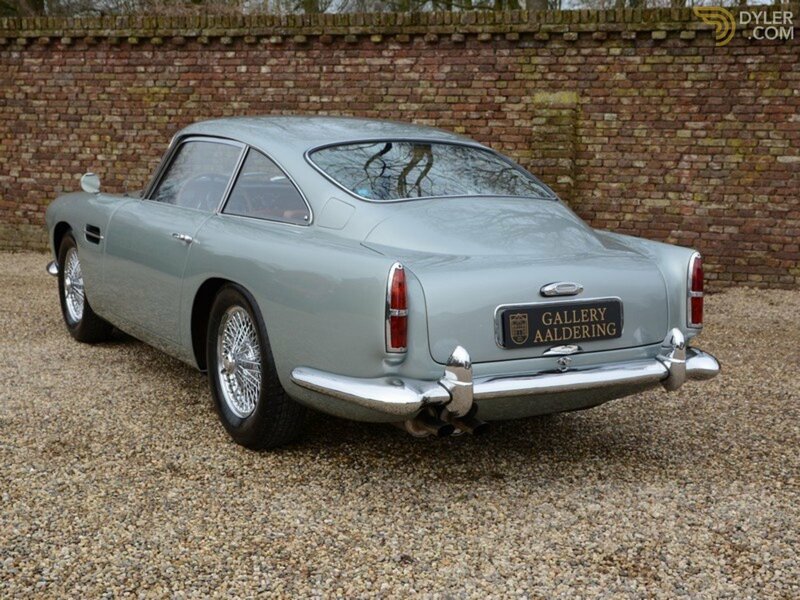 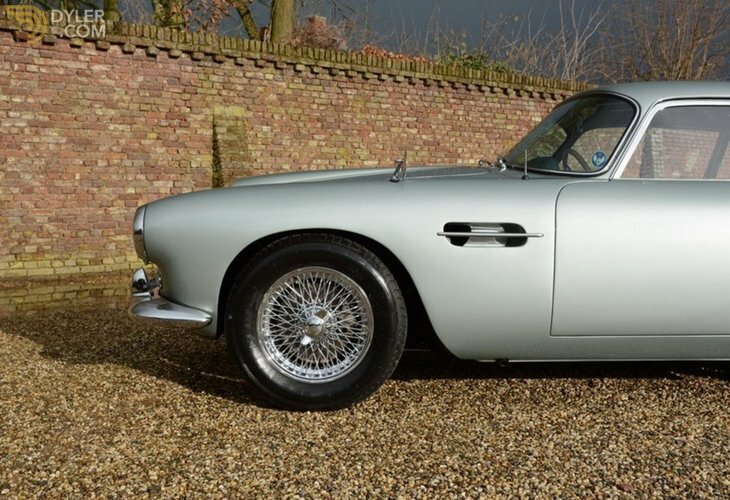 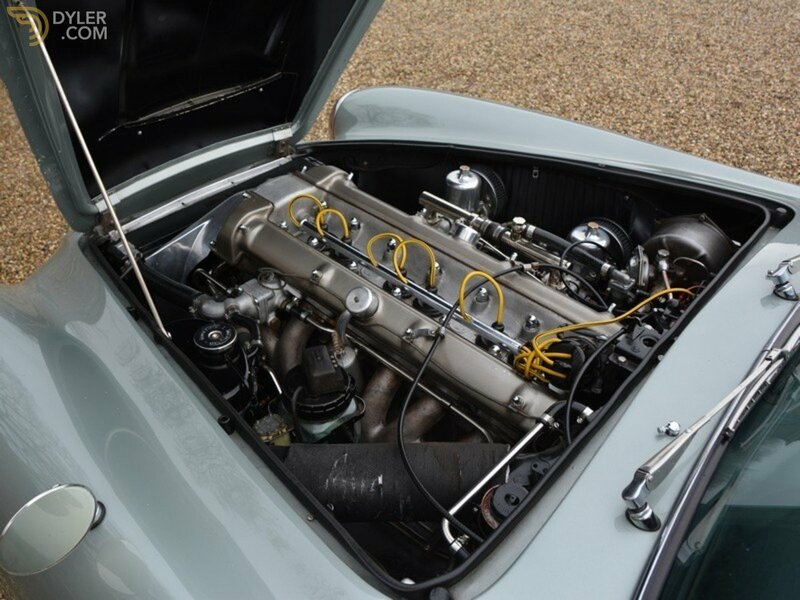 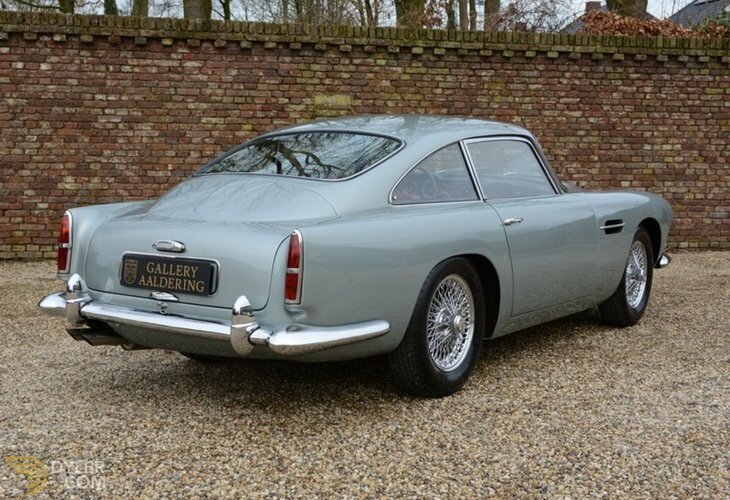 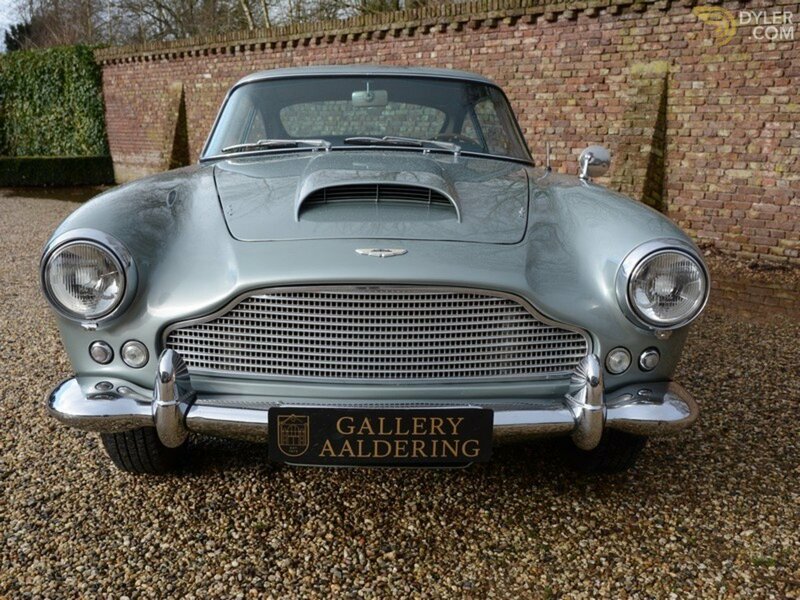 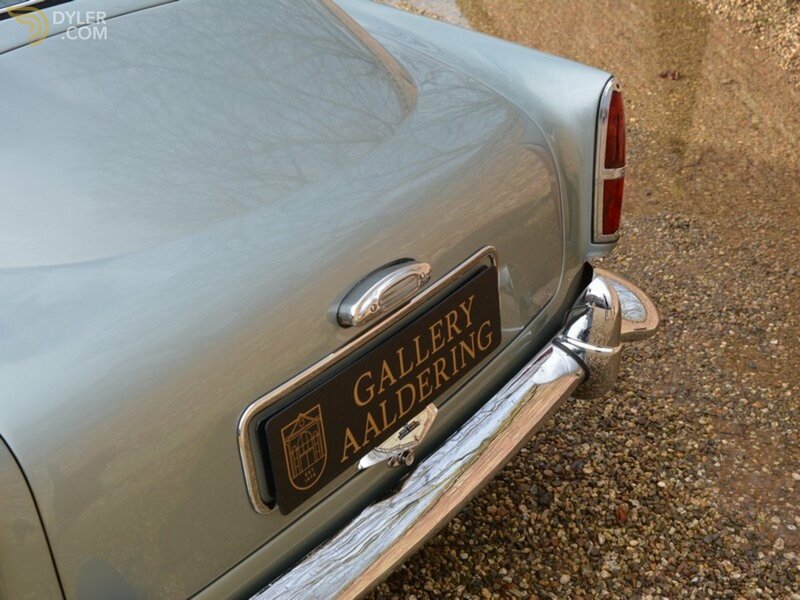 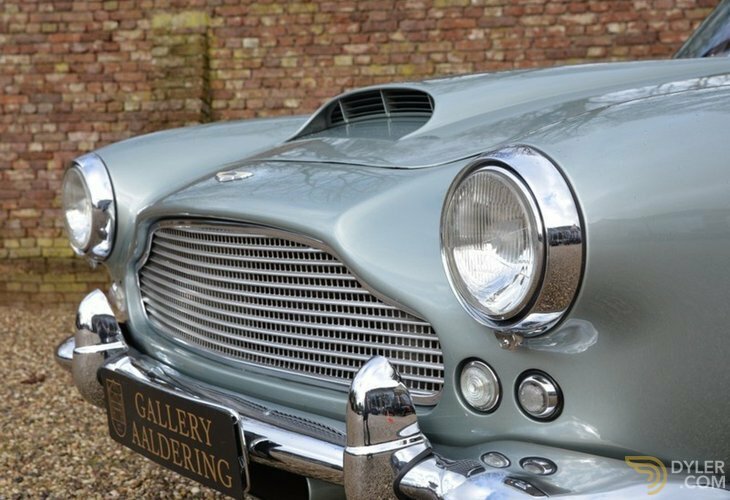 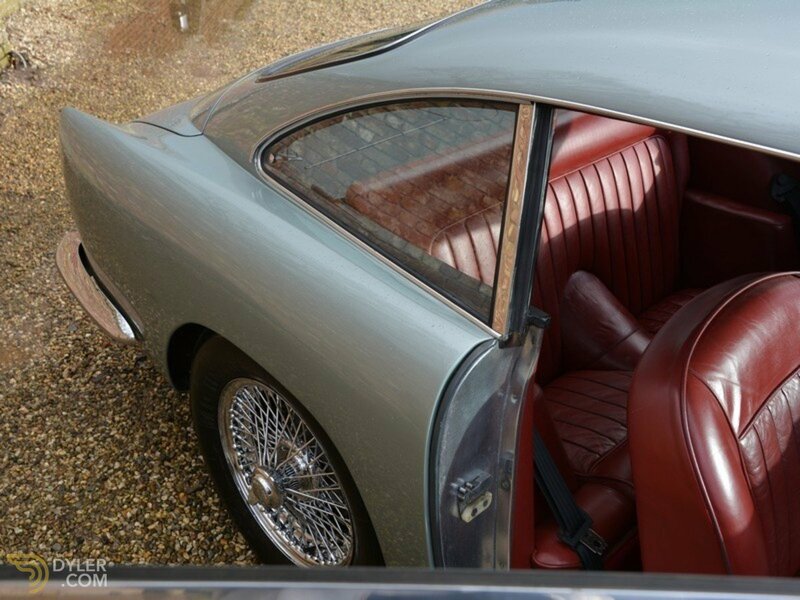 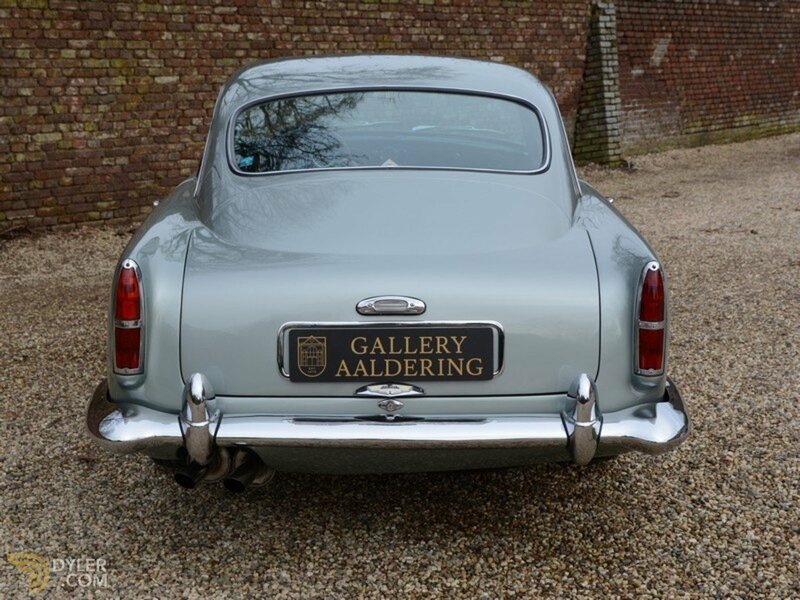 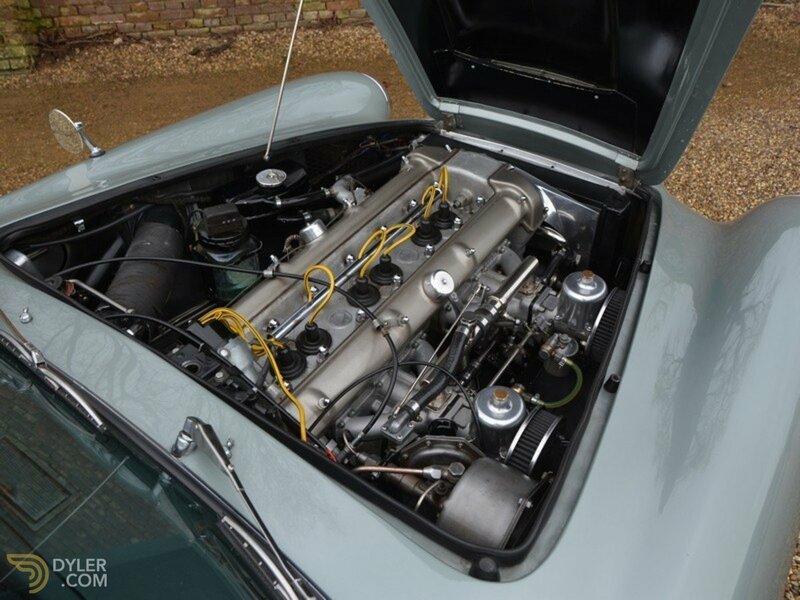 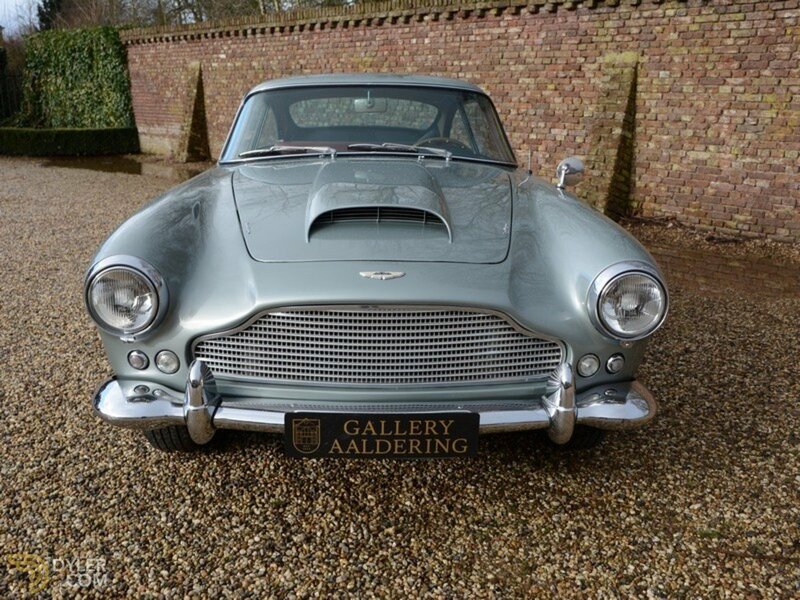 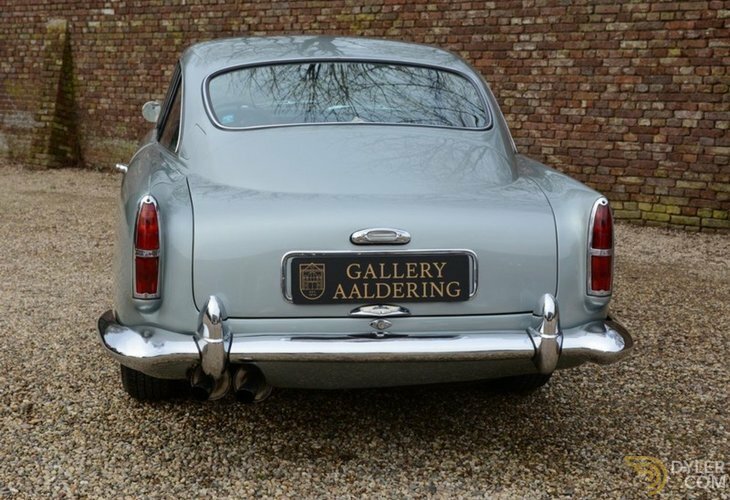 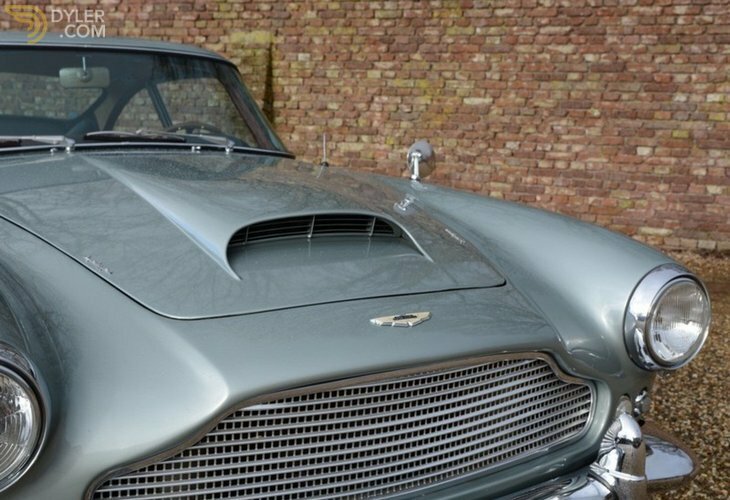 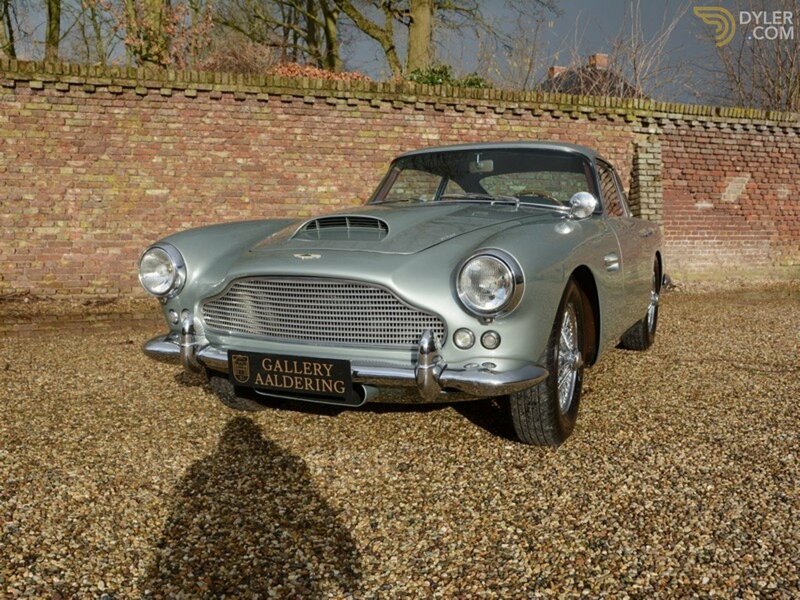 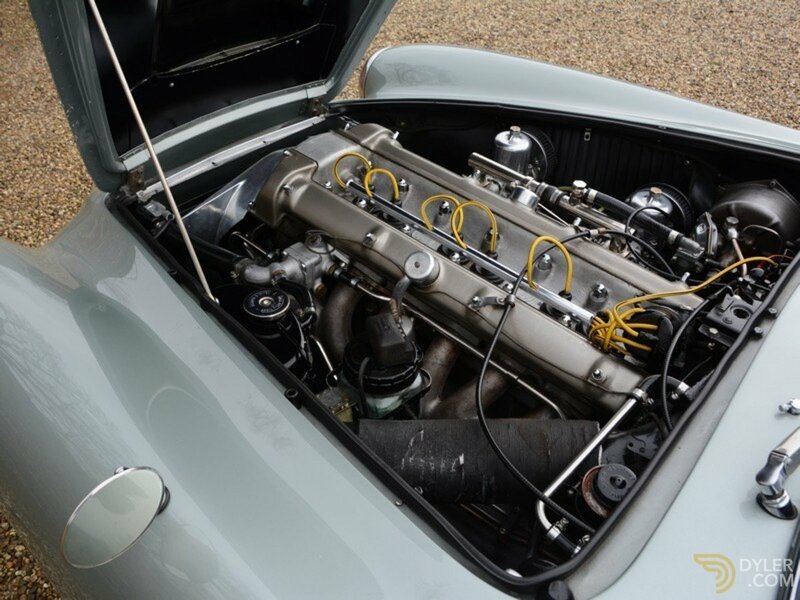 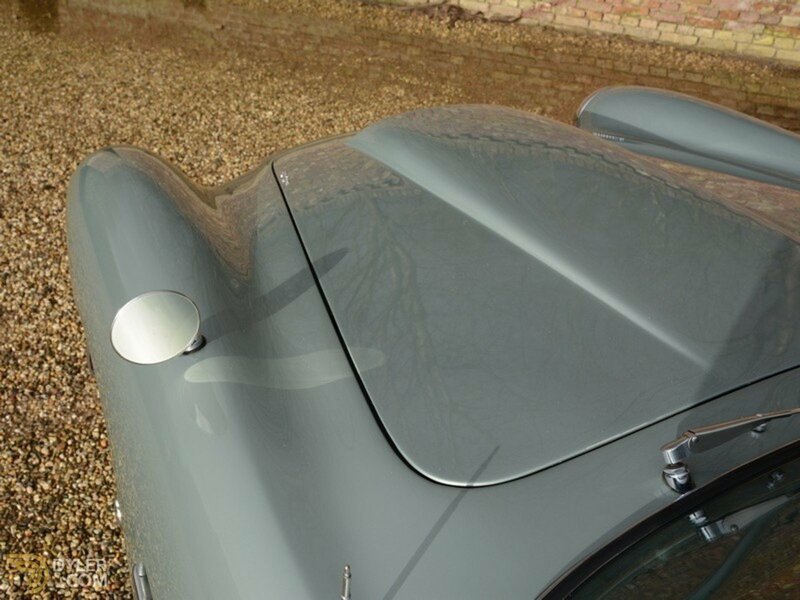 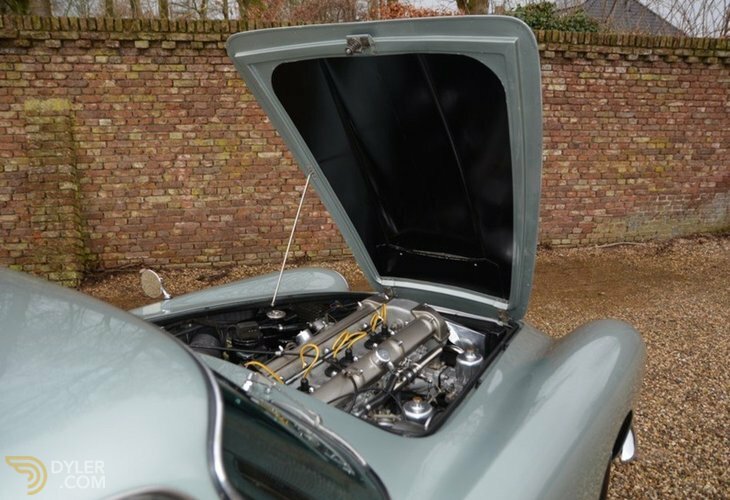 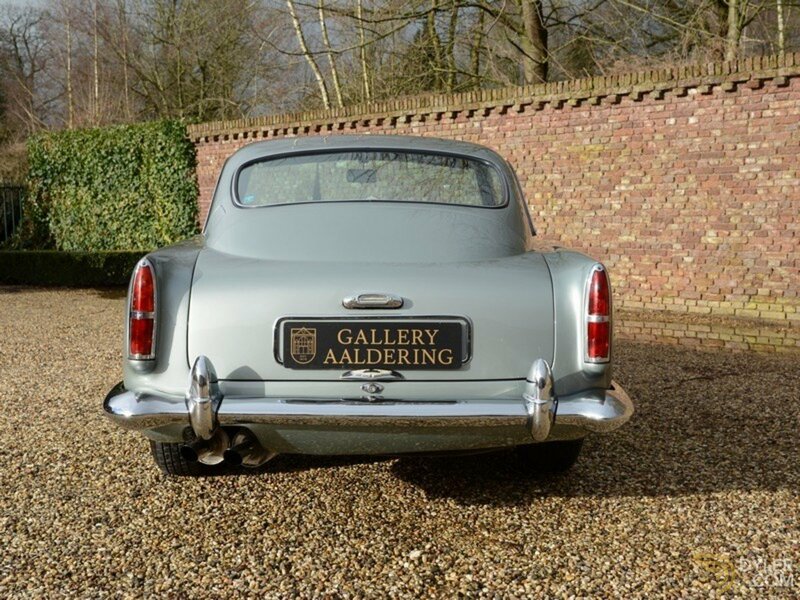 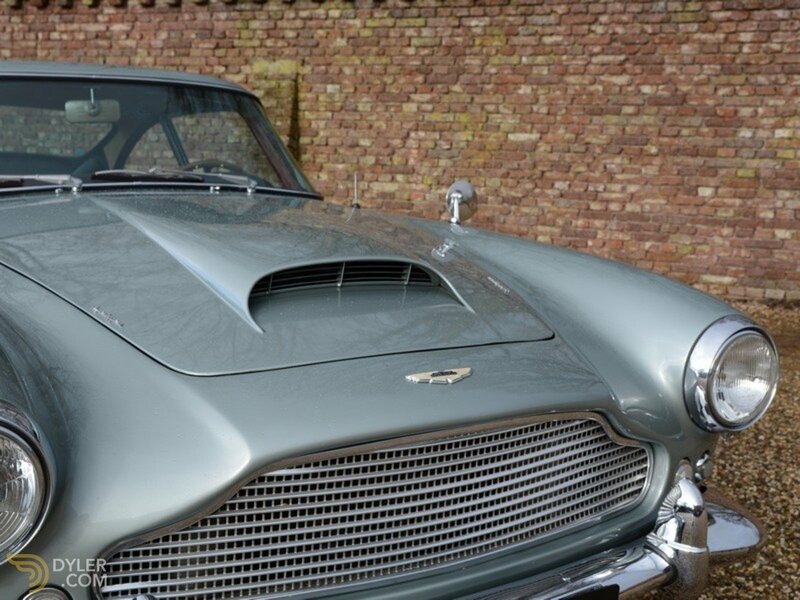 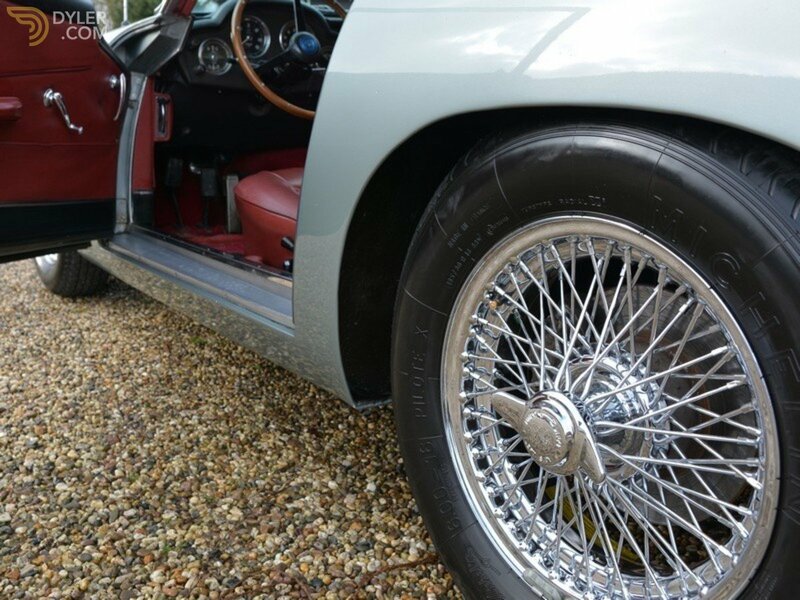 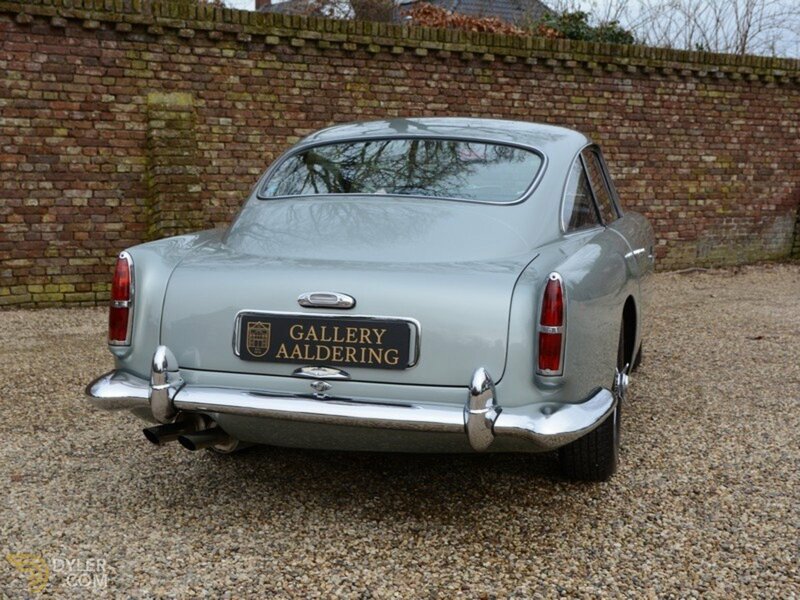 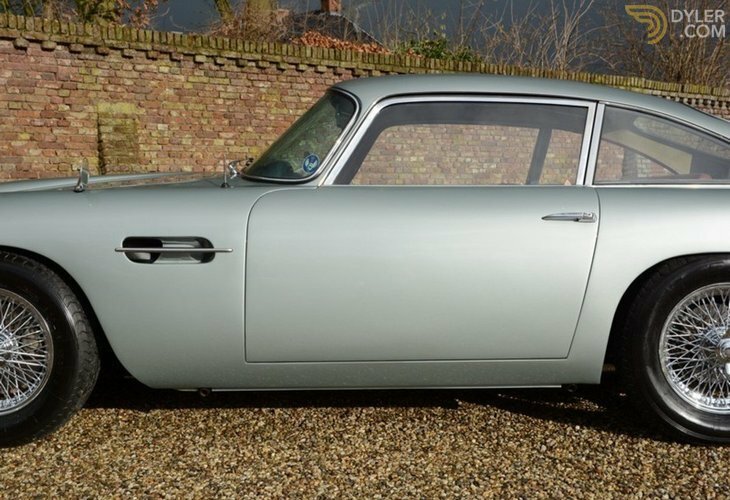 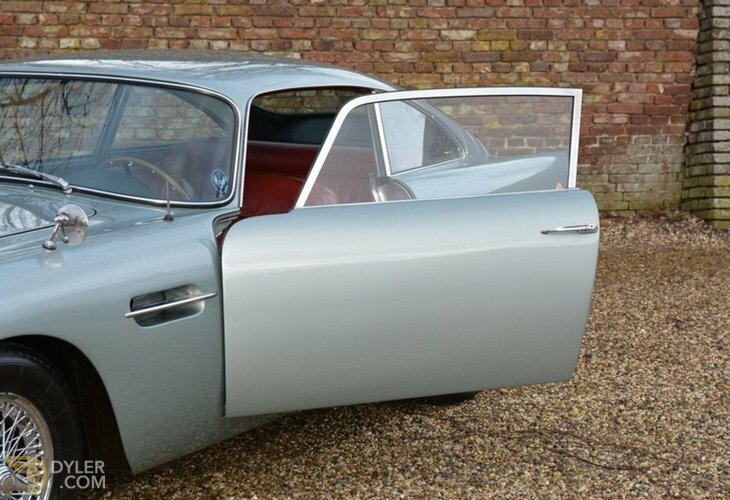 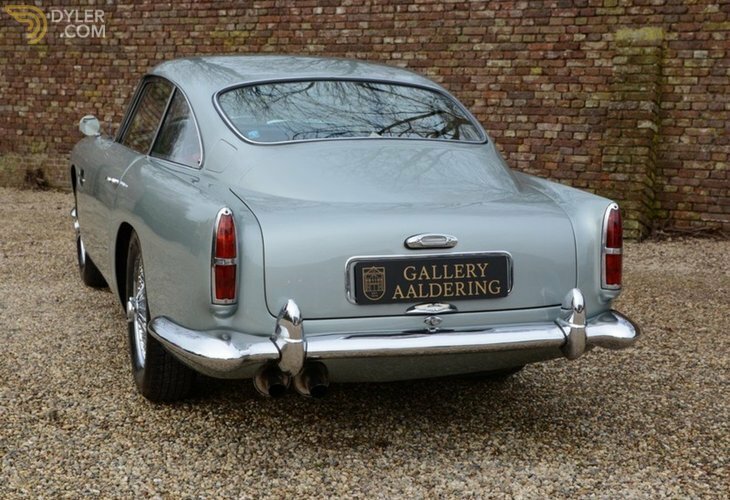 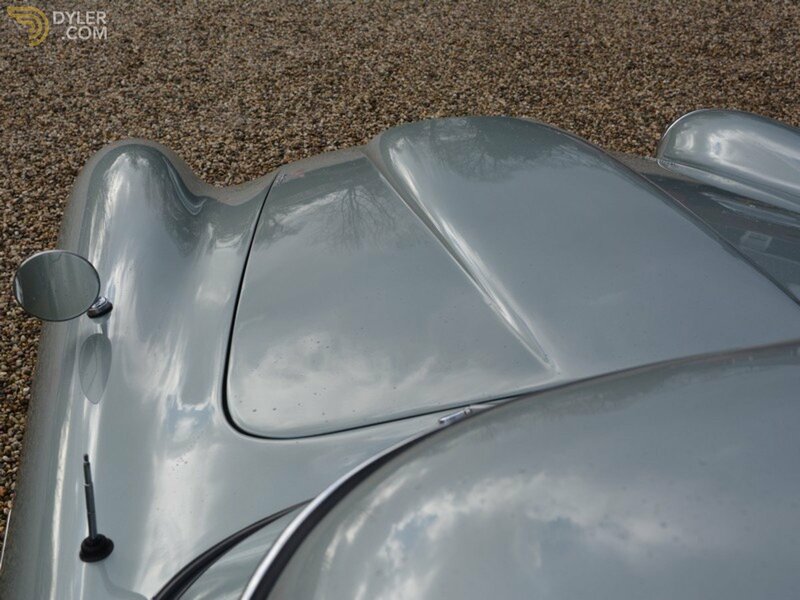 We have a delectable and authentic series II 1960 LHD Aston Martin DB4 for you. 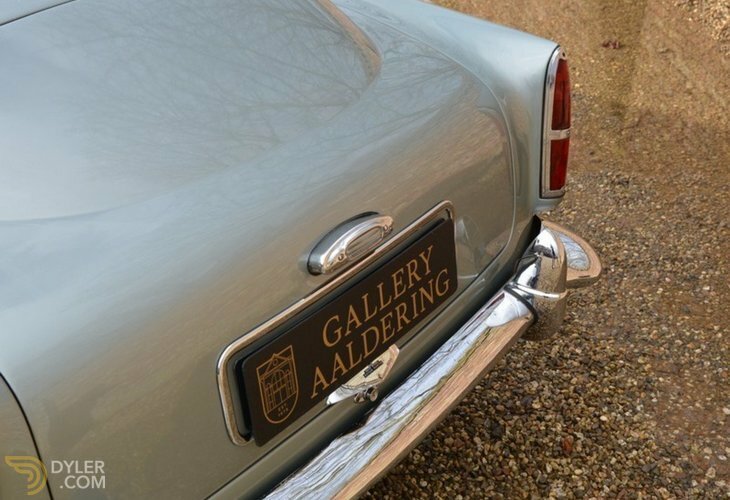 The car has oodles of provenance. 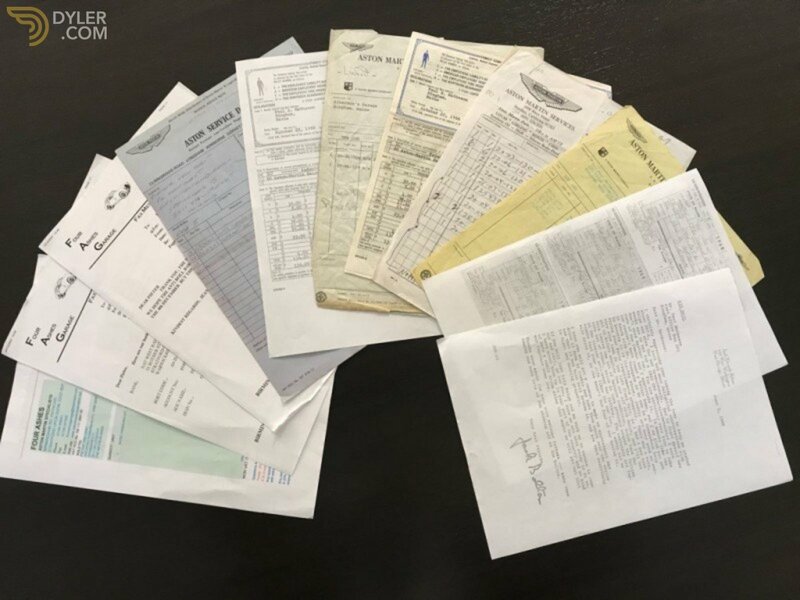 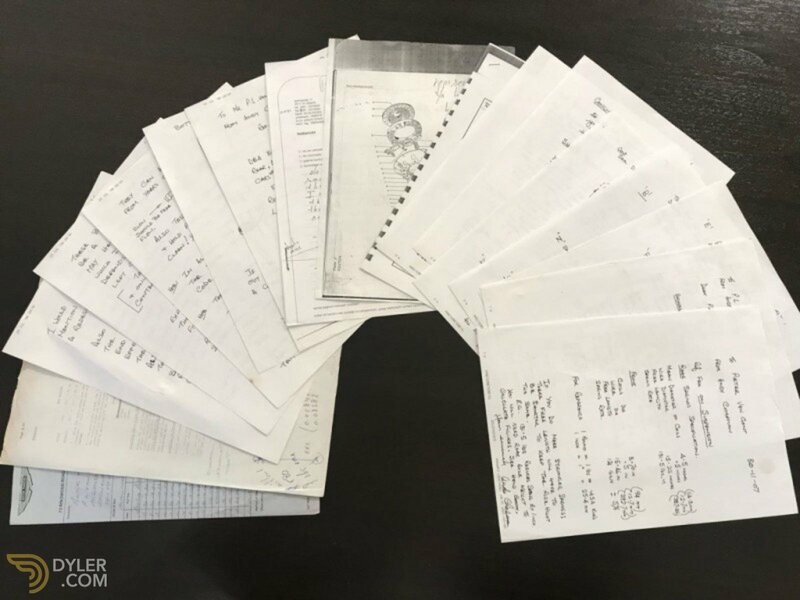 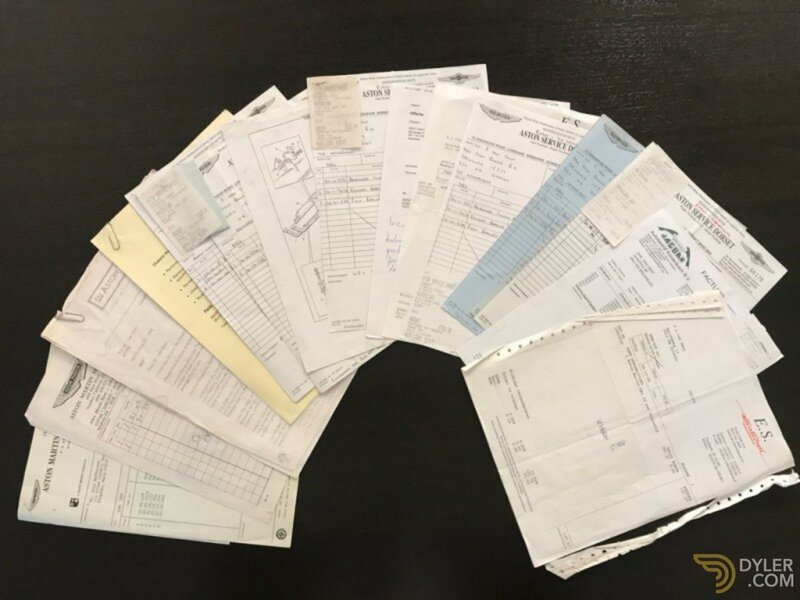 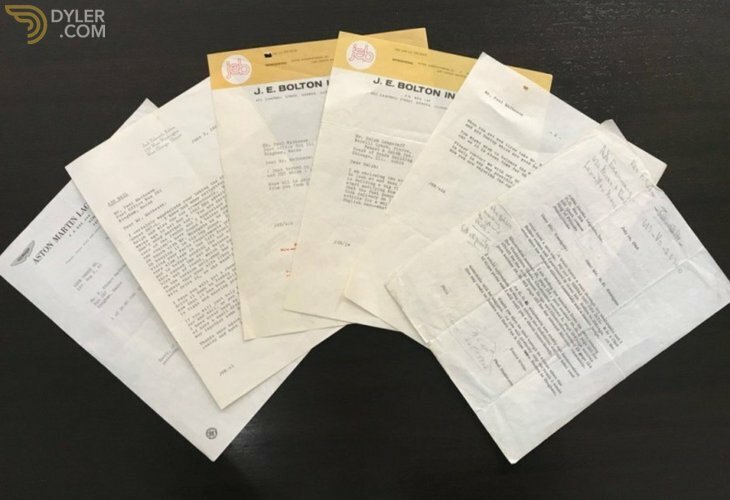 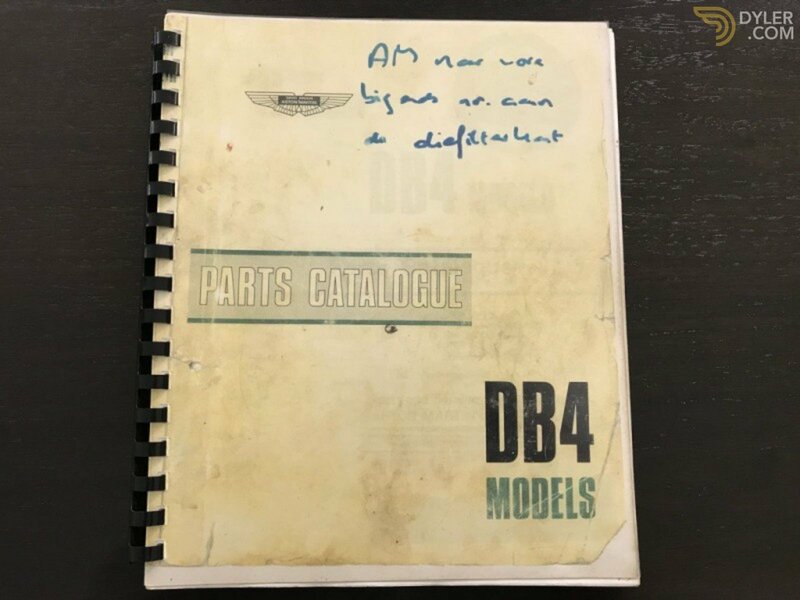 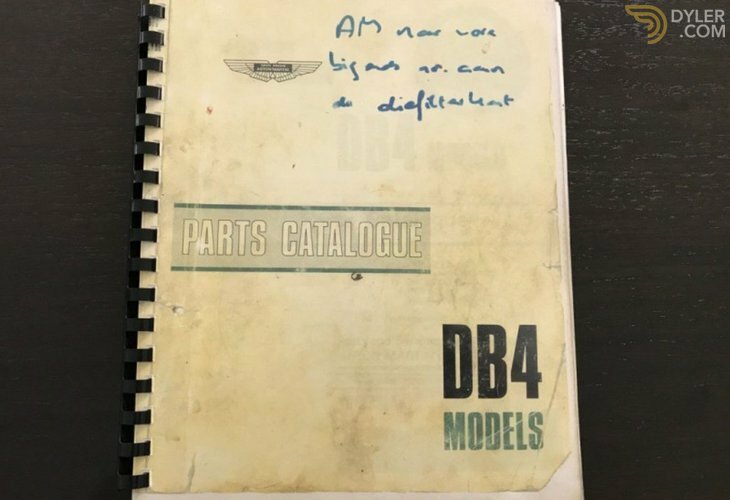 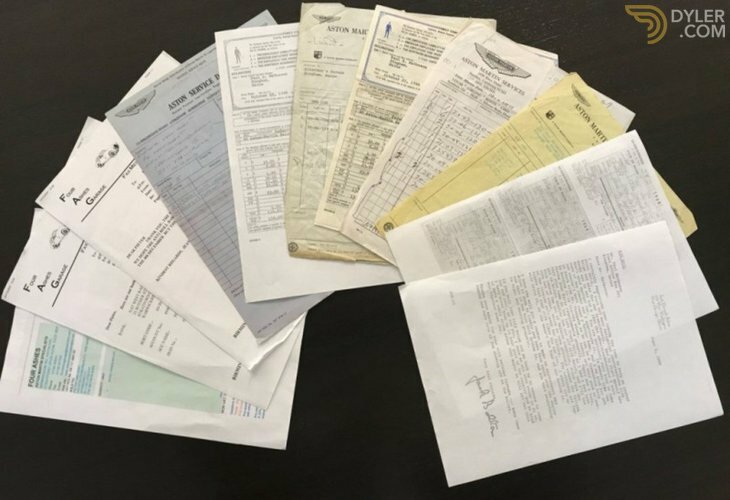 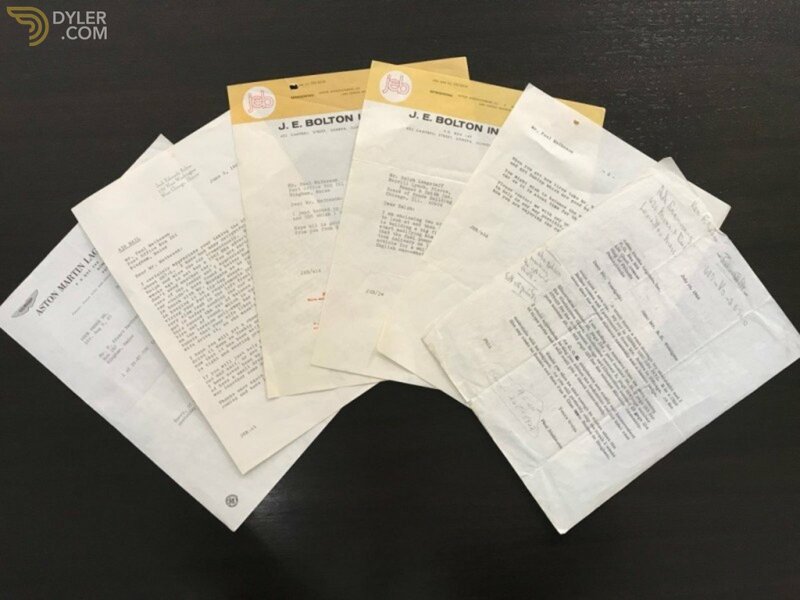 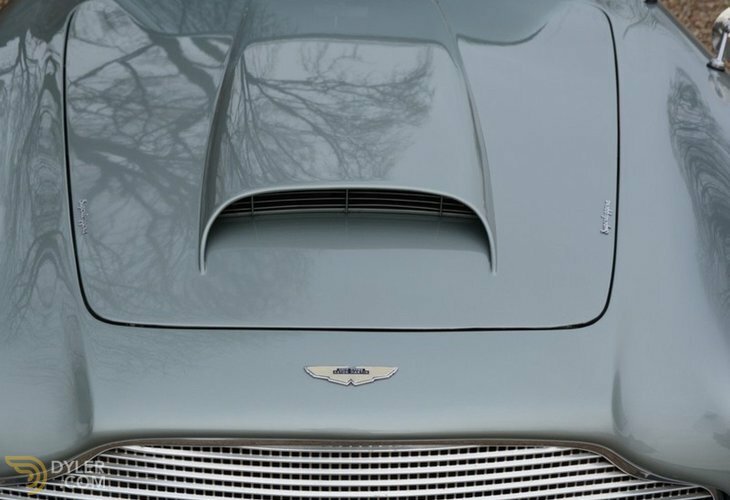 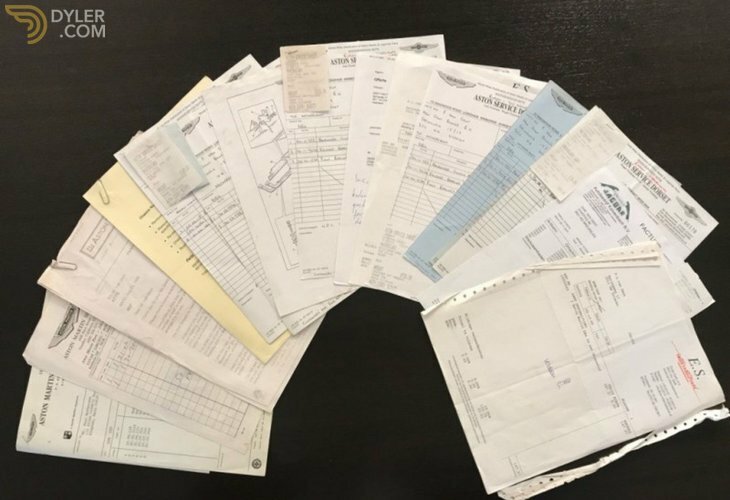 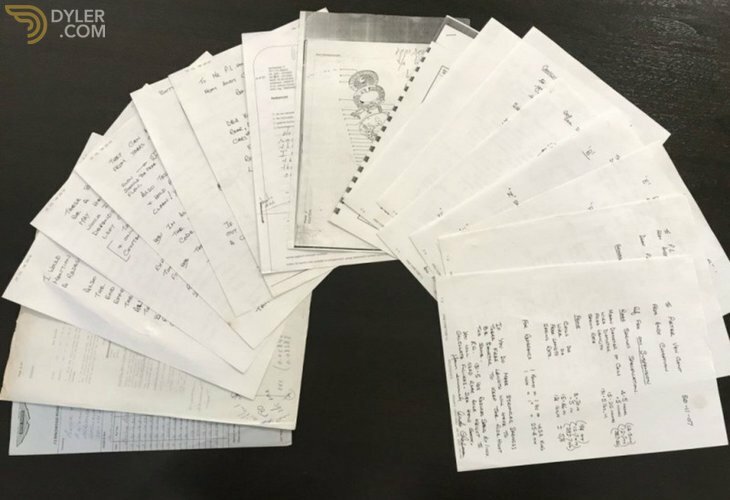 There are documents going back to the start, even correspondence to and from Aston Martin dating from 1965. 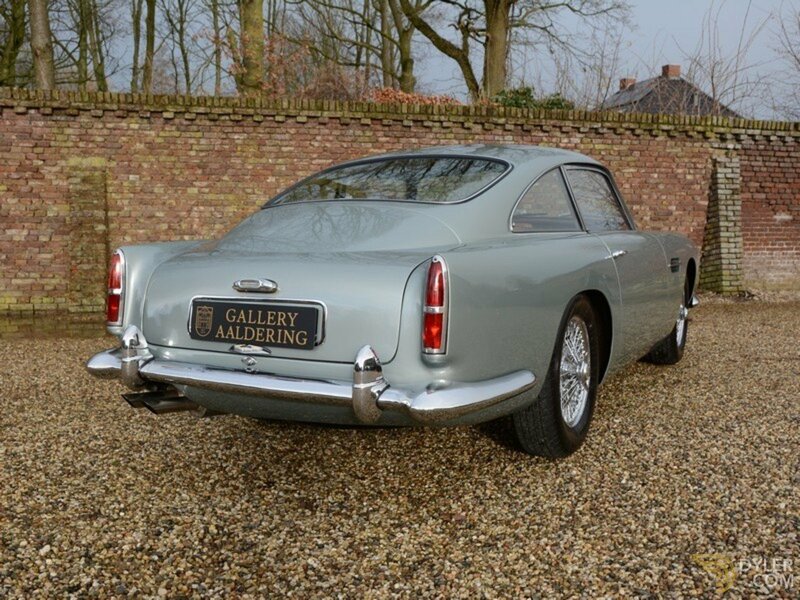 This is one of only 45 factory-built LHD DB4`s ever! 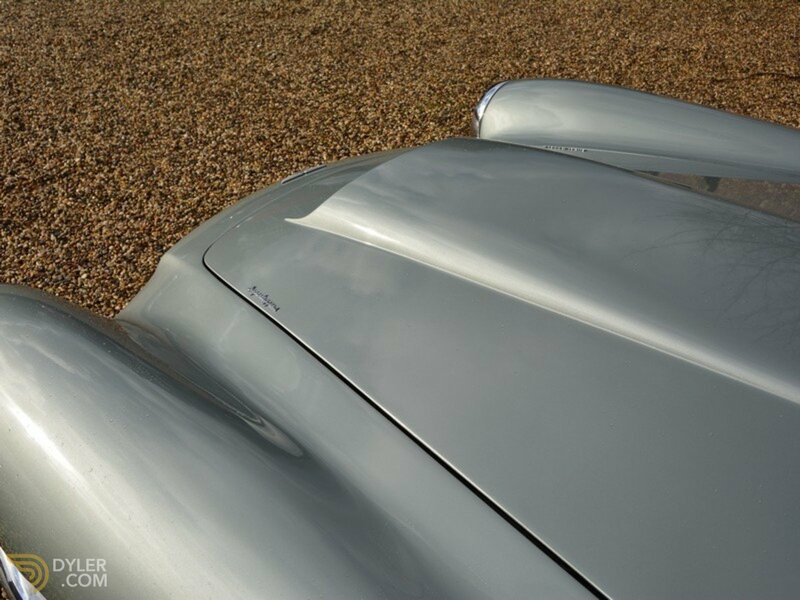 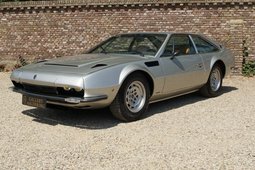 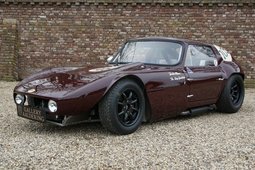 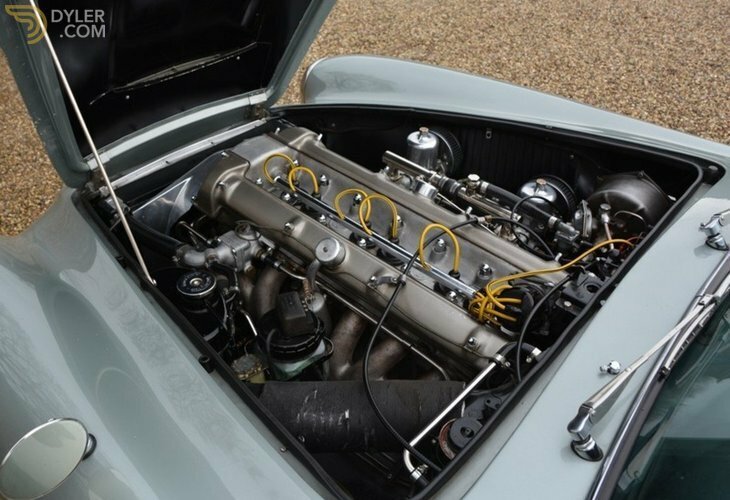 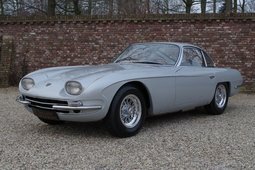 It has the correct so-called `L' labelling on the bodywork and underbody to confirm its` LHD authenticity. 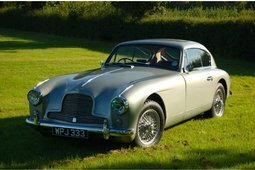 The ownership history starts on the 31st March 1960 when Mr B.L. 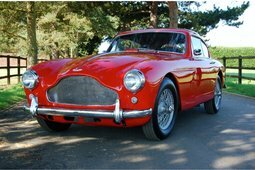 Smalley of Chicago receives the car from the well-known New York Aston importer J.S. 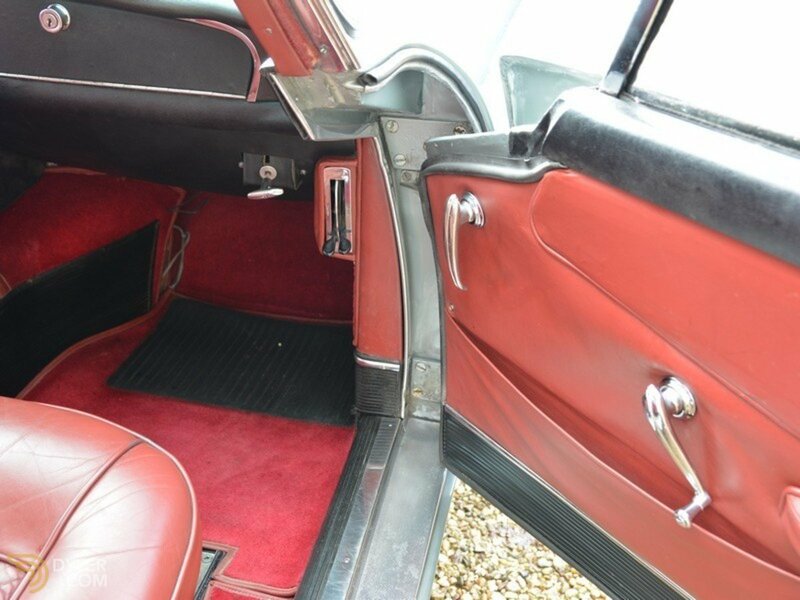 Inskip. 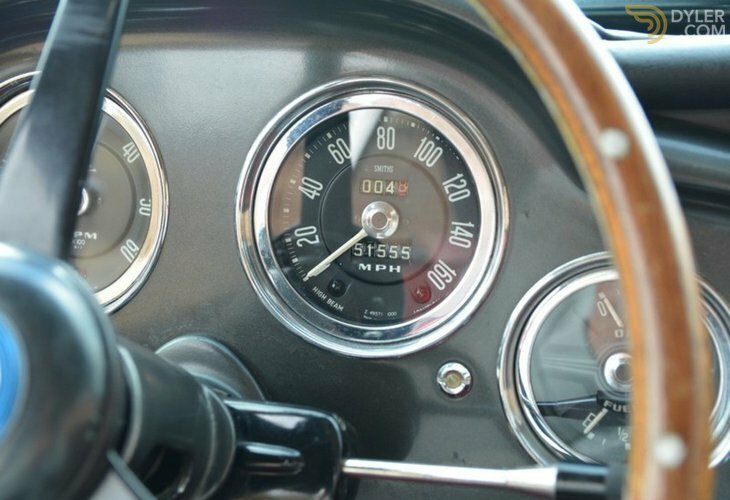 In 1994 the car left the USA for Belgium, where, in 1997, the last owner took possession at 30,000 miles. 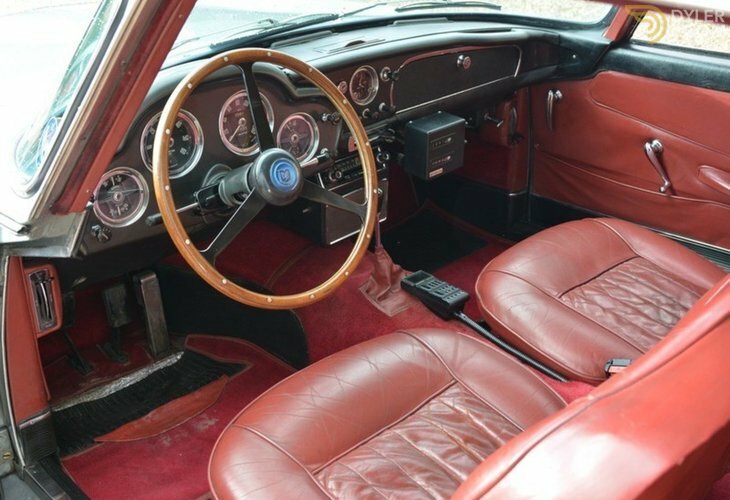 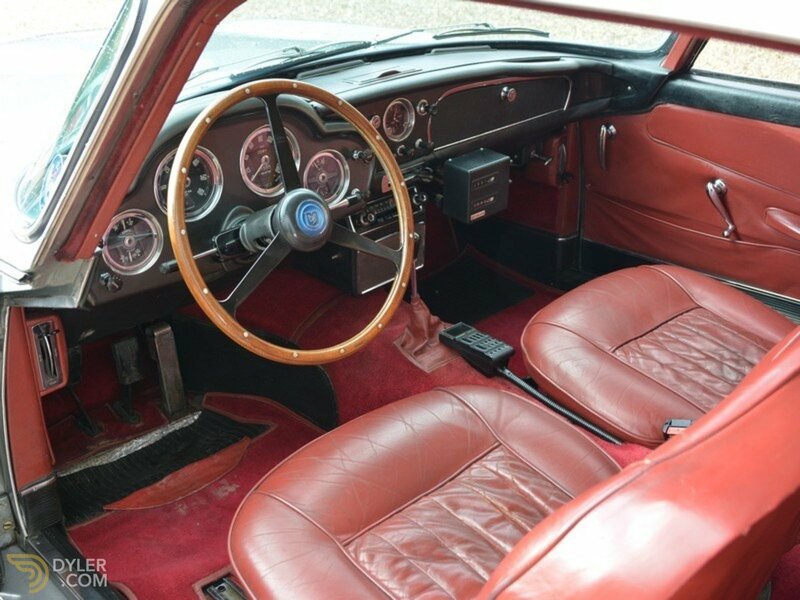 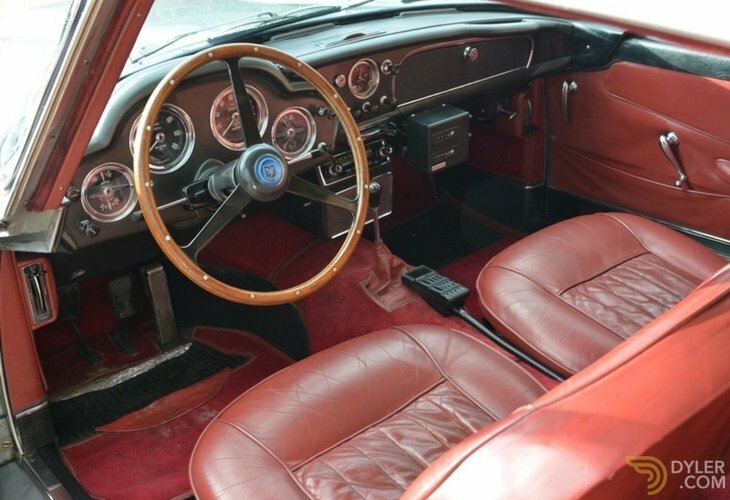 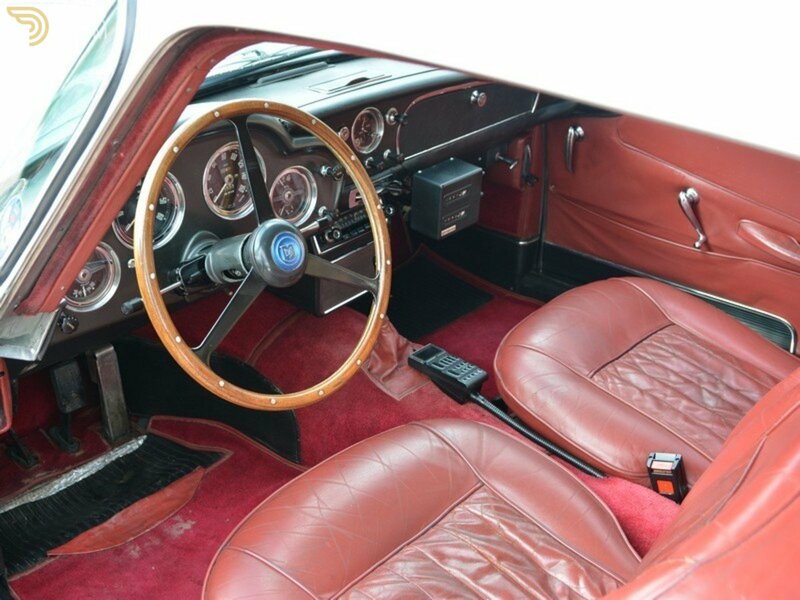 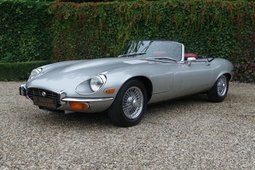 Since then the car has always been well looked after and has undergone various refurbishments and upgrades. 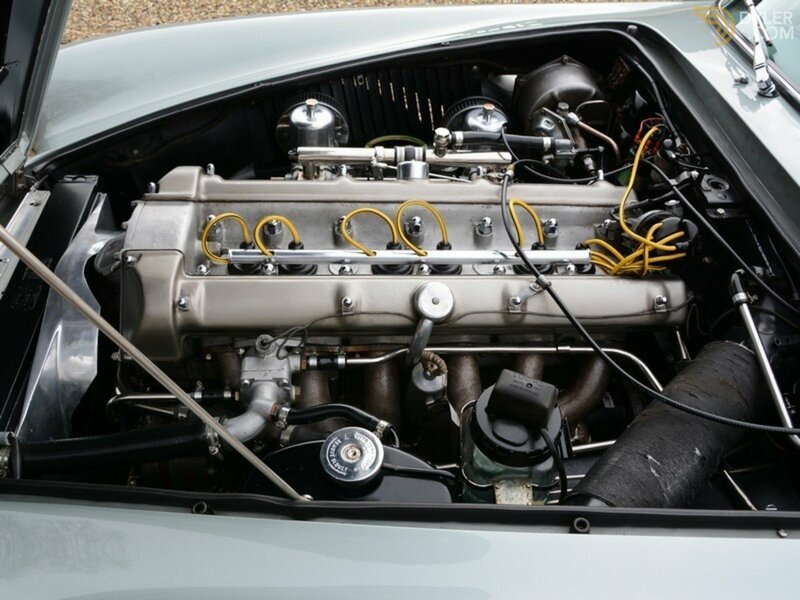 The gearbox has been checked over with the replacement of the synchromesh and ball bearings as well as replacing the camshaft belt and pistons. 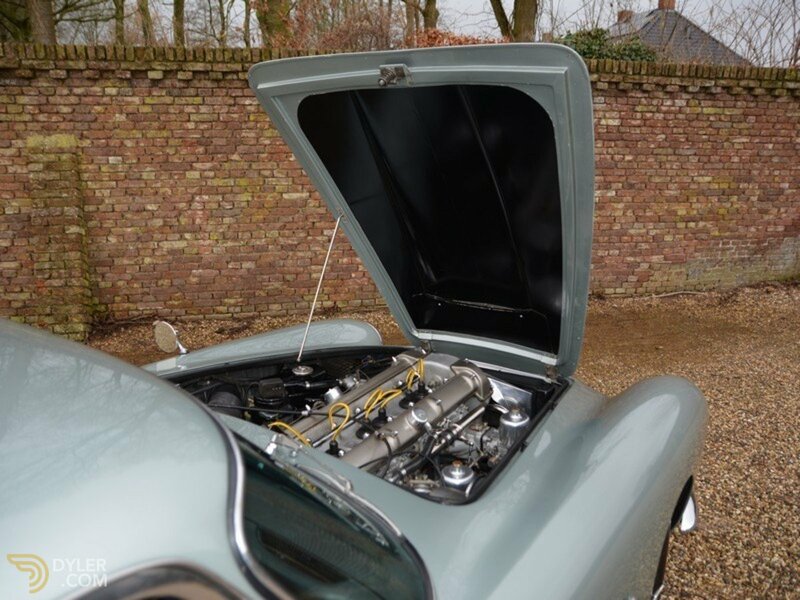 The suspension has had a Harvey Bailey upgrade, the clutch slave cylinder and brake cylinder have also been upgraded and a new stainless steel exhaust system fitted. 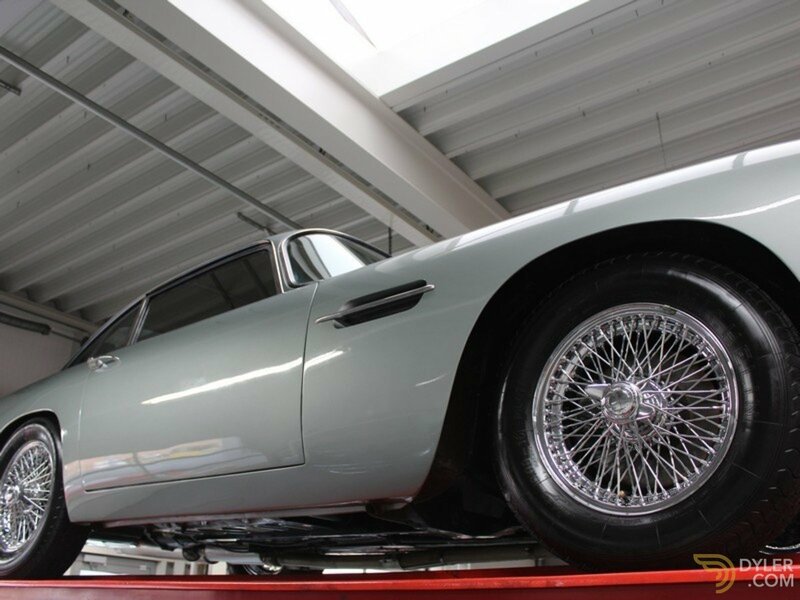 During routine maintenance in 2007, the rear axle was completely reconditioned and the flywheel, clutch and every rubber bush were replaced. 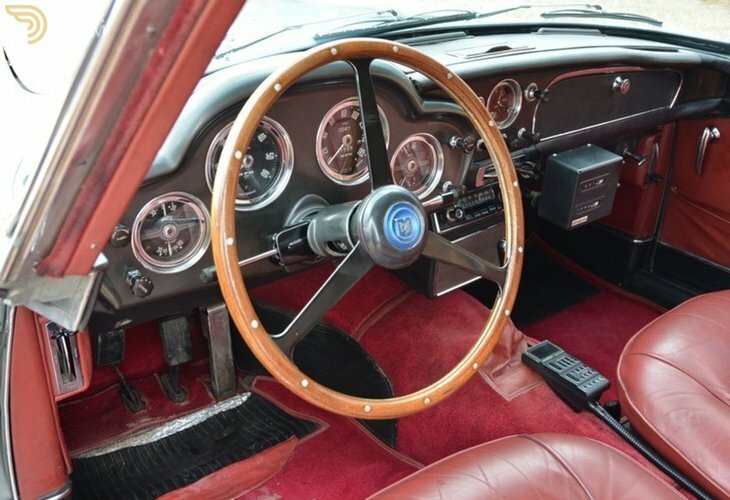 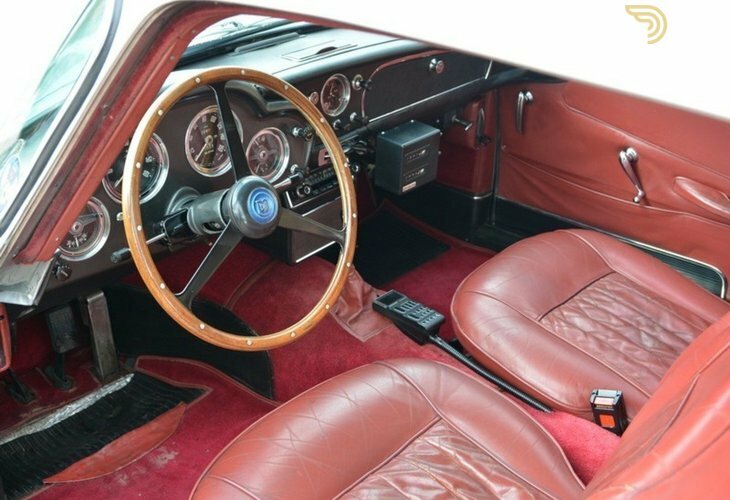 The car has factory-fitted chrome wire wheels, drivers side mirror, dimed rear-view mirror, oil cooling and Motorola radio. 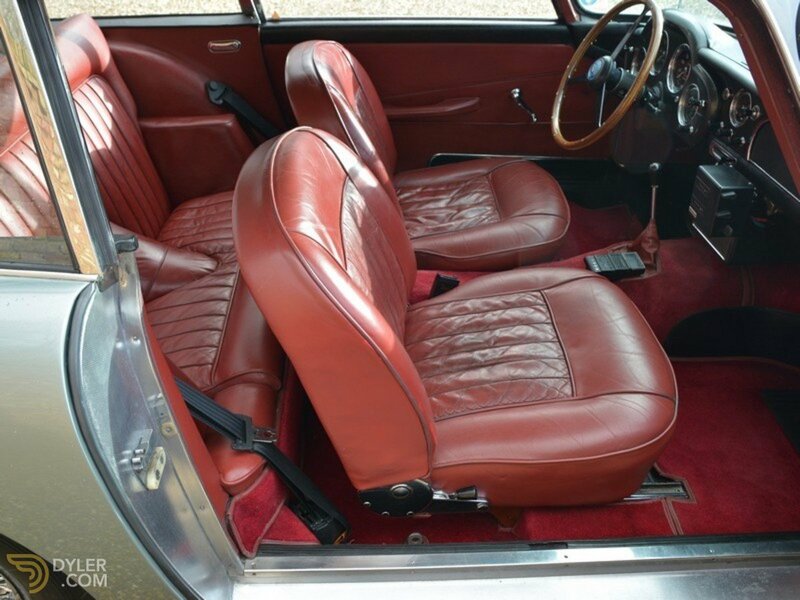 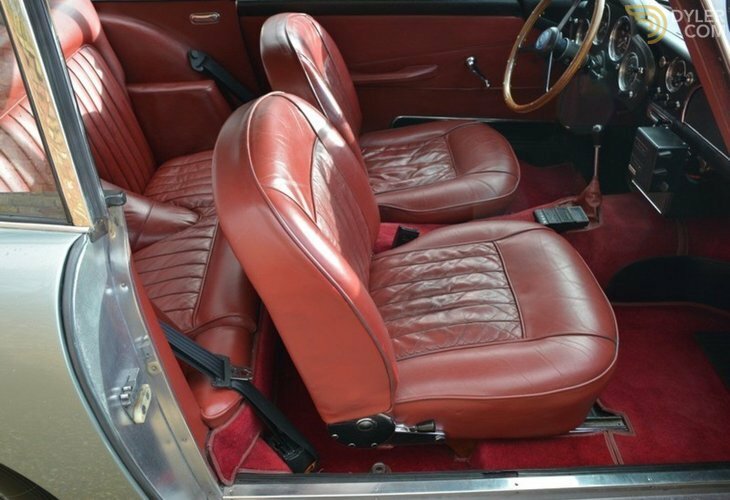 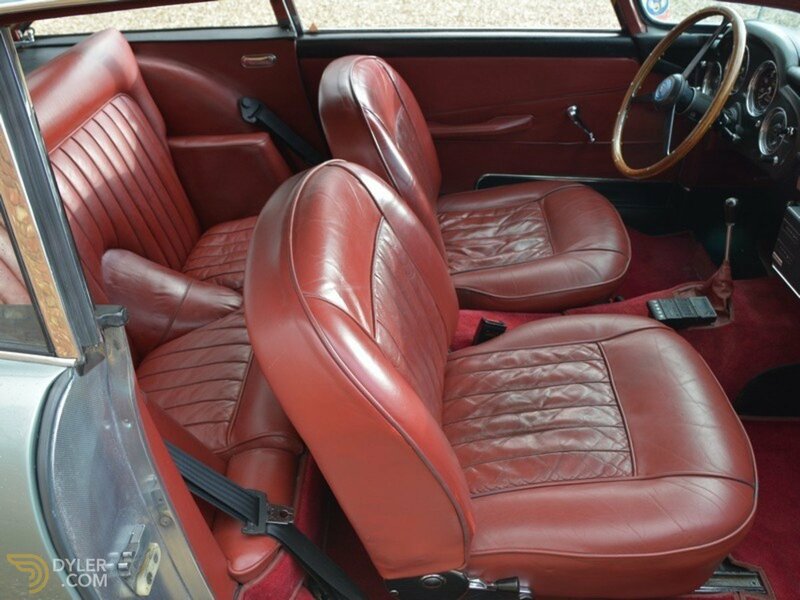 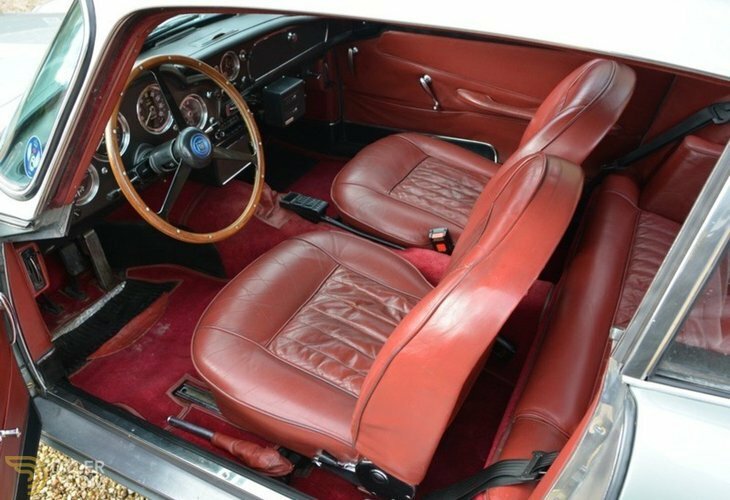 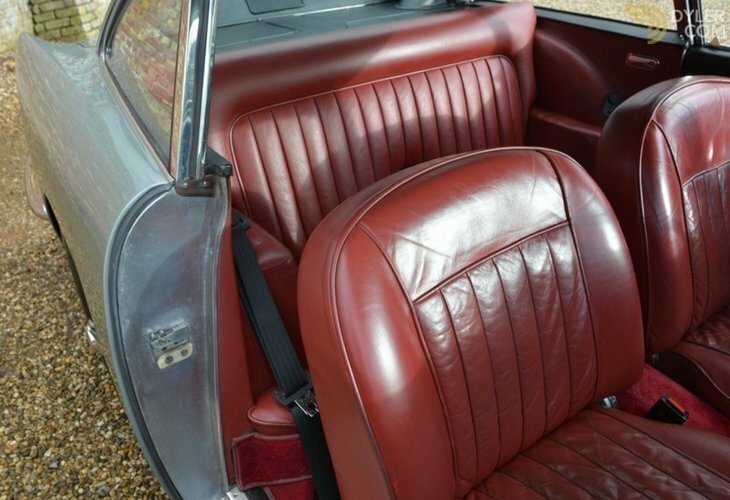 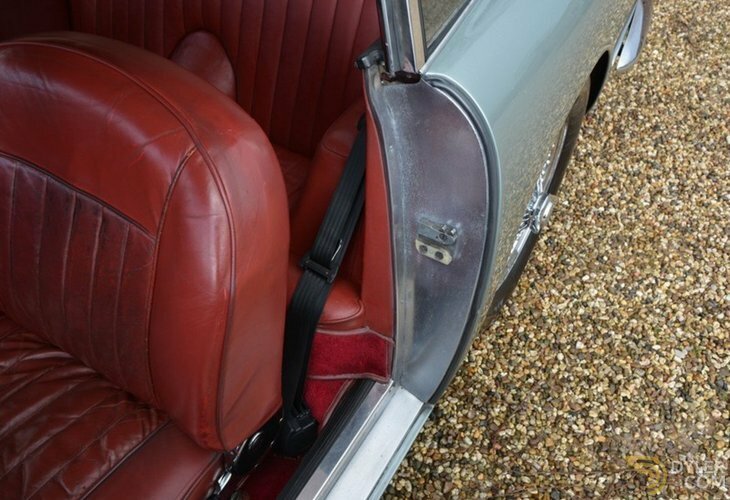 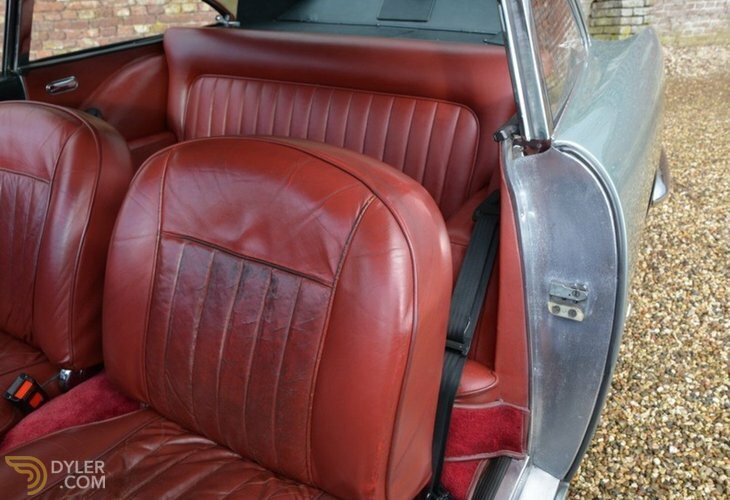 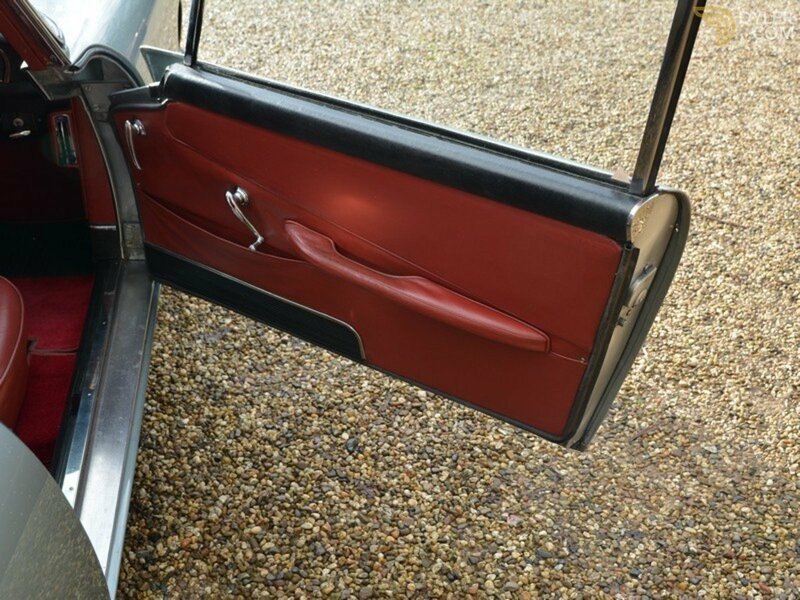 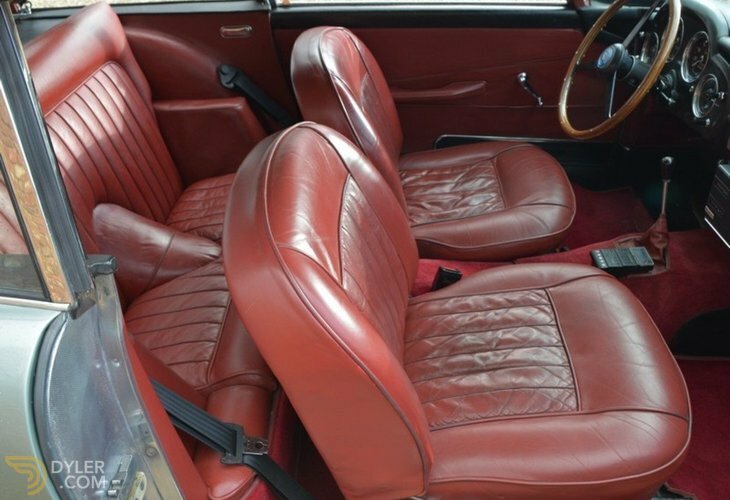 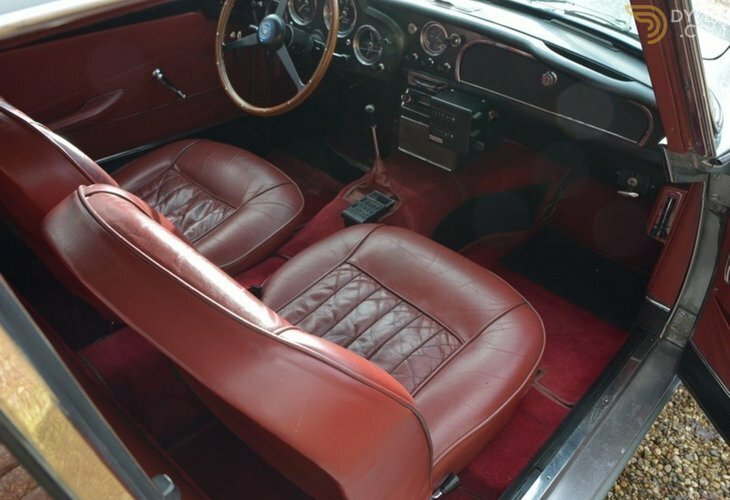 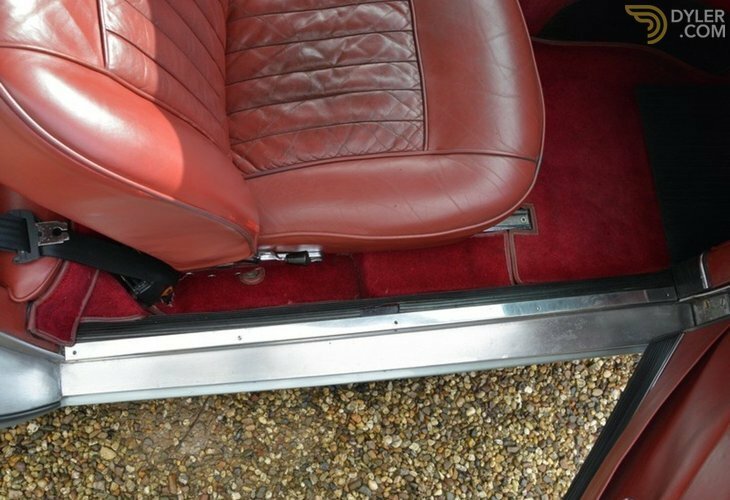 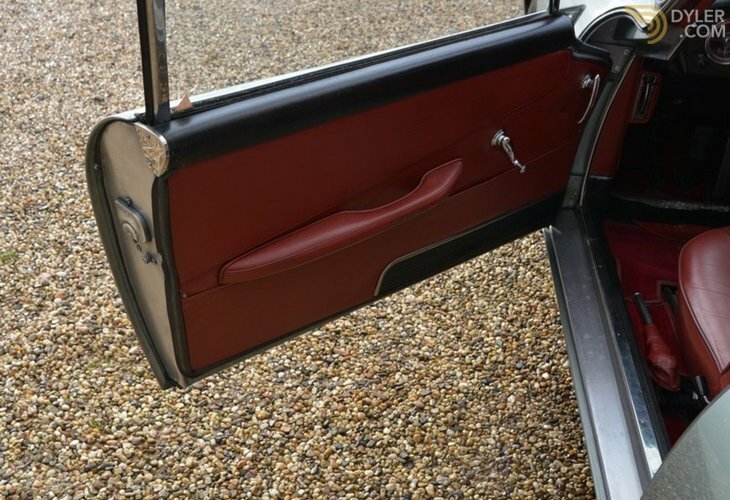 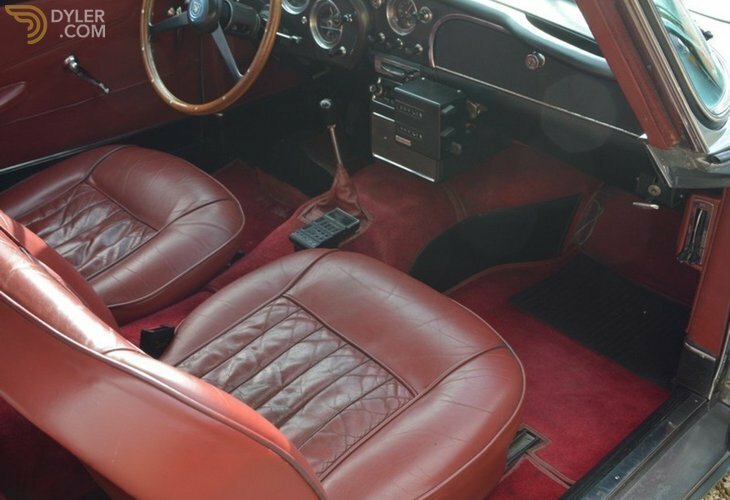 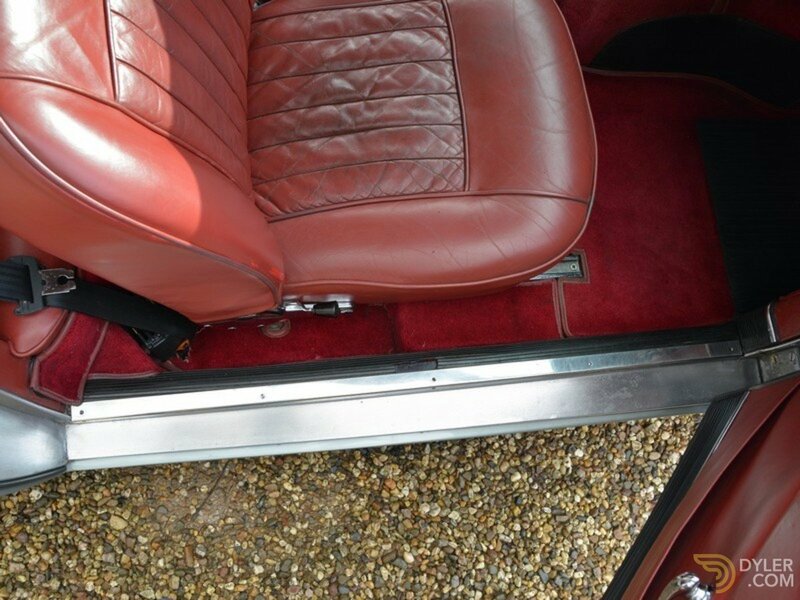 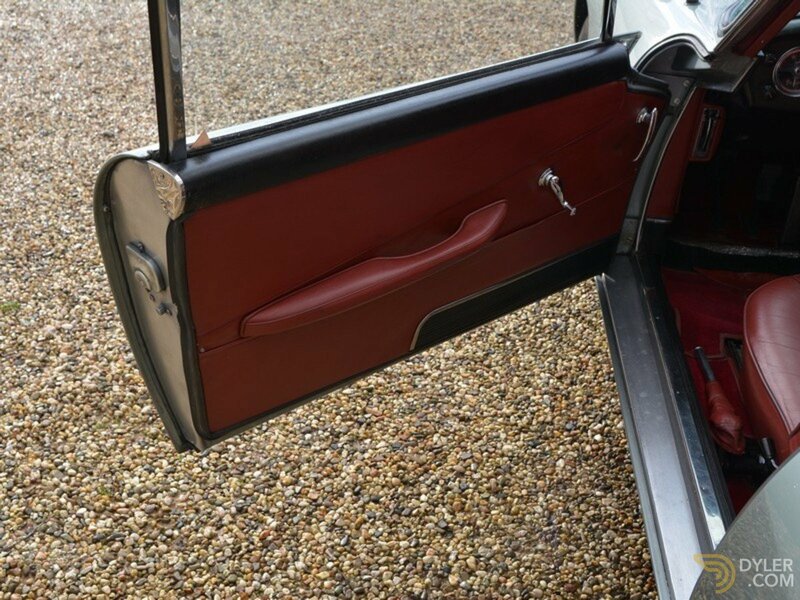 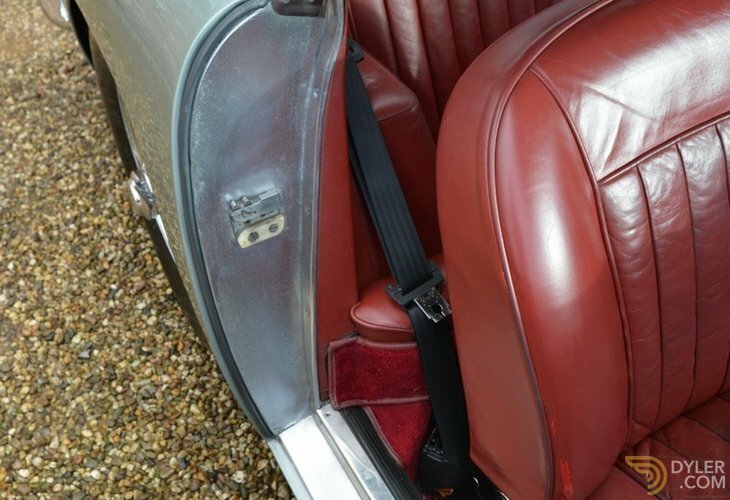 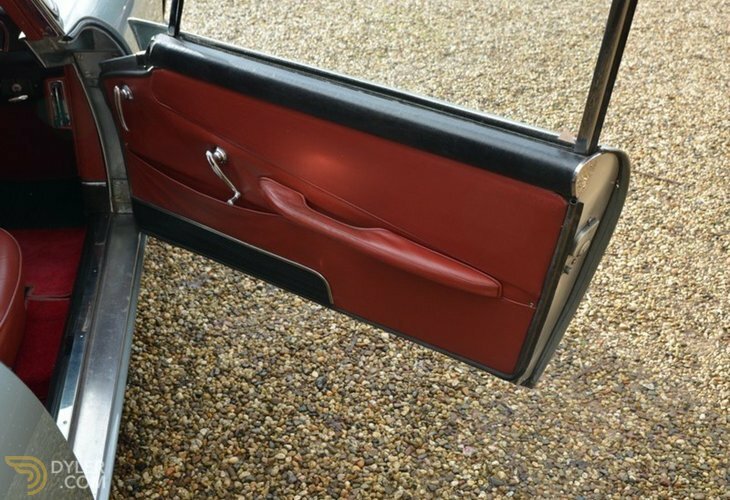 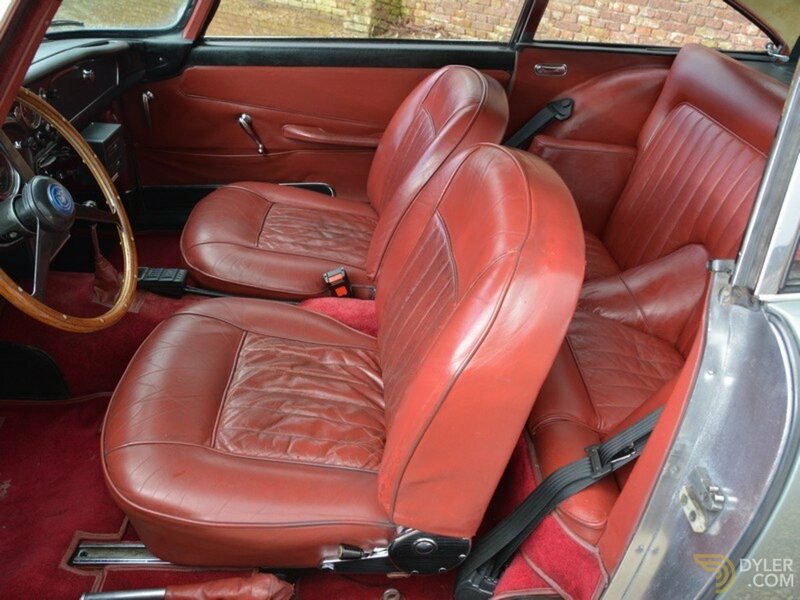 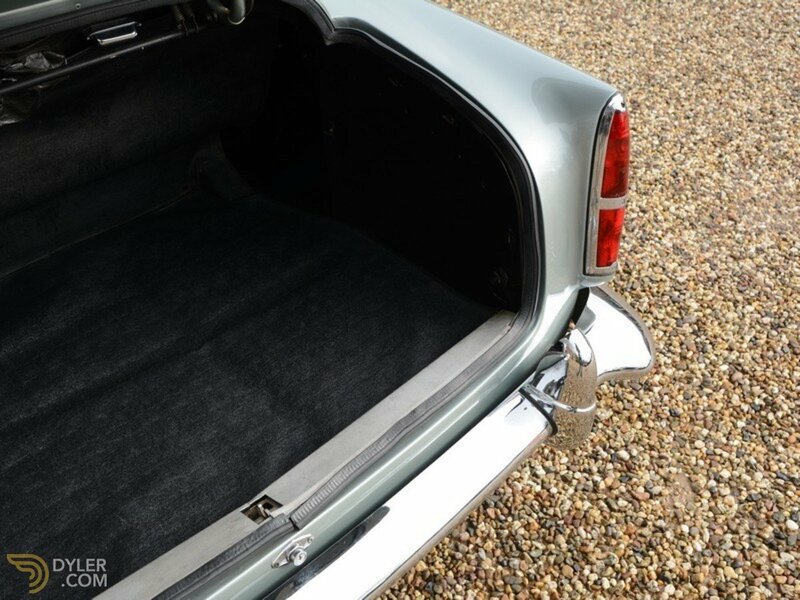 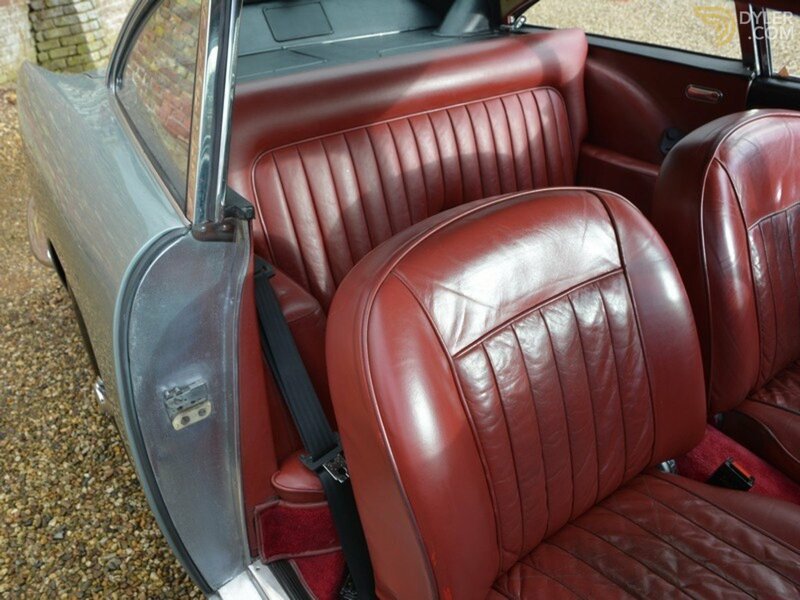 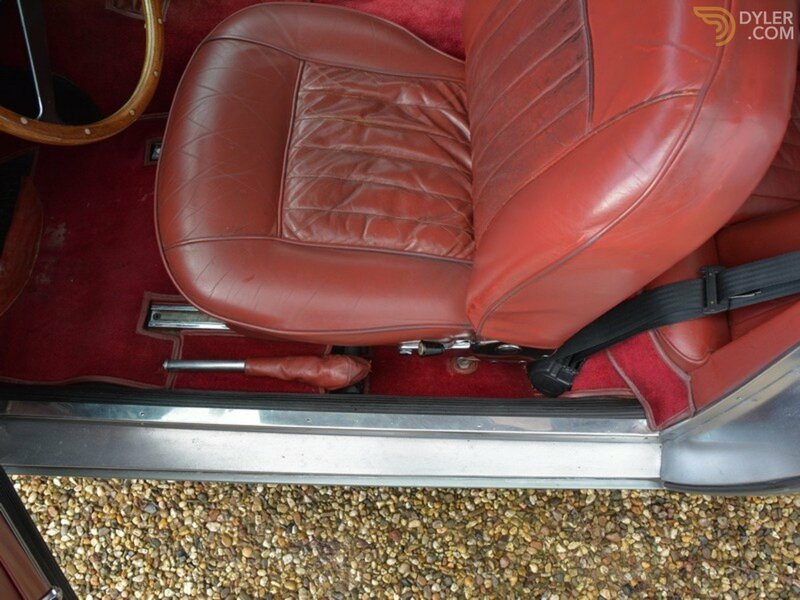 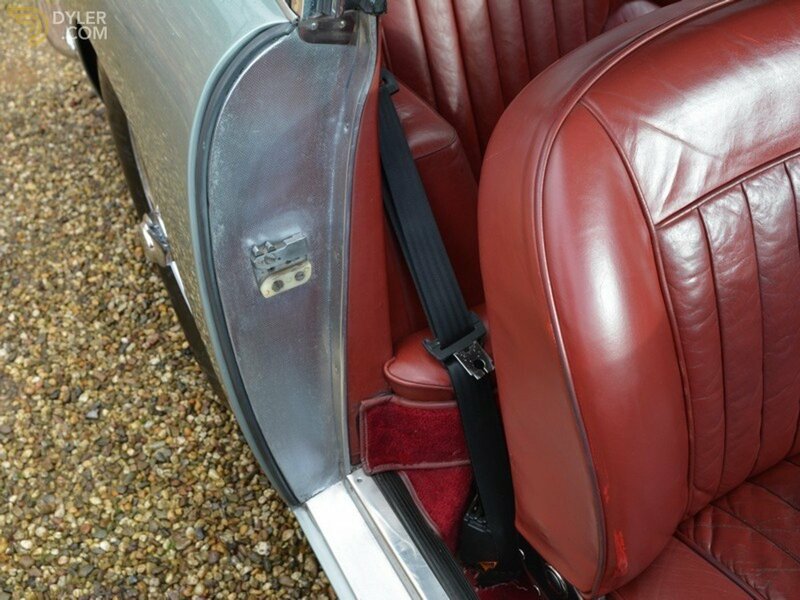 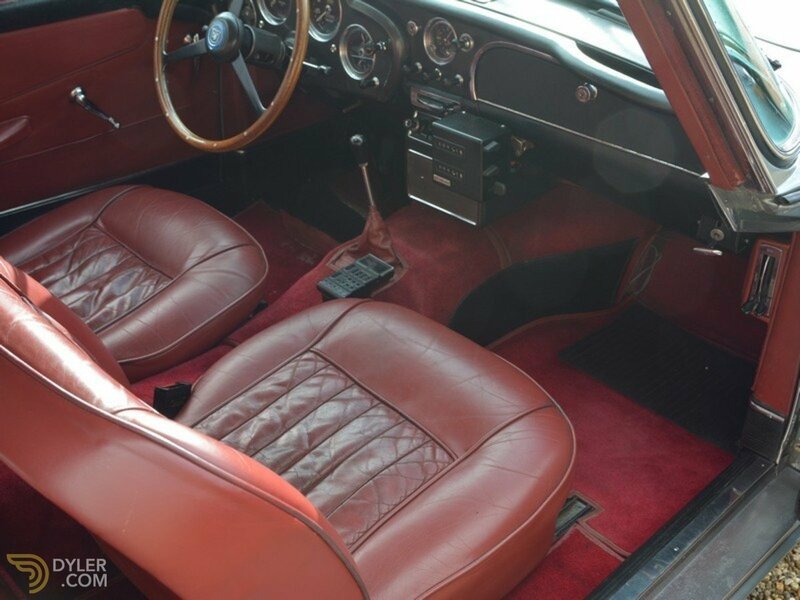 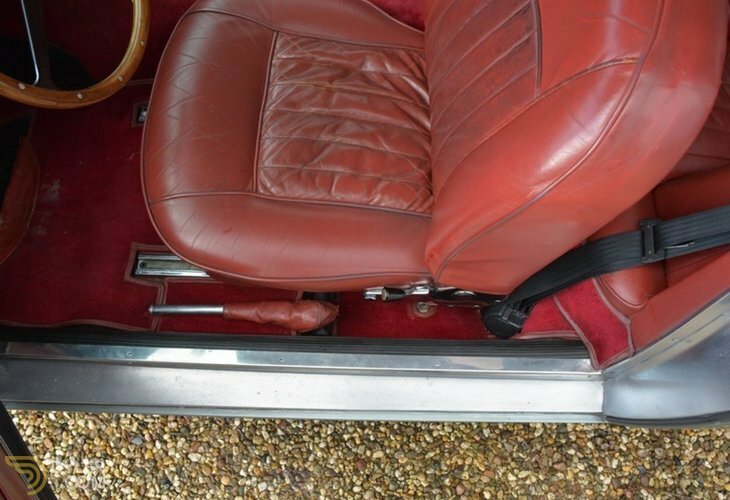 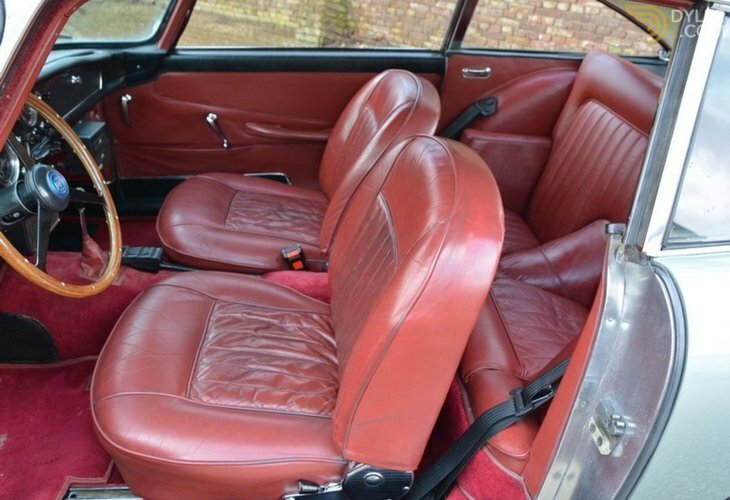 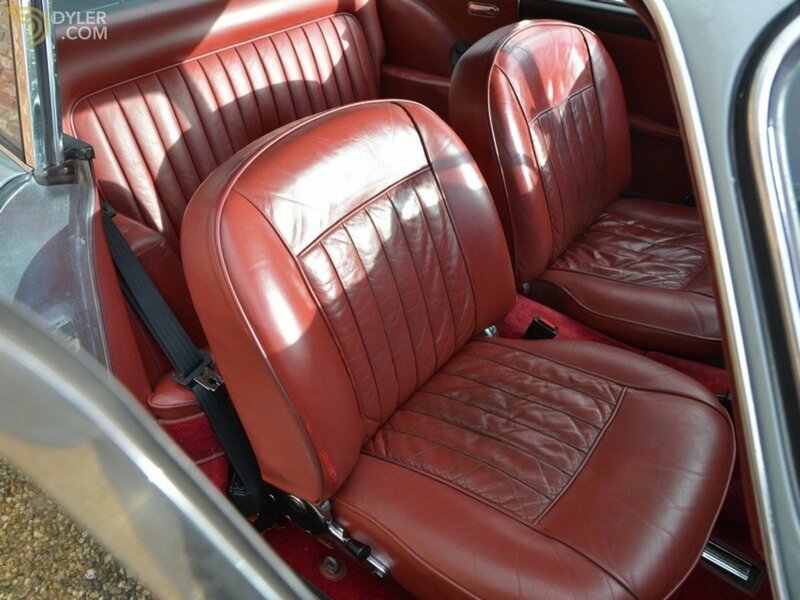 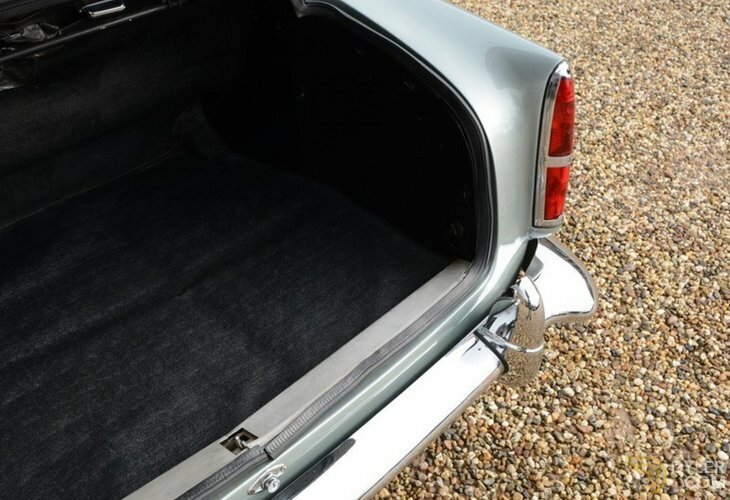 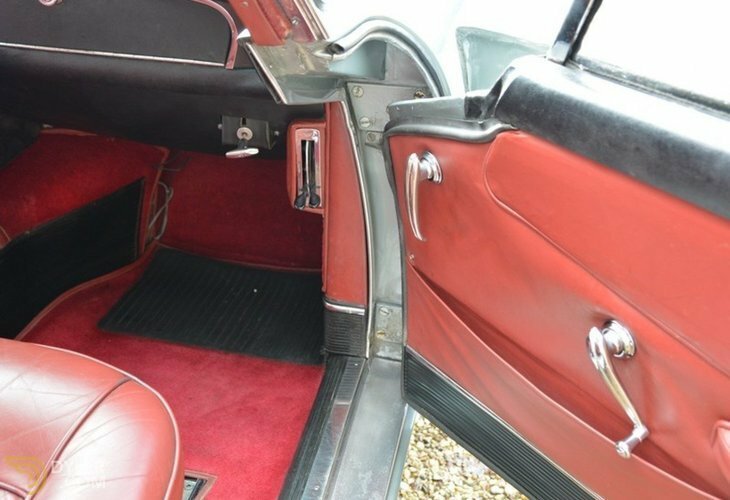 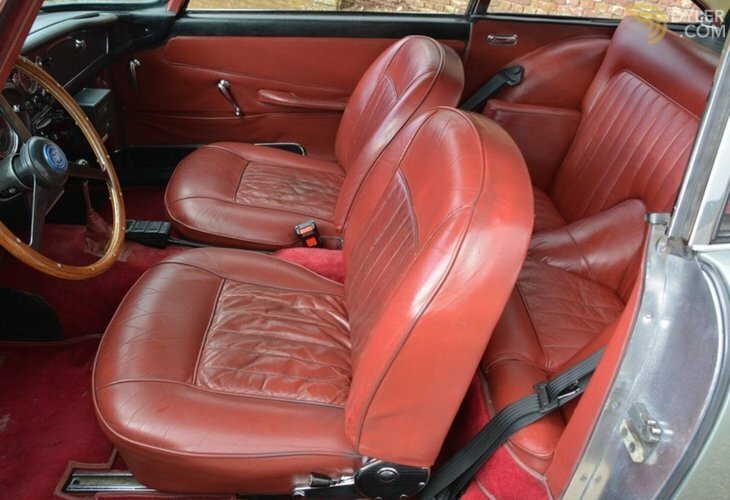 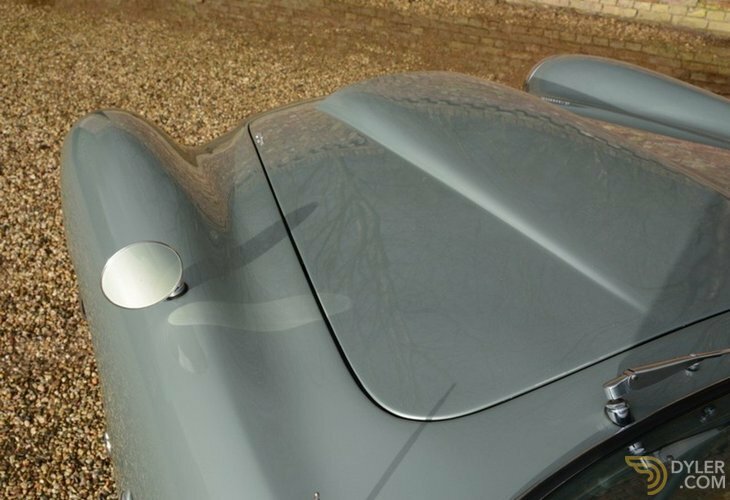 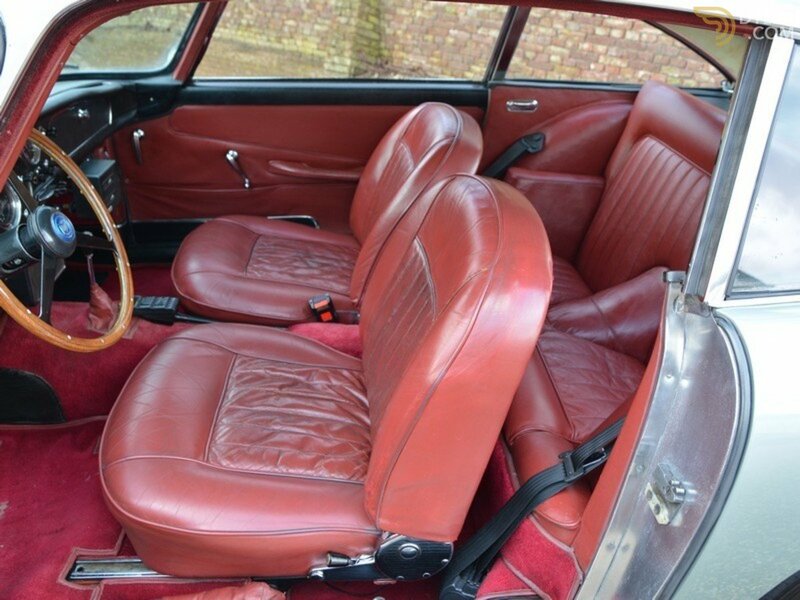 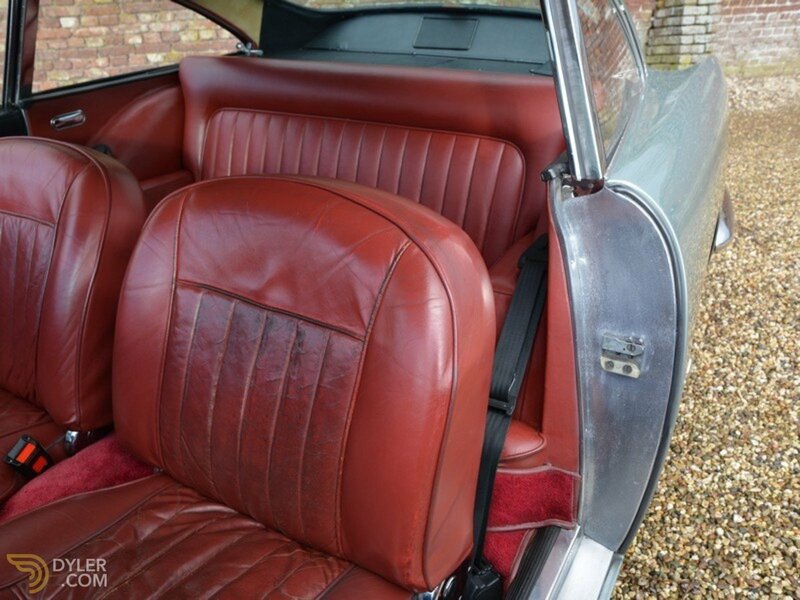 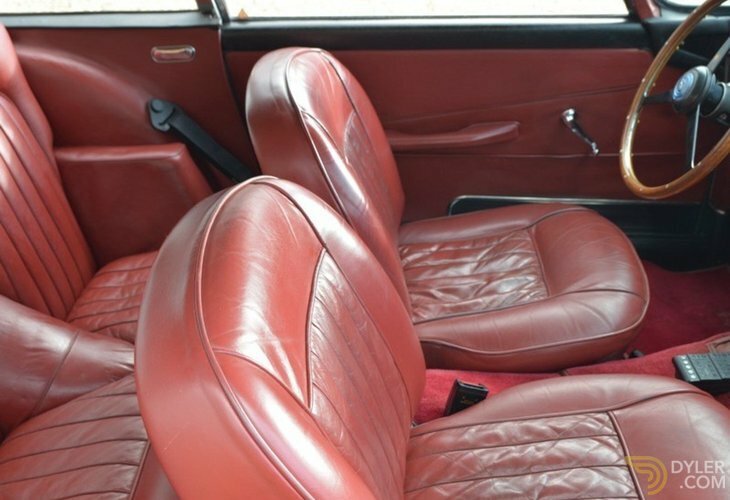 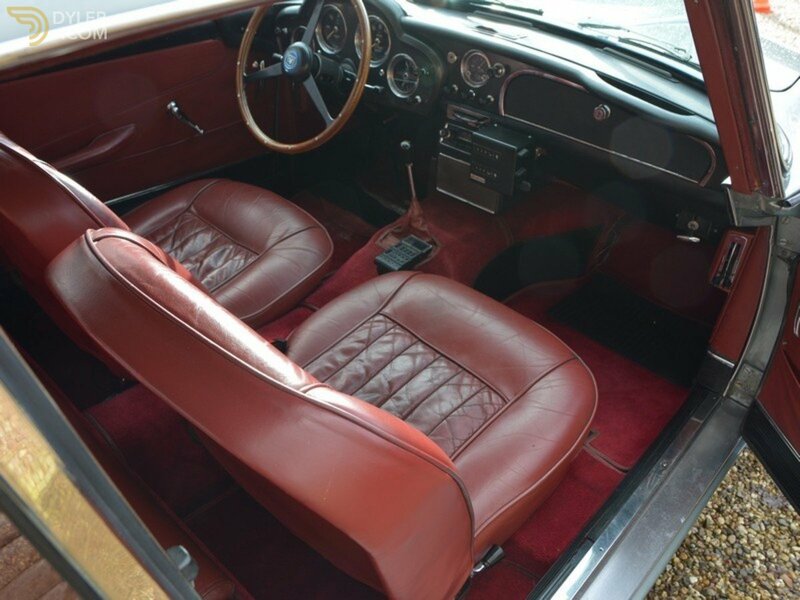 The car has a `Snow Shadow Grey' finish with a red leather trim. 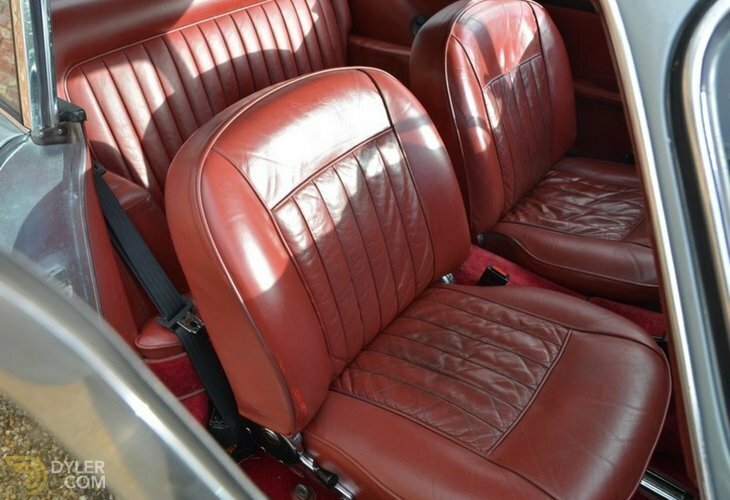 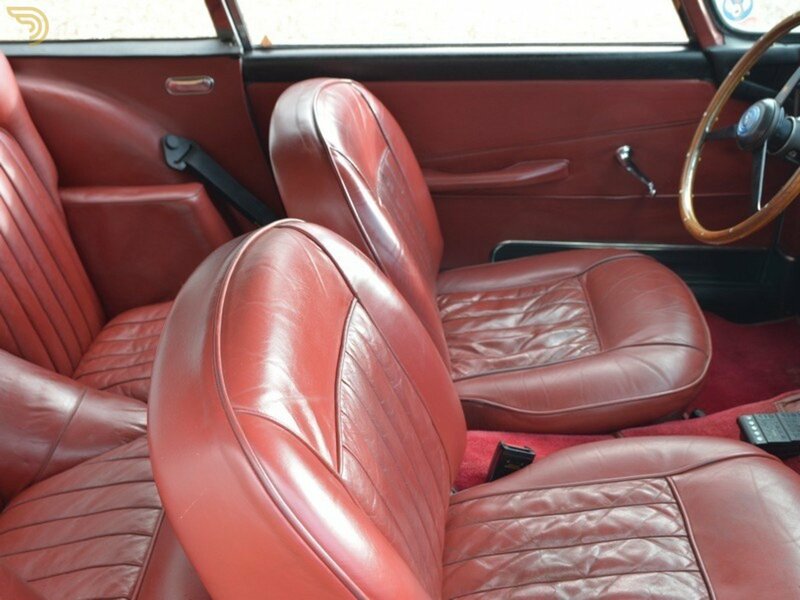 The interior is spotless. 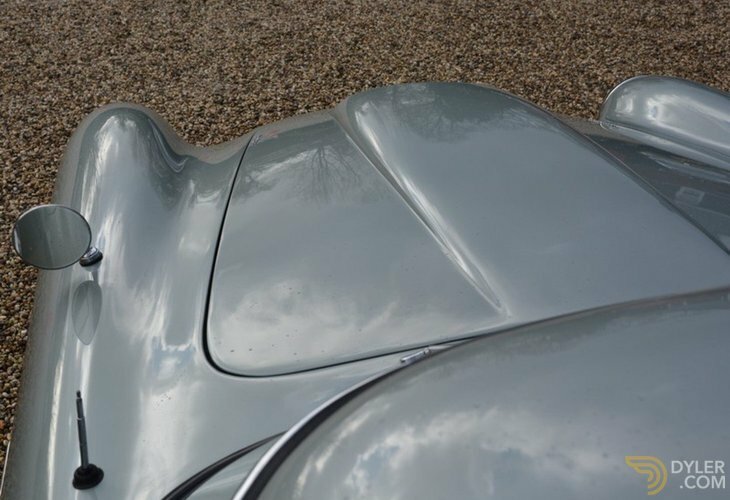 The bodywork is straight and the panels all fit together correctly. 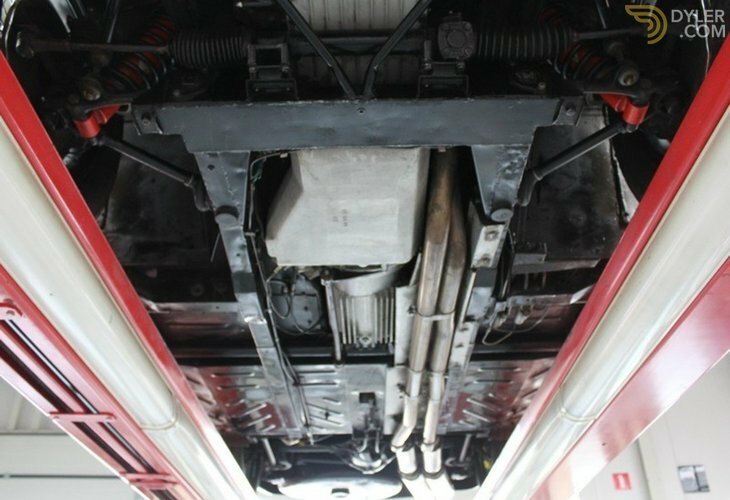 The underbody is solid and uncorroded. 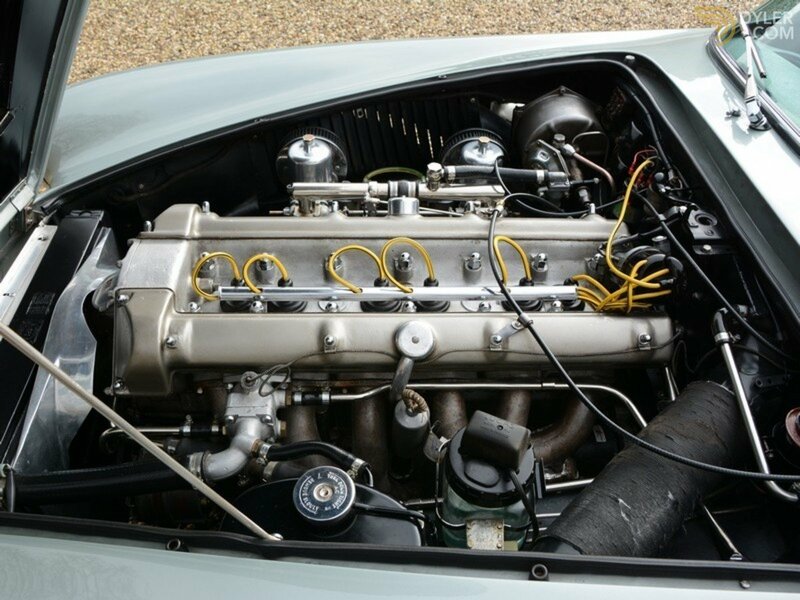 The car has retained the Matching Numbers engine. 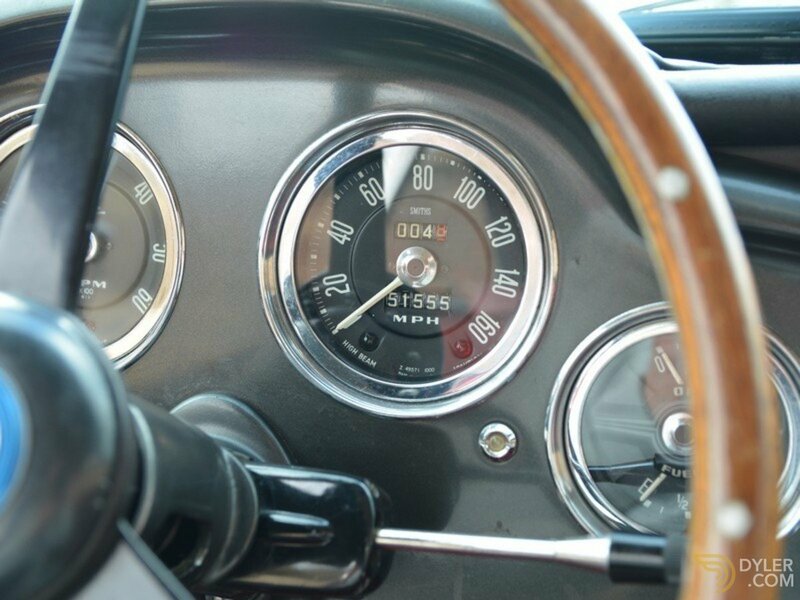 To date, the odometer reads just 51.555 miles. 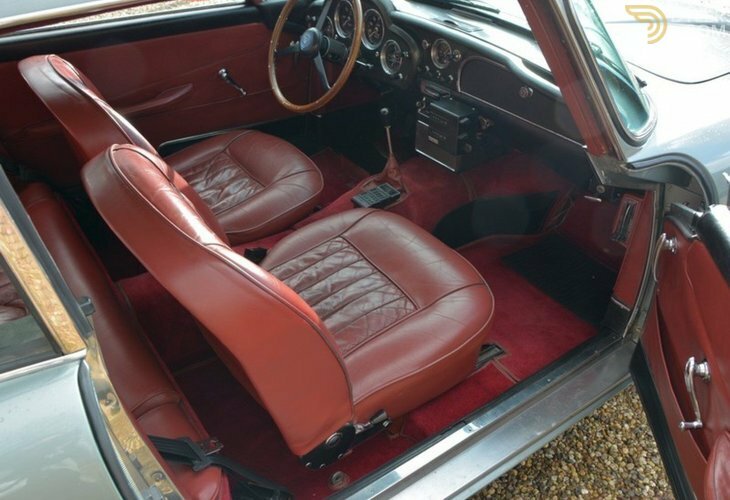 This car is, in all aspects, absolutely in top condition.